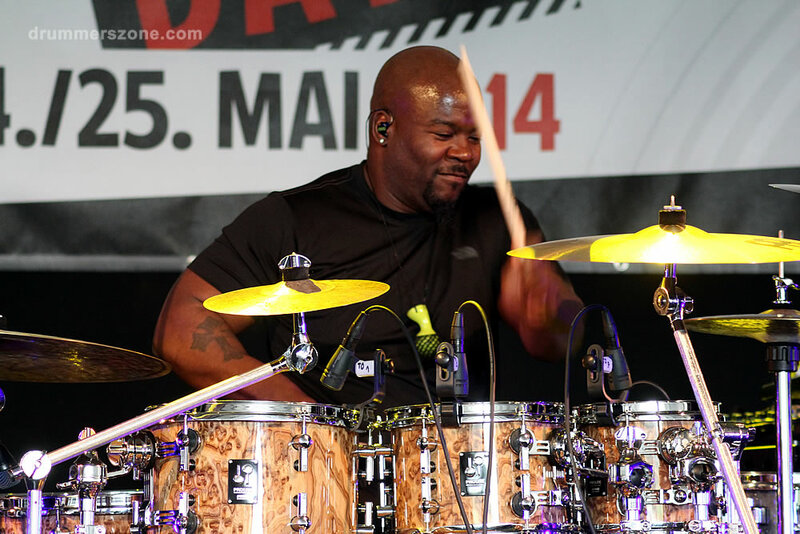 Chris Coleman "All of You"
Chris Coleman performing at the 2014 edition of the Sonor Days 2014 at the Sonor factory in Bad Berleburg, Germany on May 24-25, 2014. 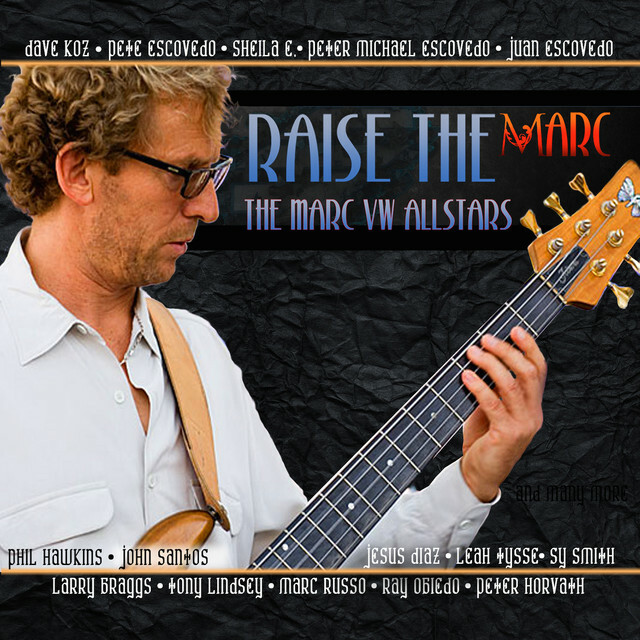 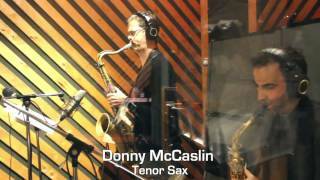 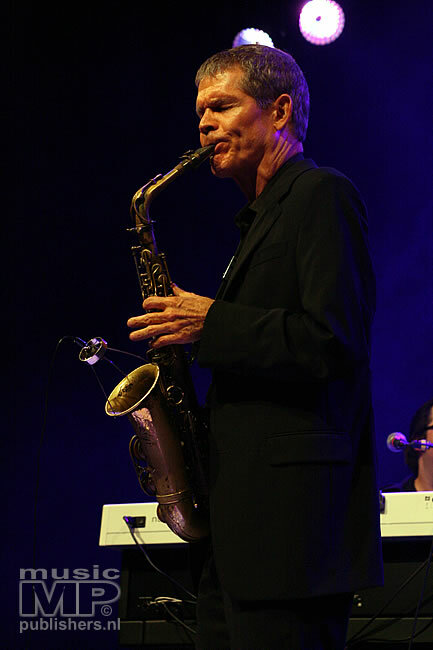 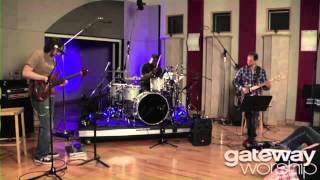 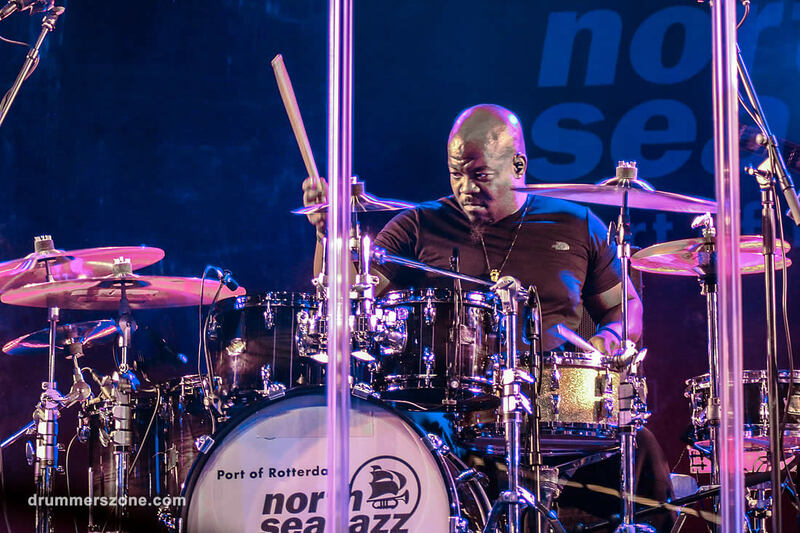 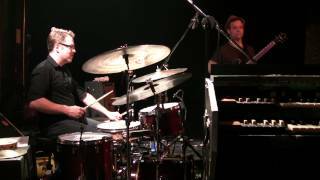 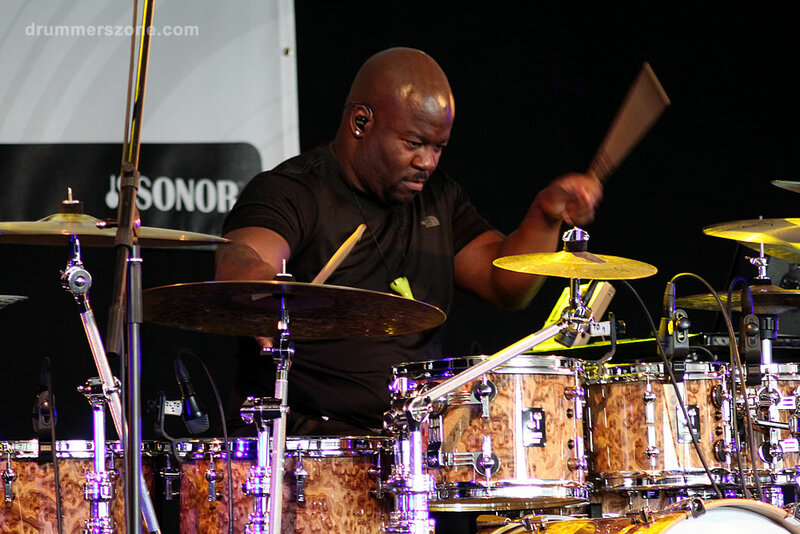 Chris Coleman \"All of You\"
Chris Coleman performing with the David Sanborn Electric Band at the North Sea Jazz Festival in Rotterdam on Friday July 11, 2015. 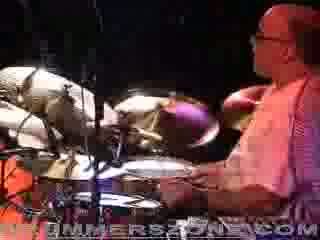 "Hahaha... No that's the result of 'lazy' back line companies, not following the artist request." 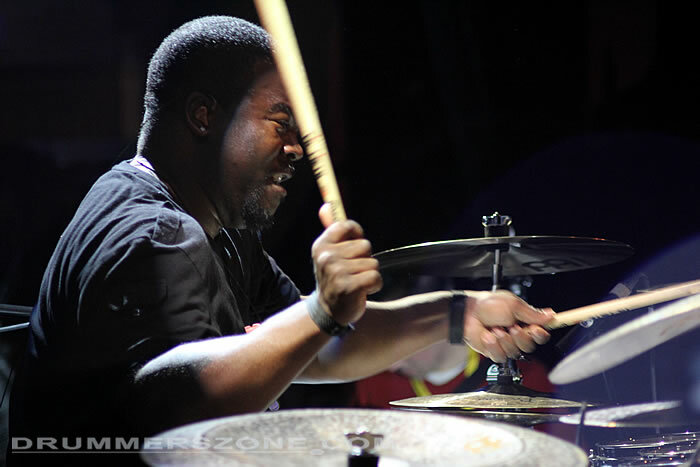 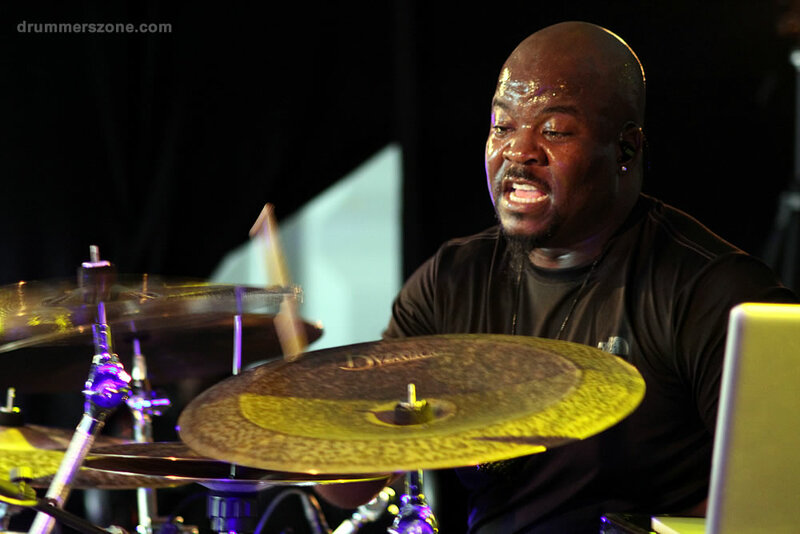 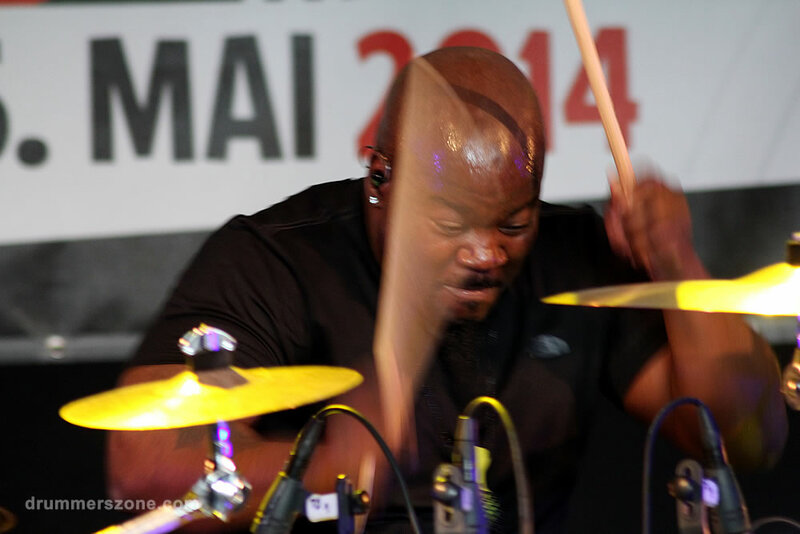 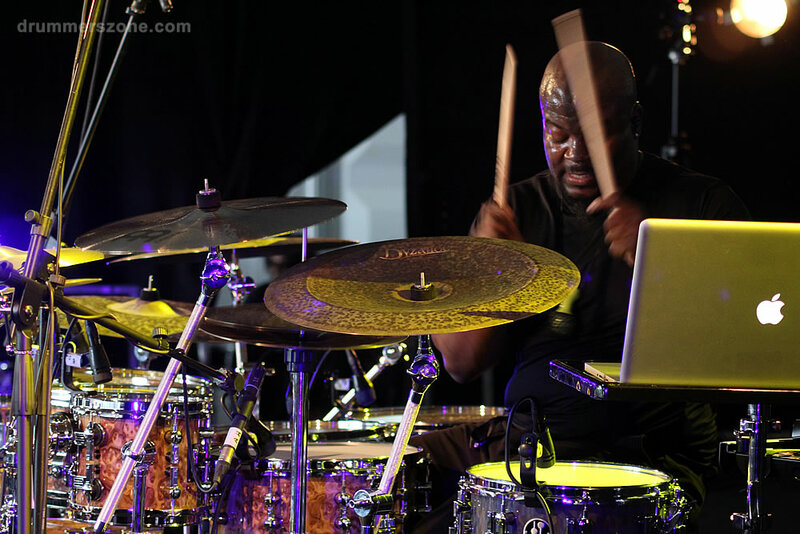 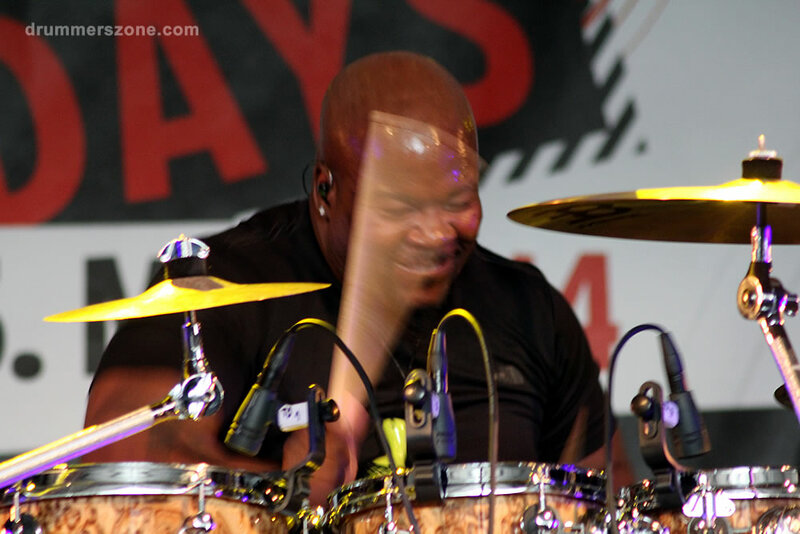 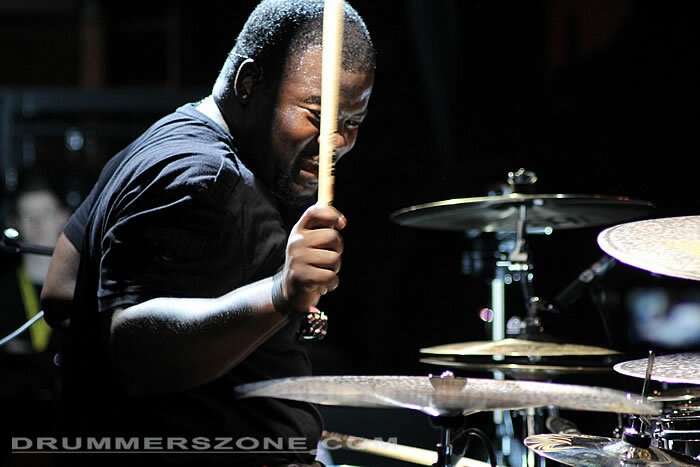 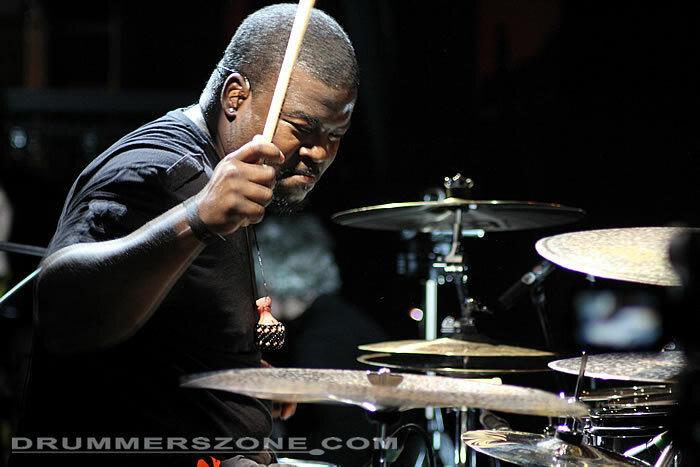 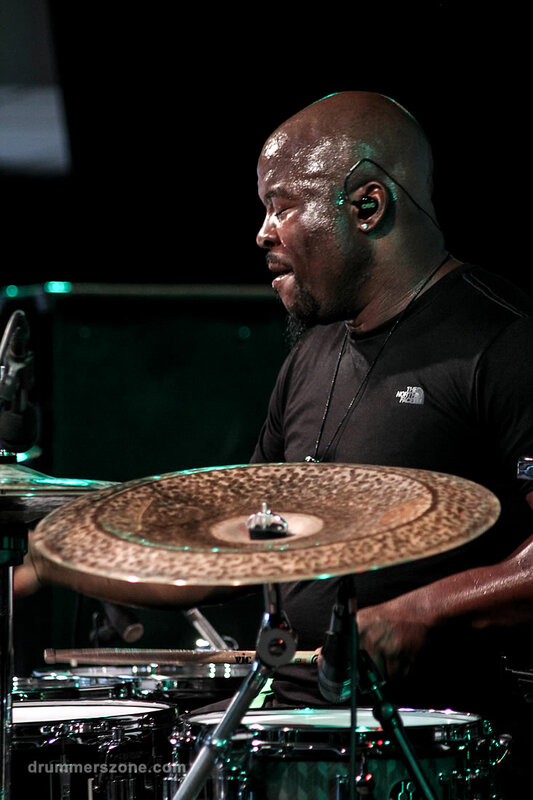 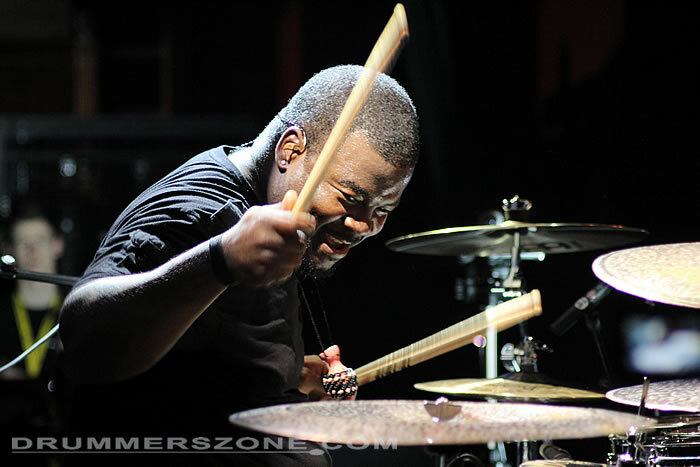 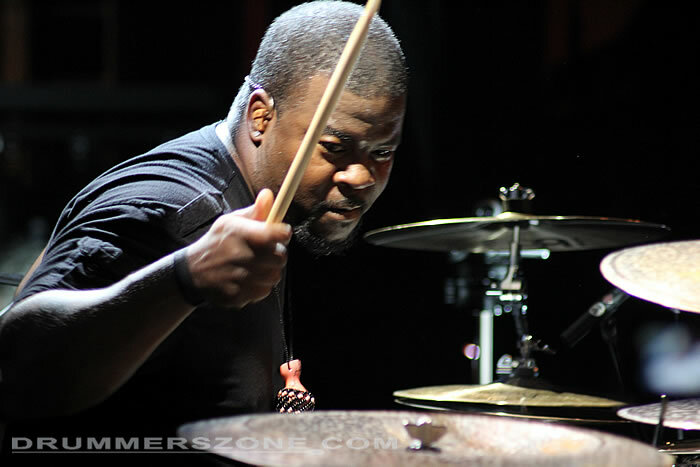 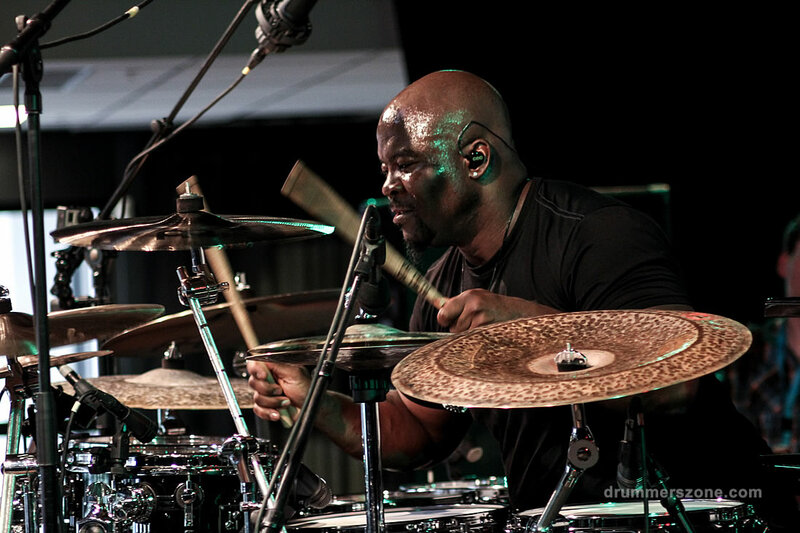 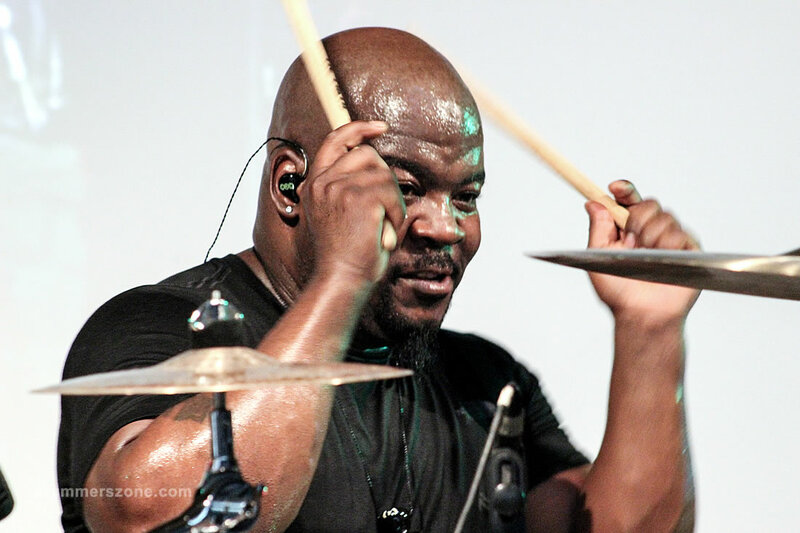 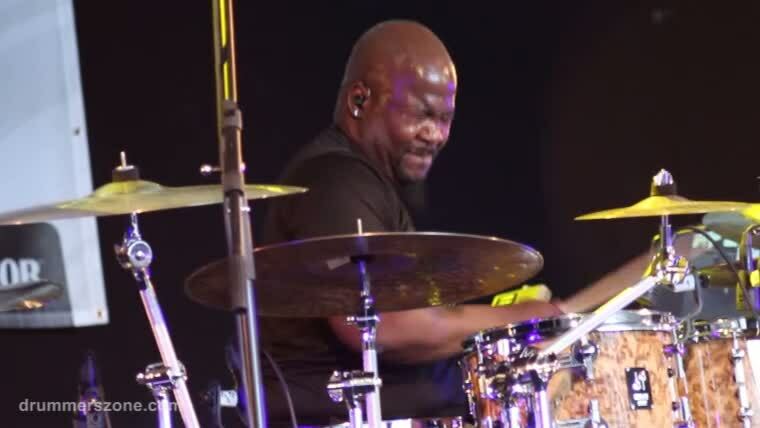 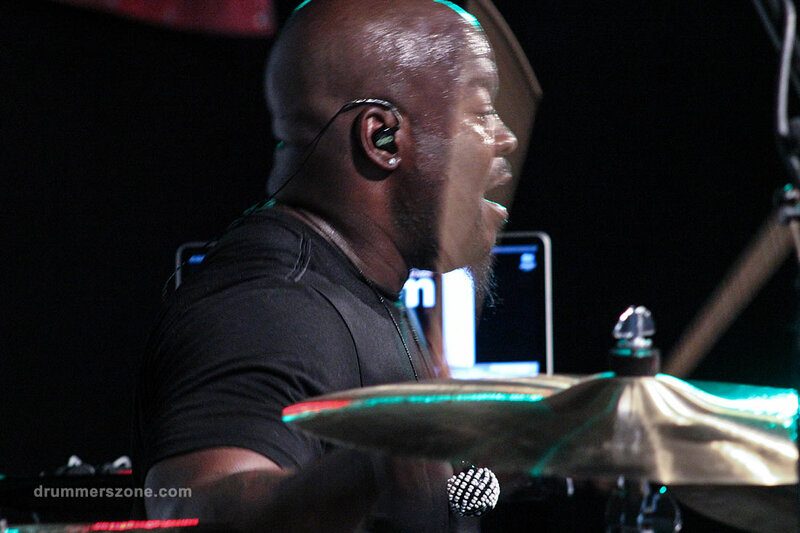 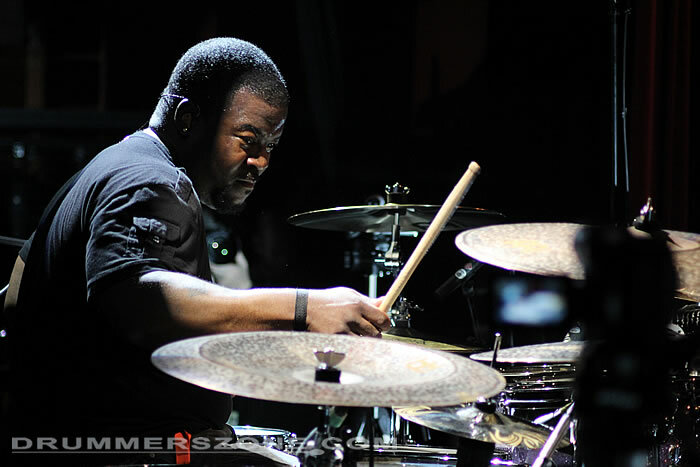 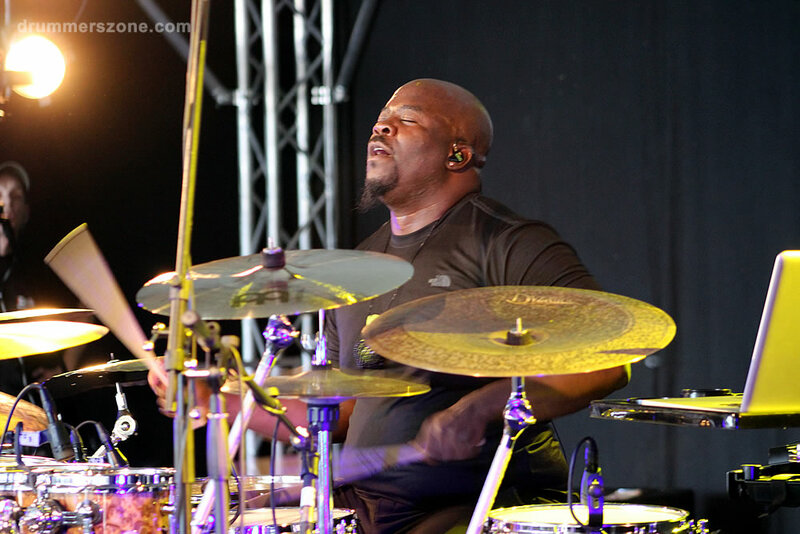 Chris Coleman performing at the Adams Drumworld festival, September 14, 2014. 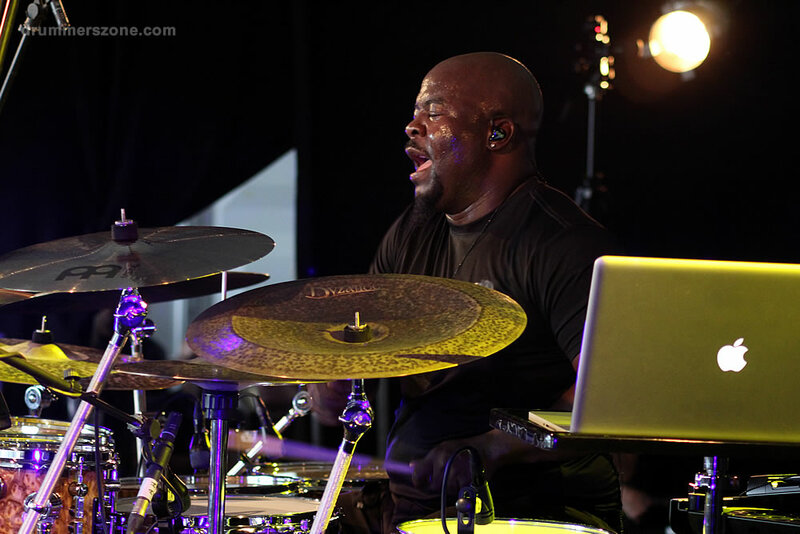 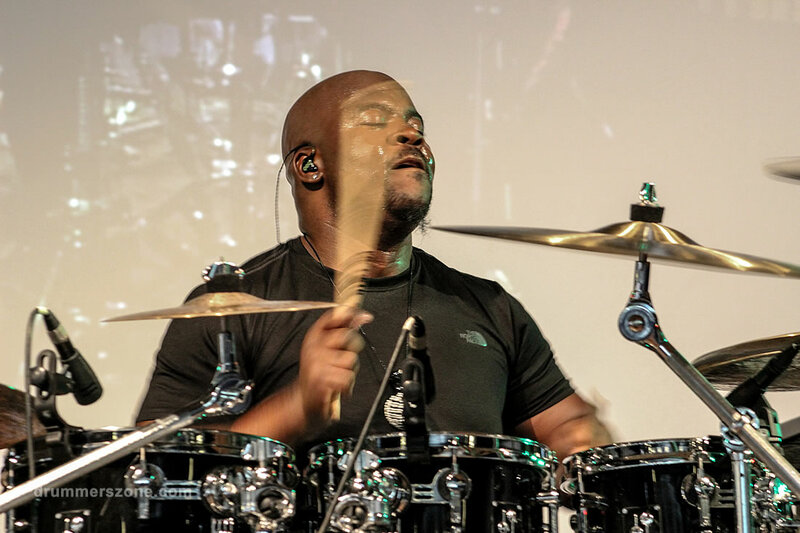 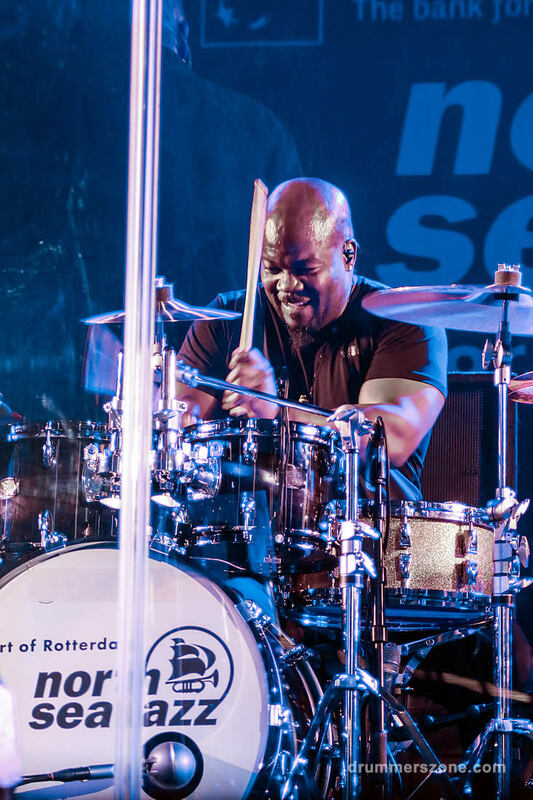 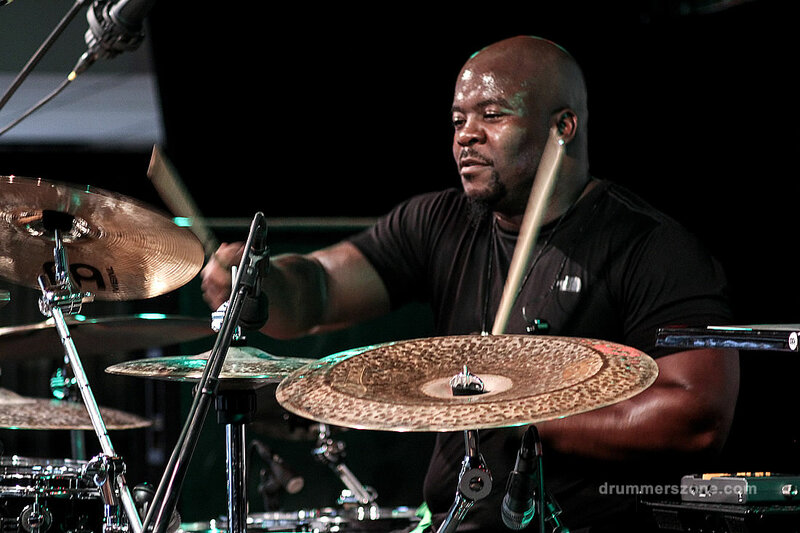 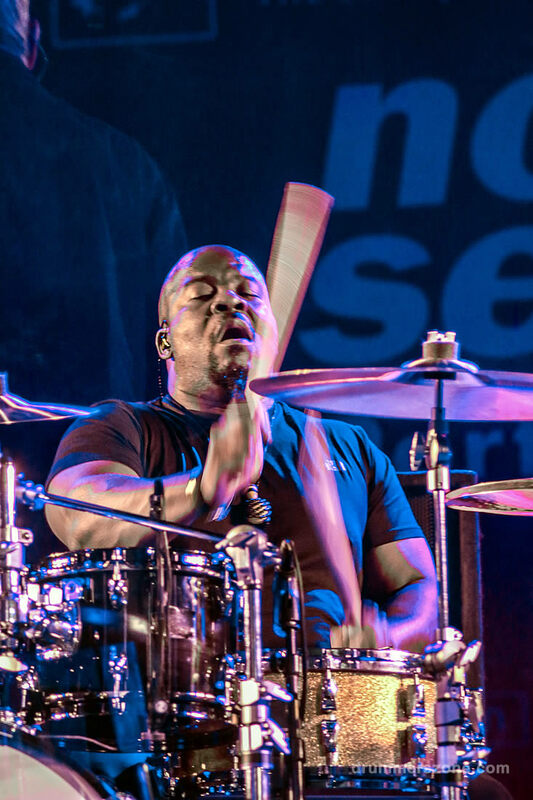 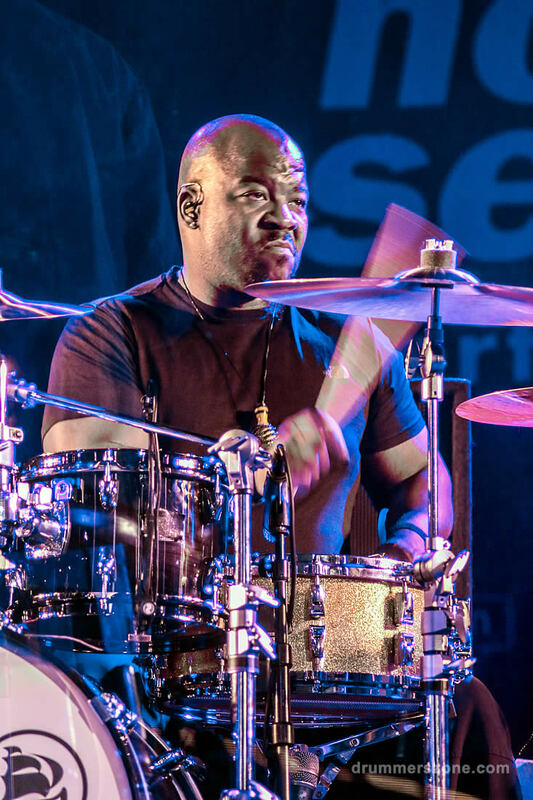 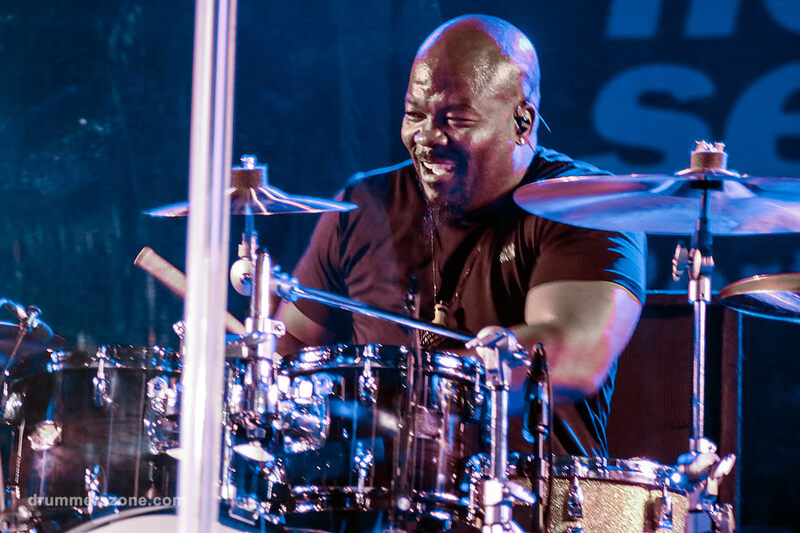 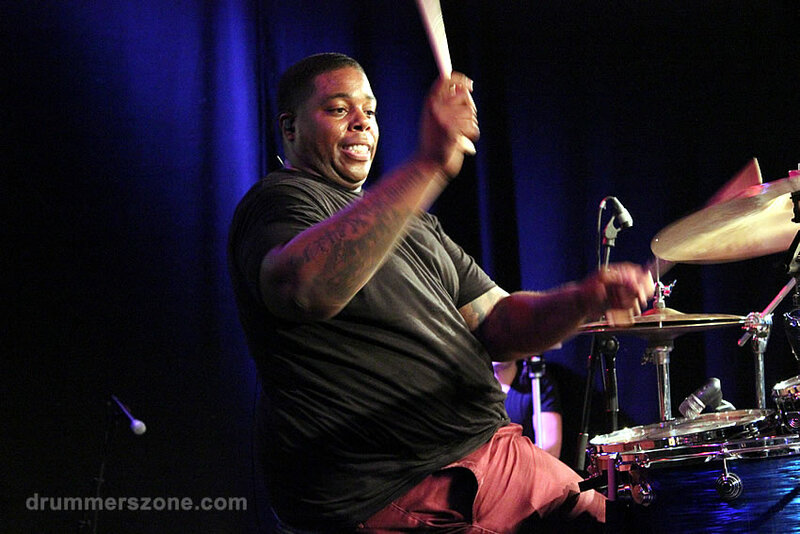 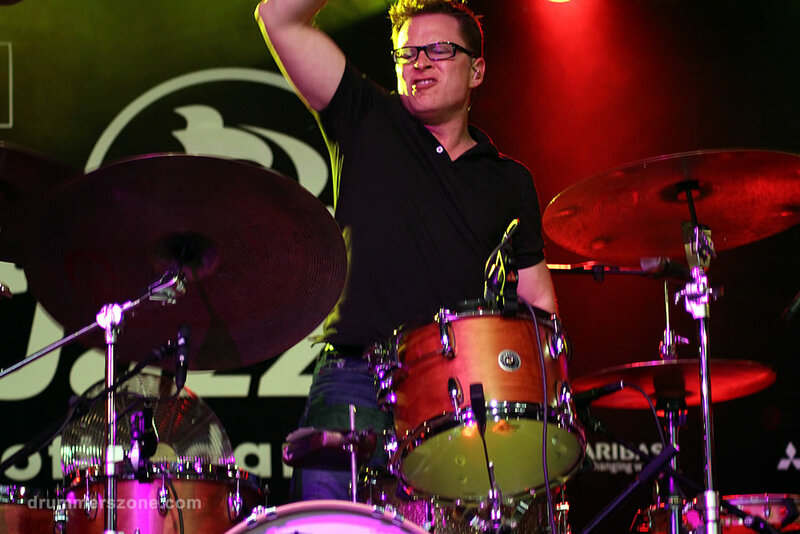 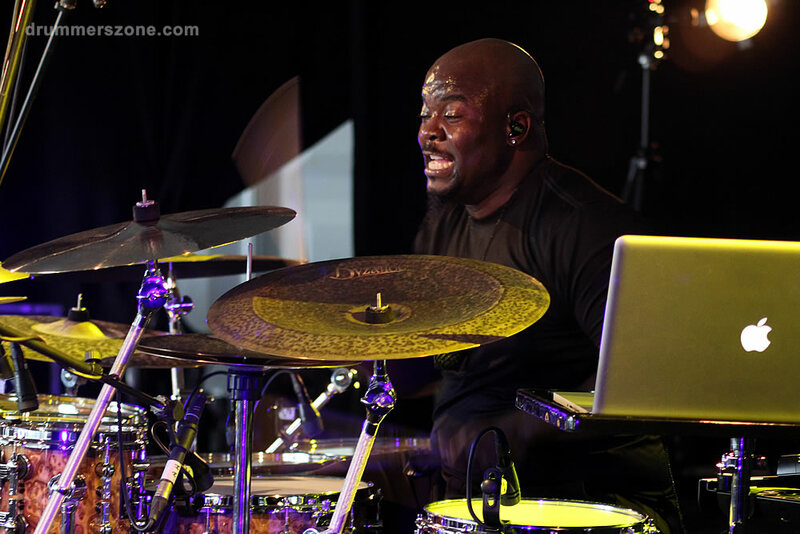 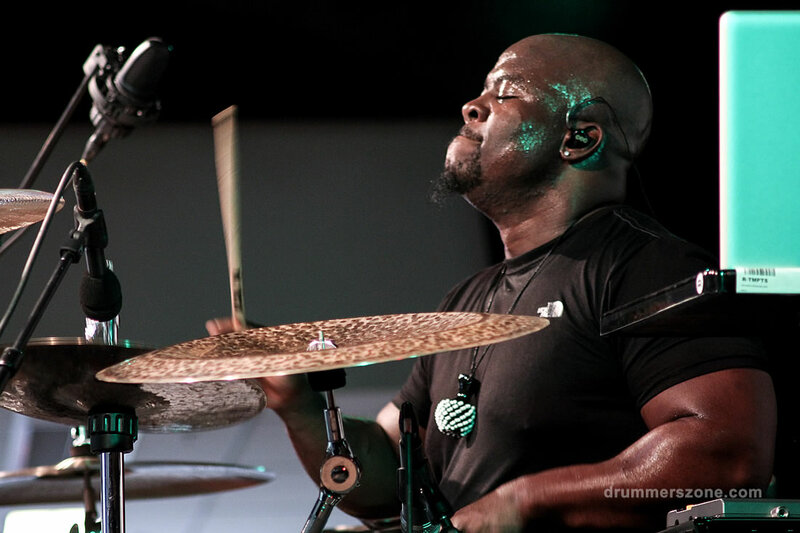 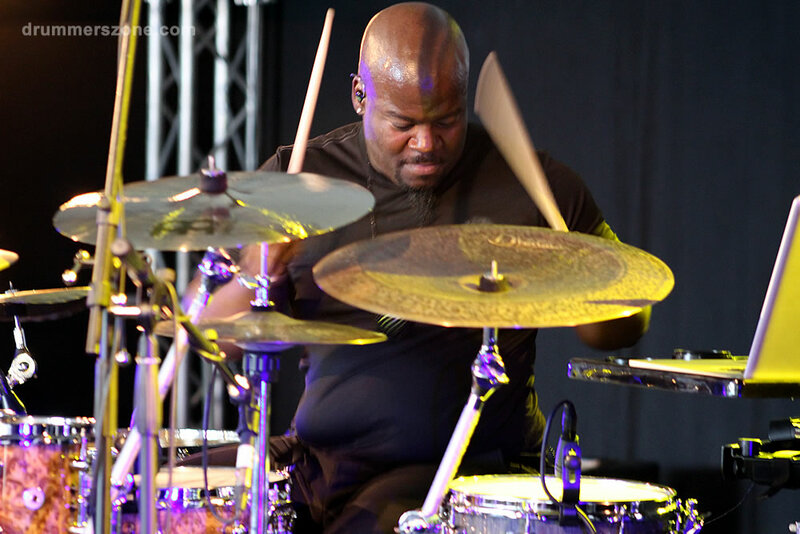 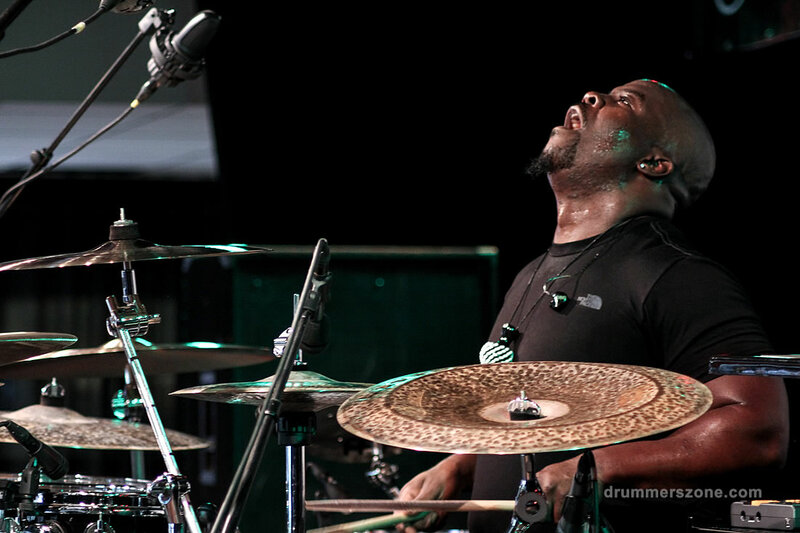 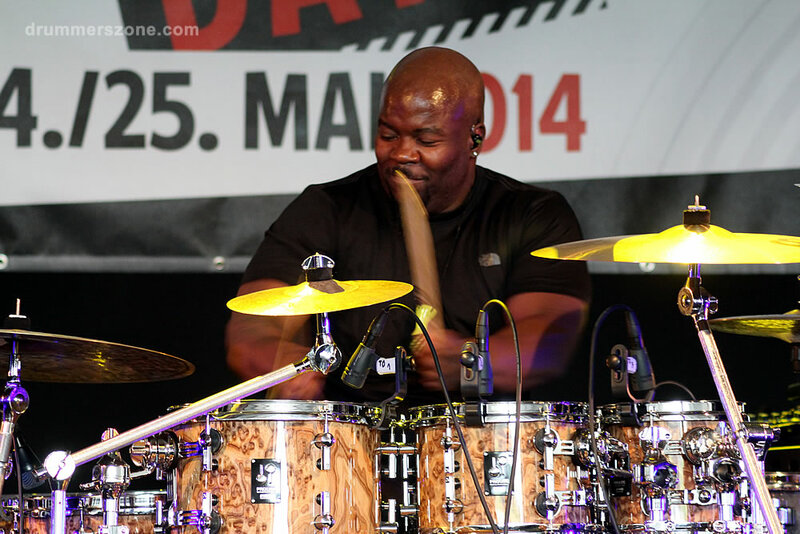 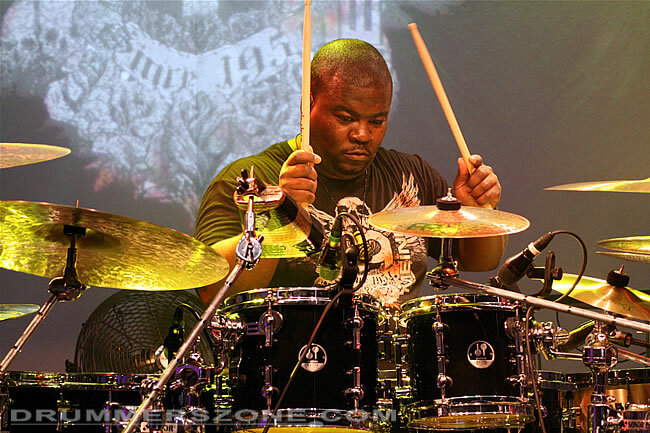 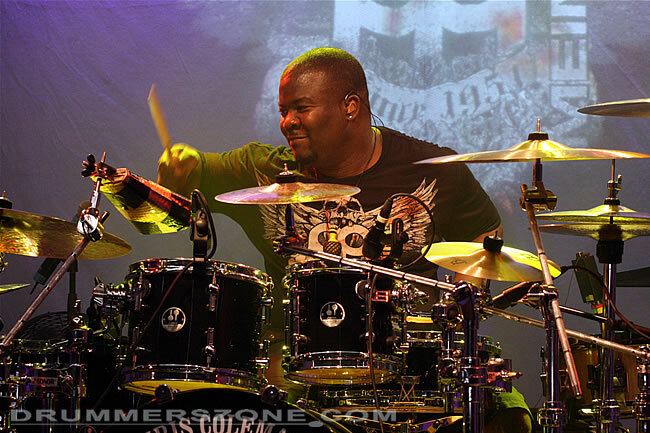 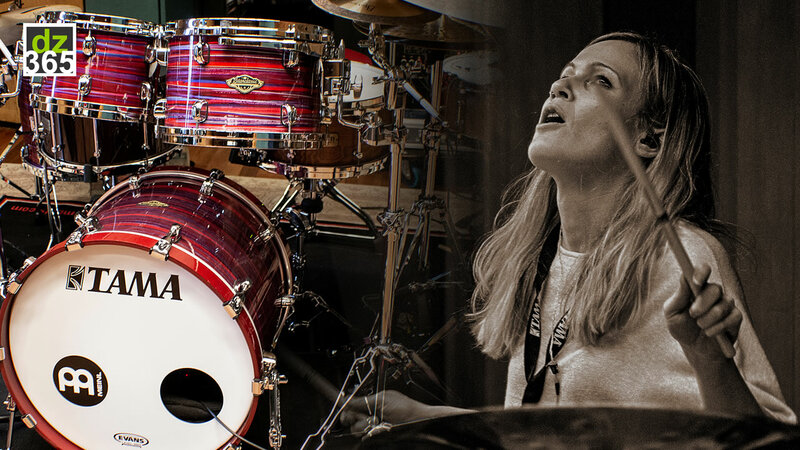 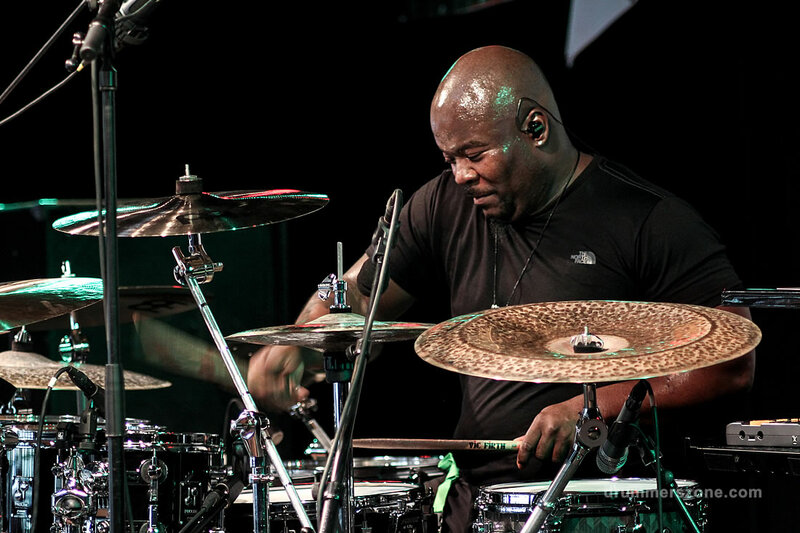 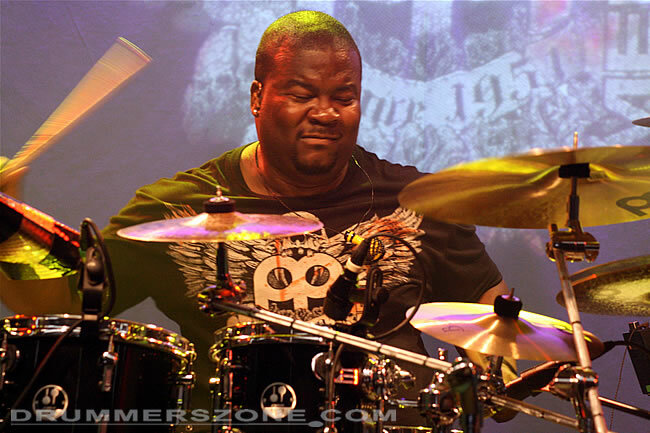 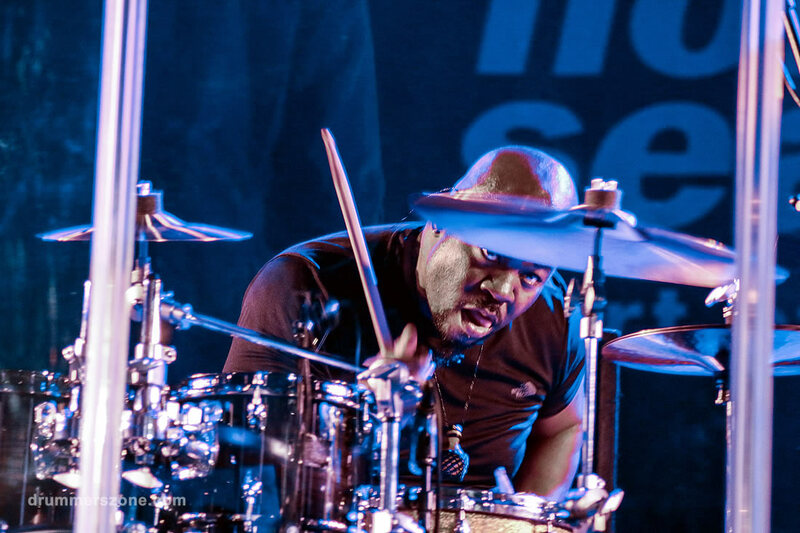 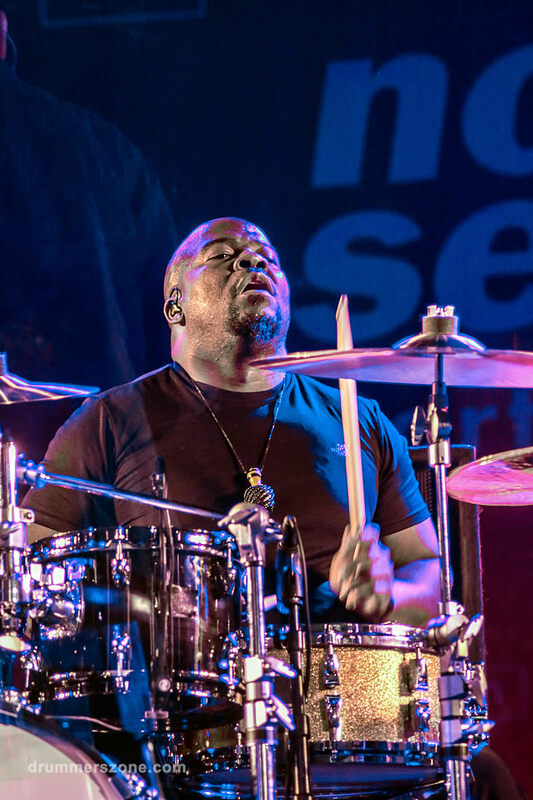 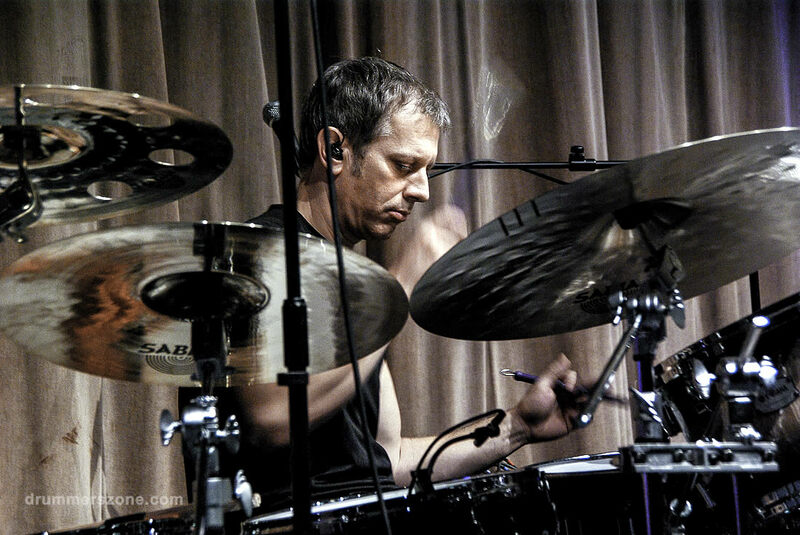 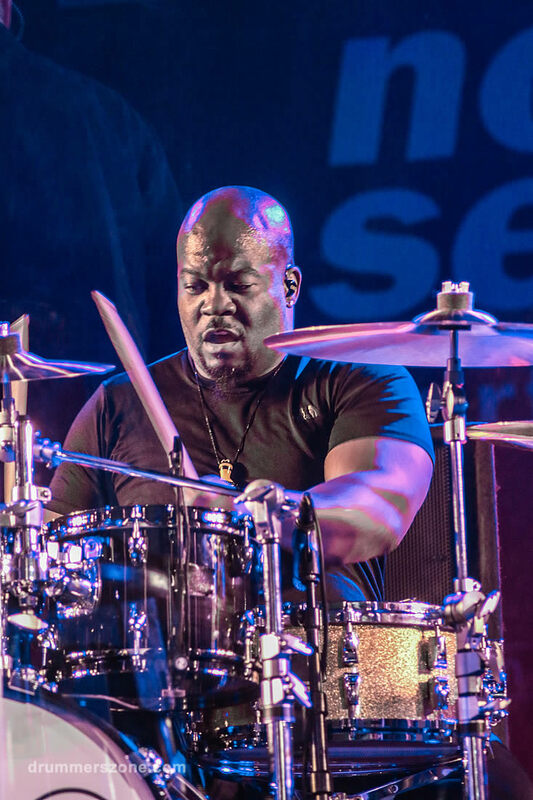 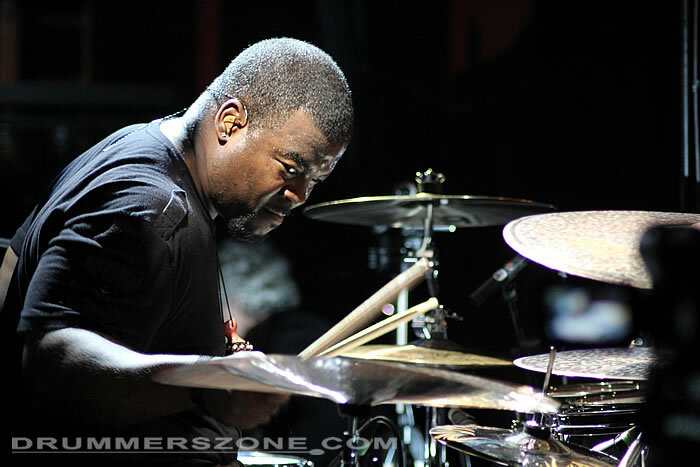 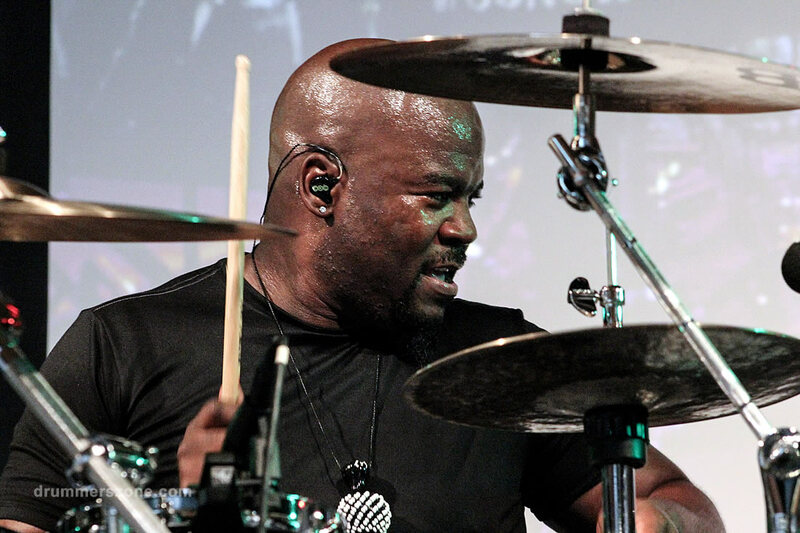 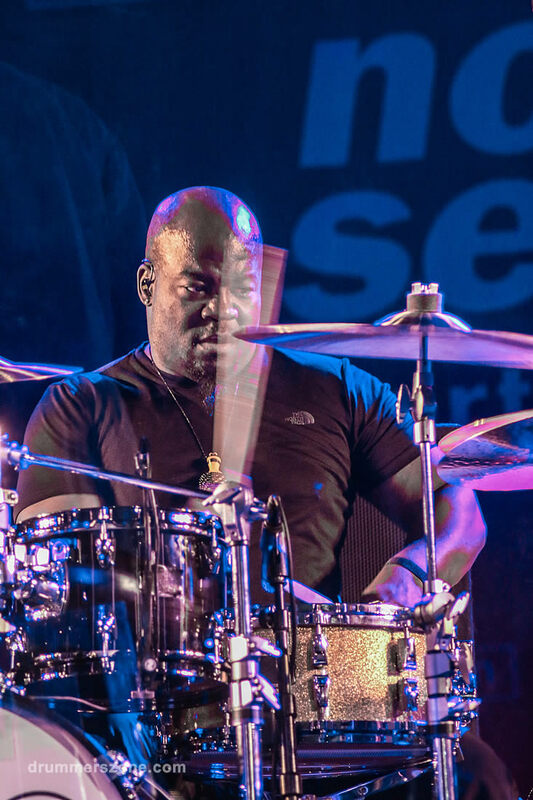 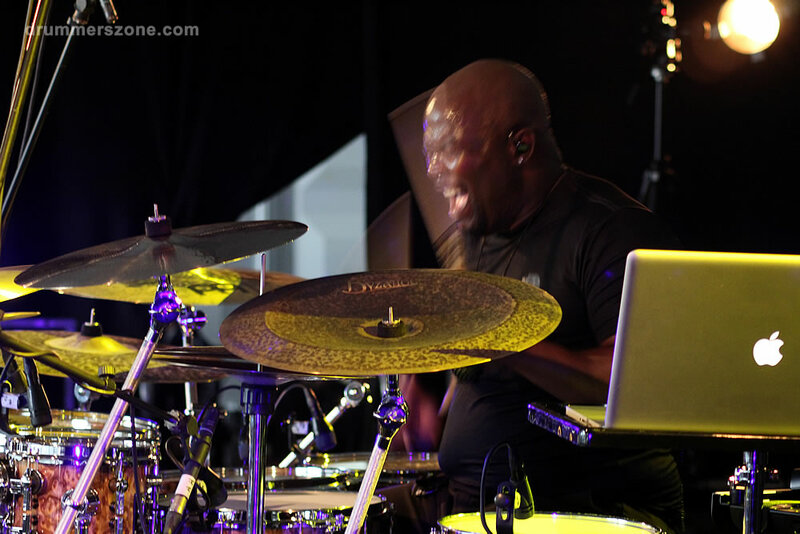 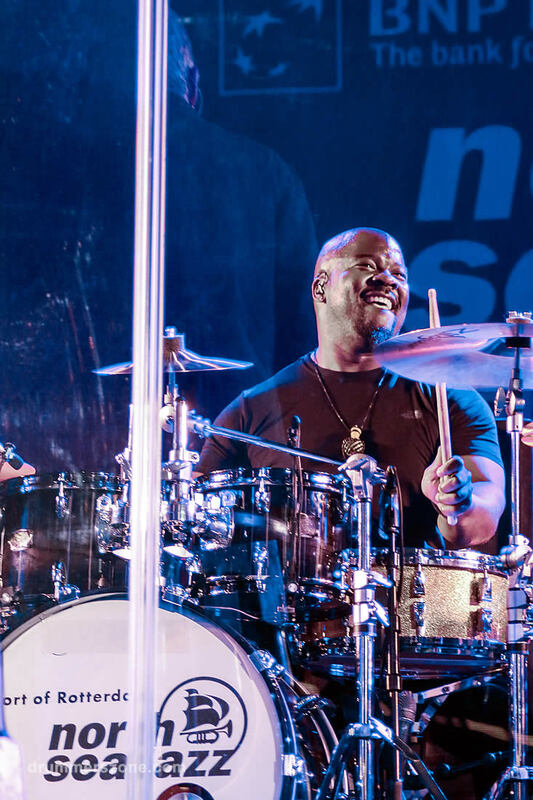 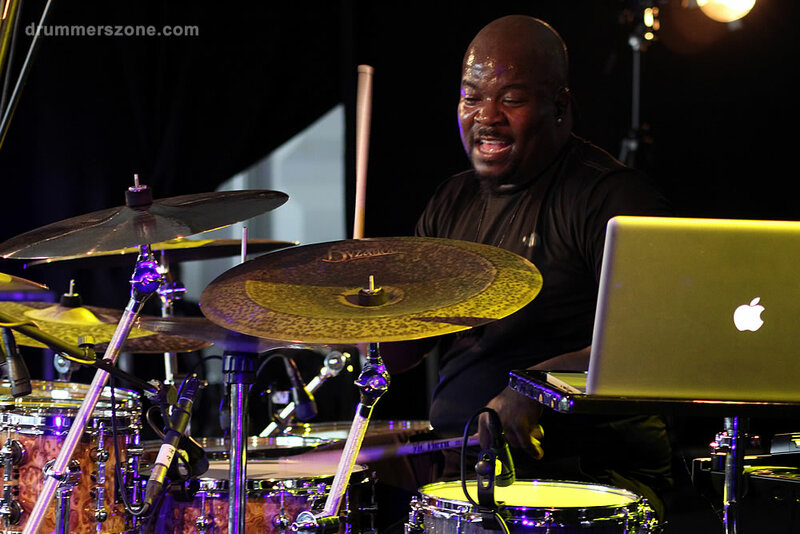 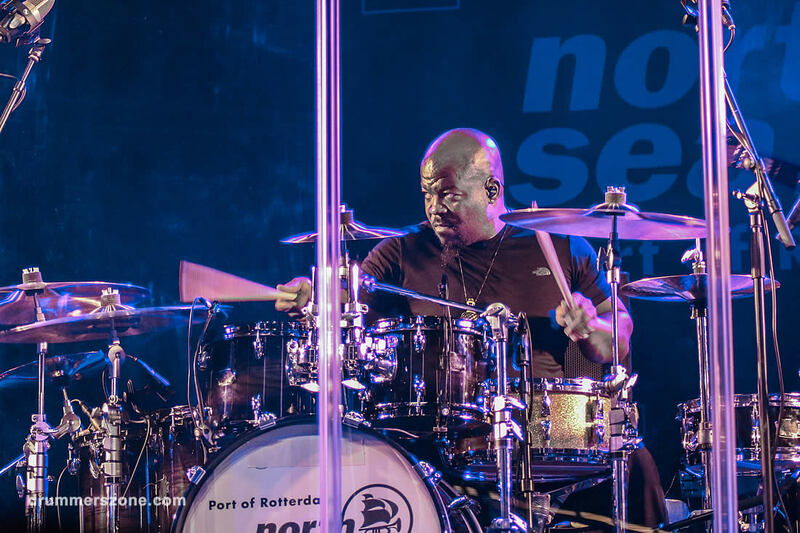 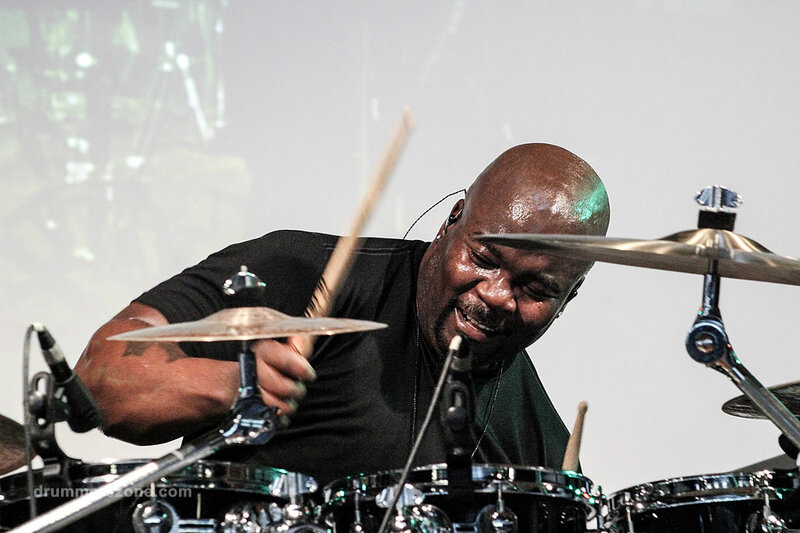 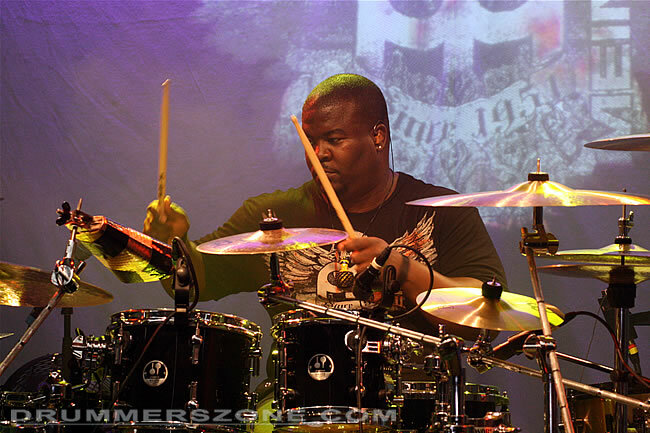 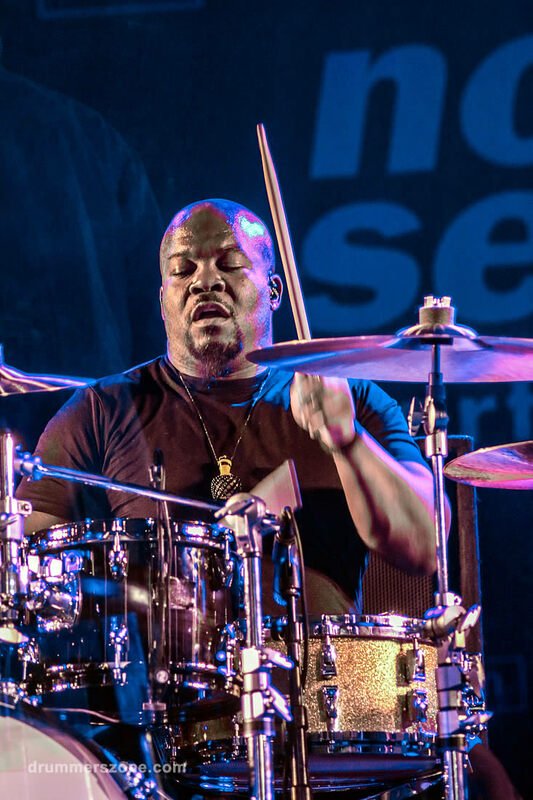 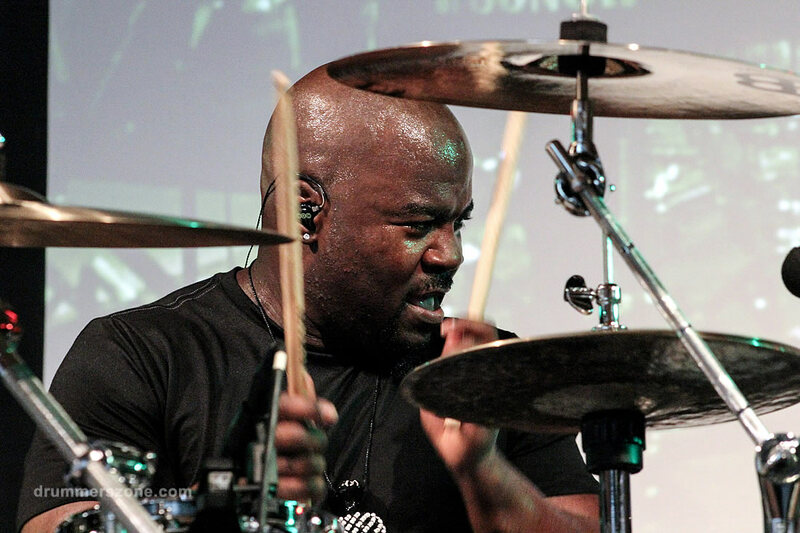 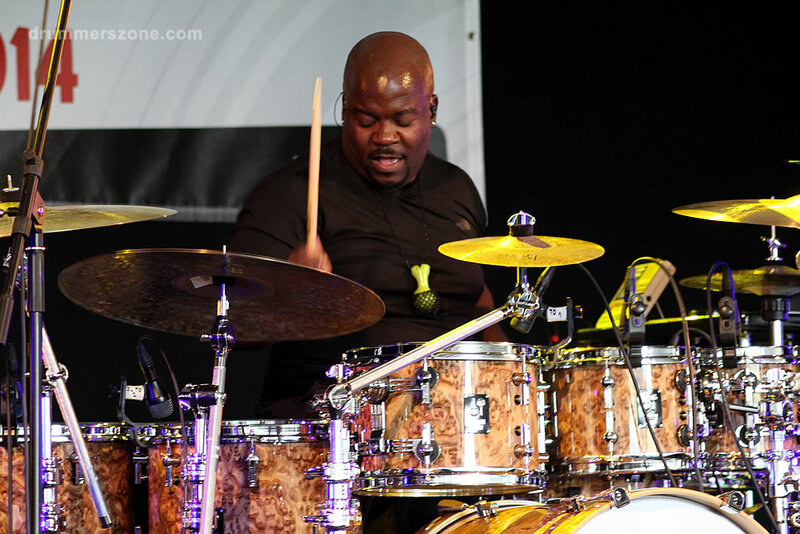 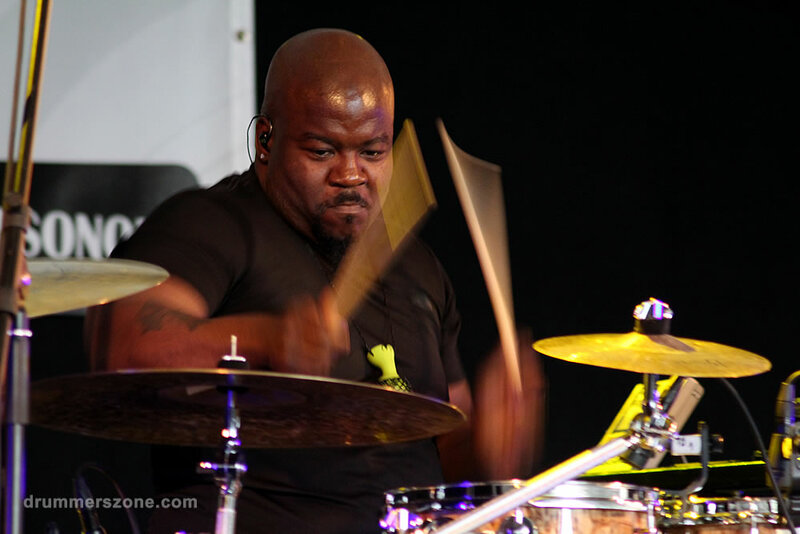 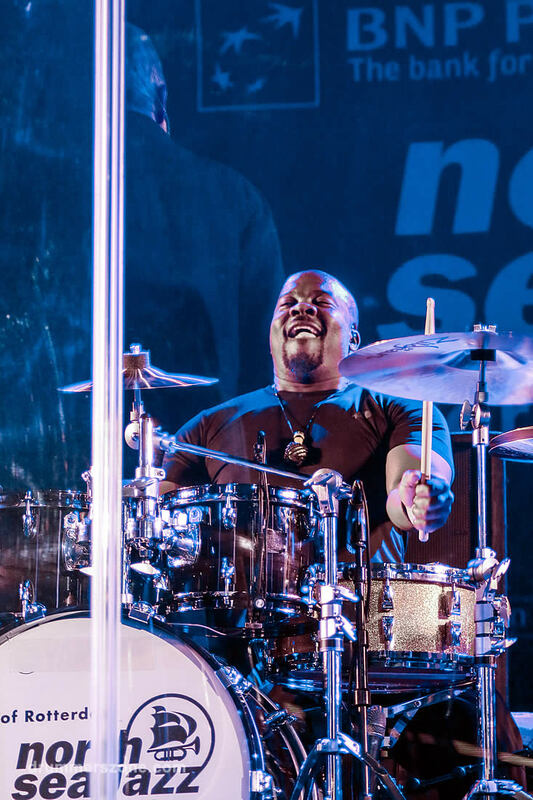 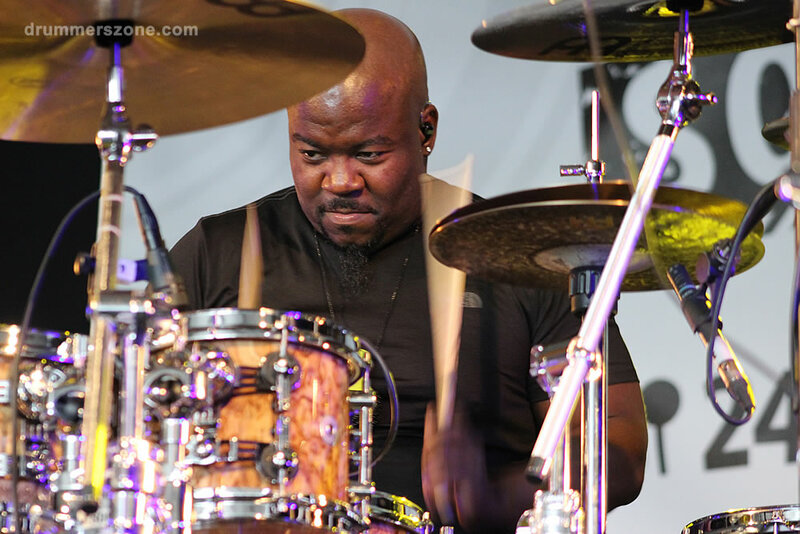 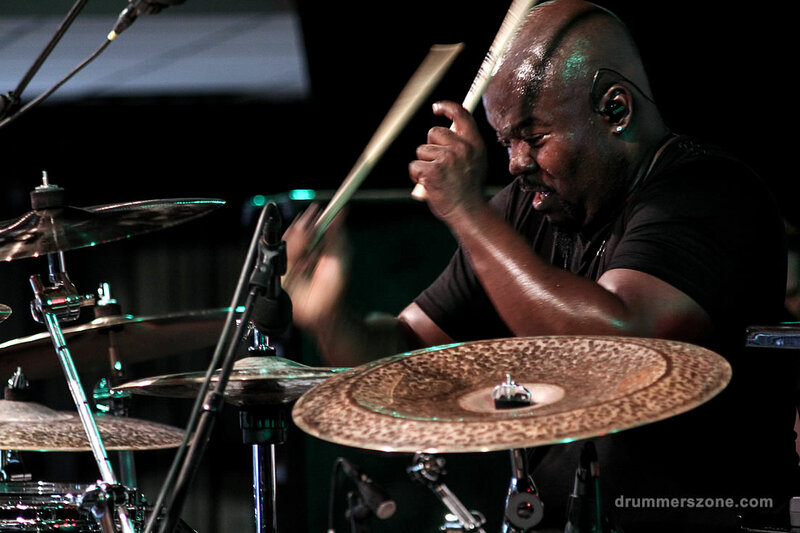 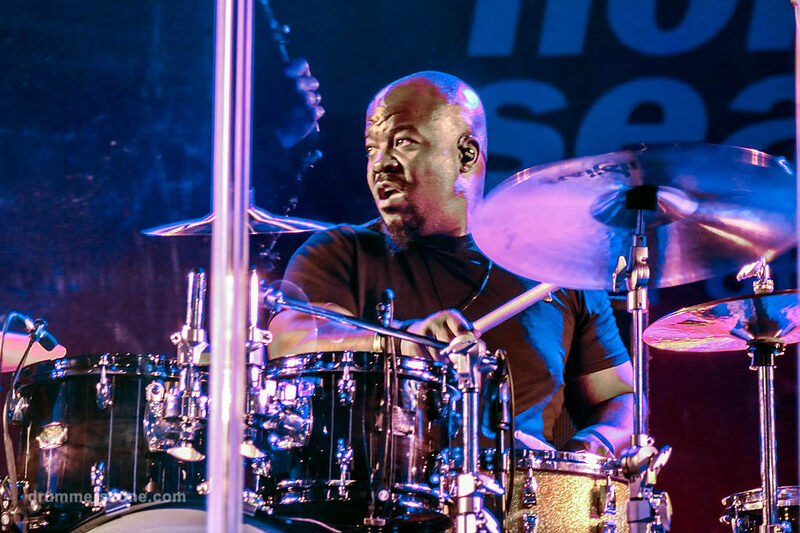 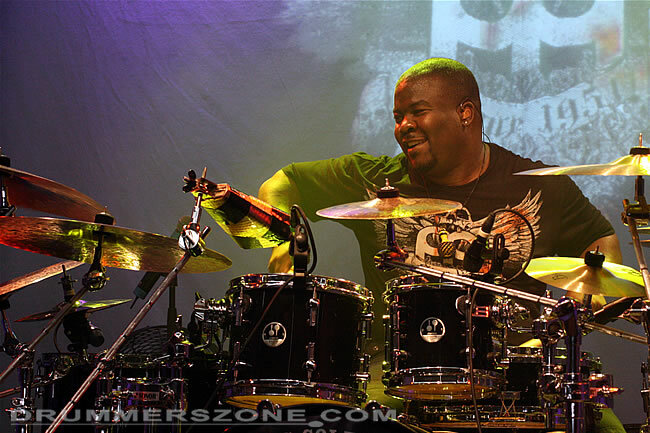 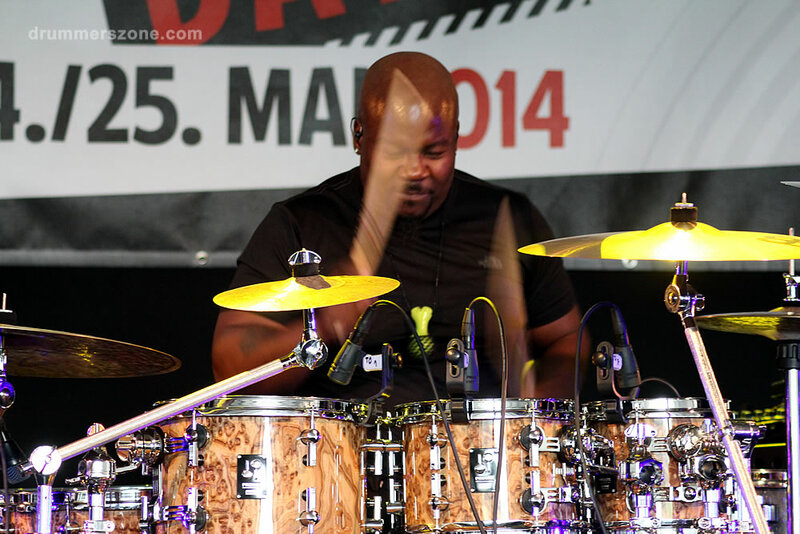 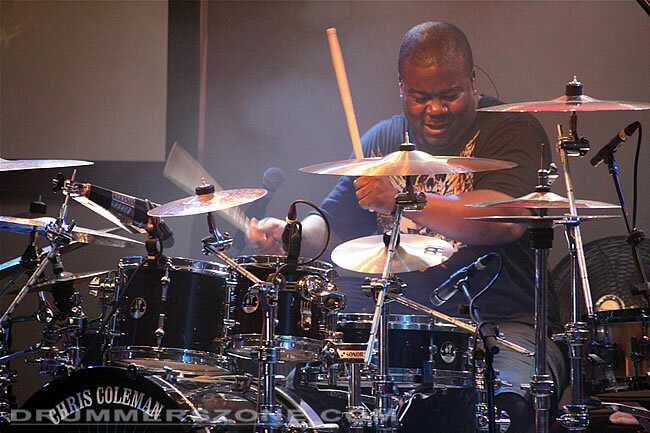 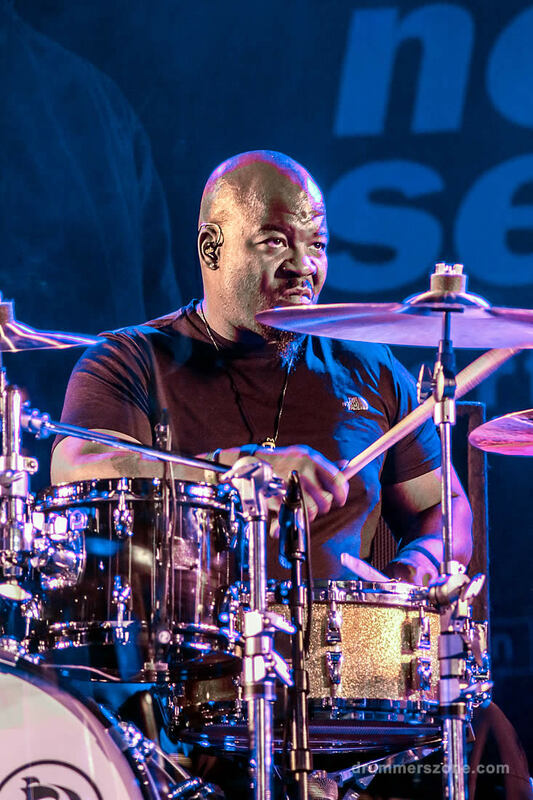 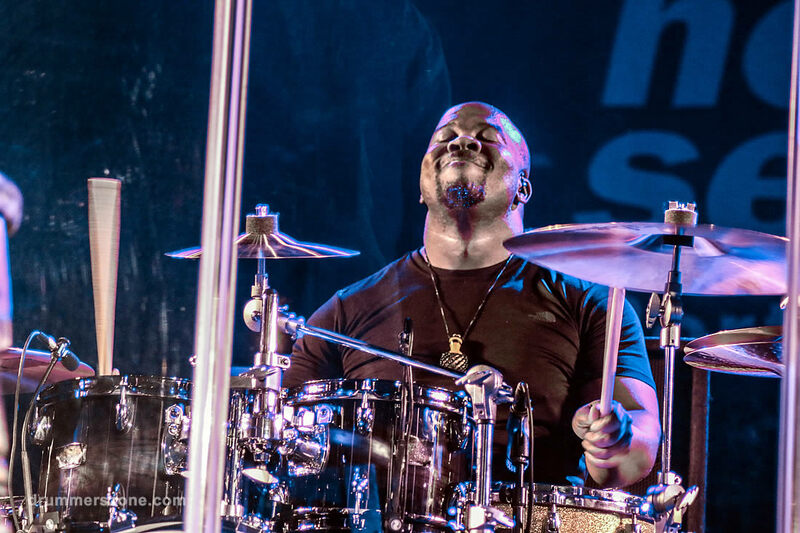 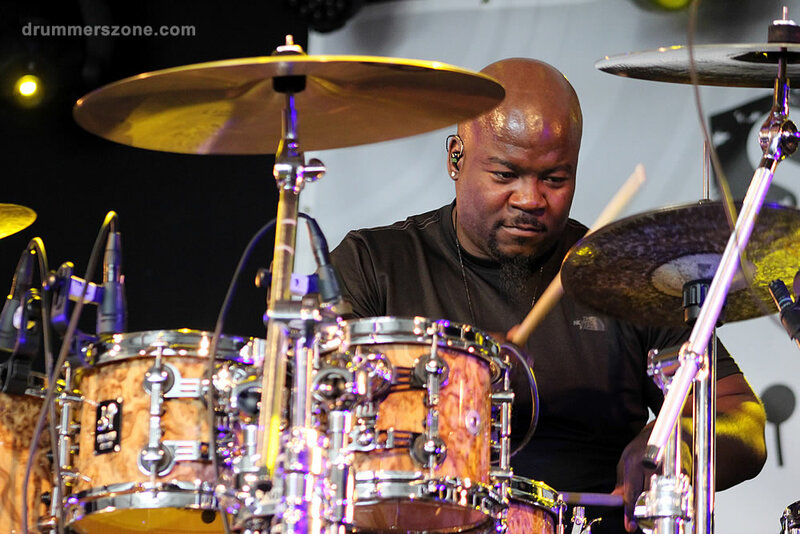 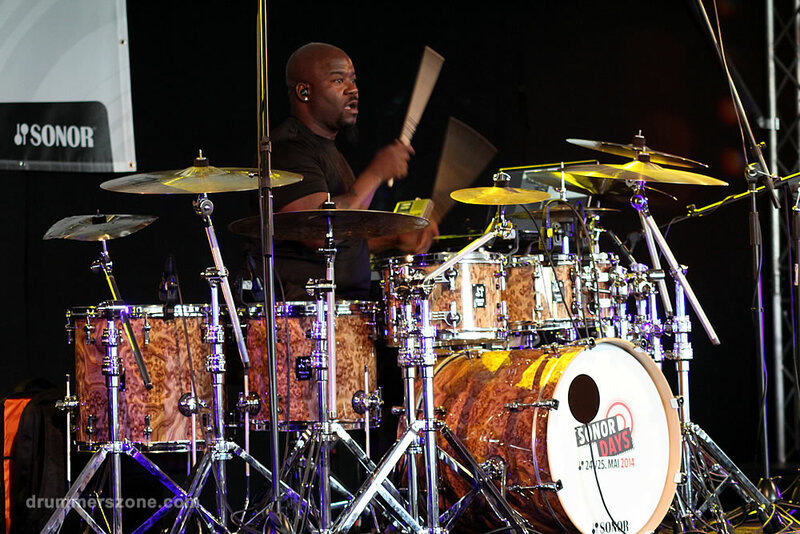 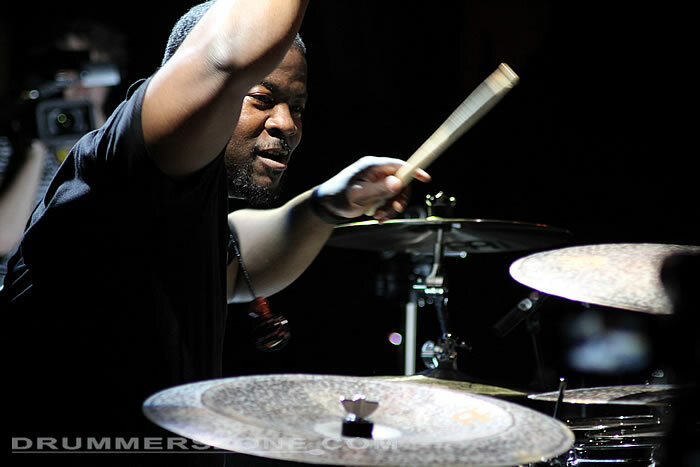 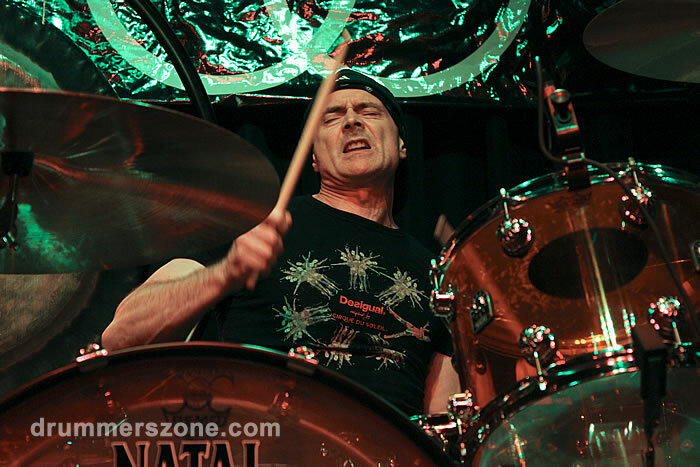 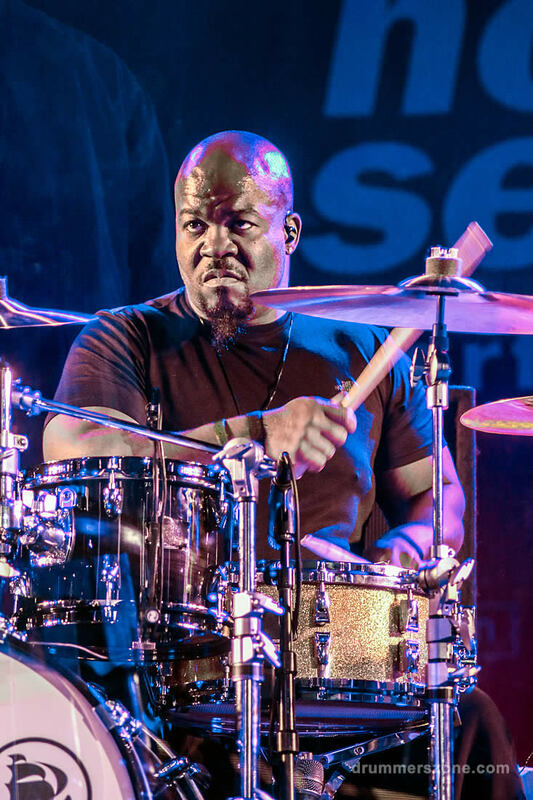 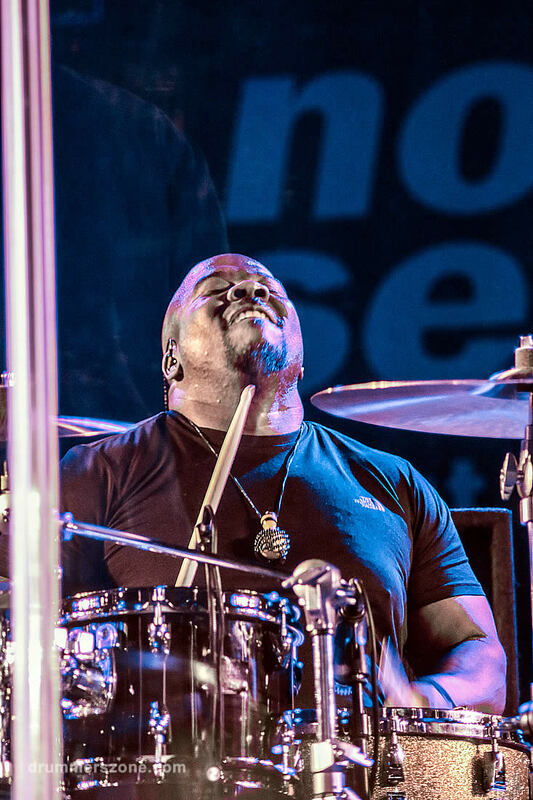 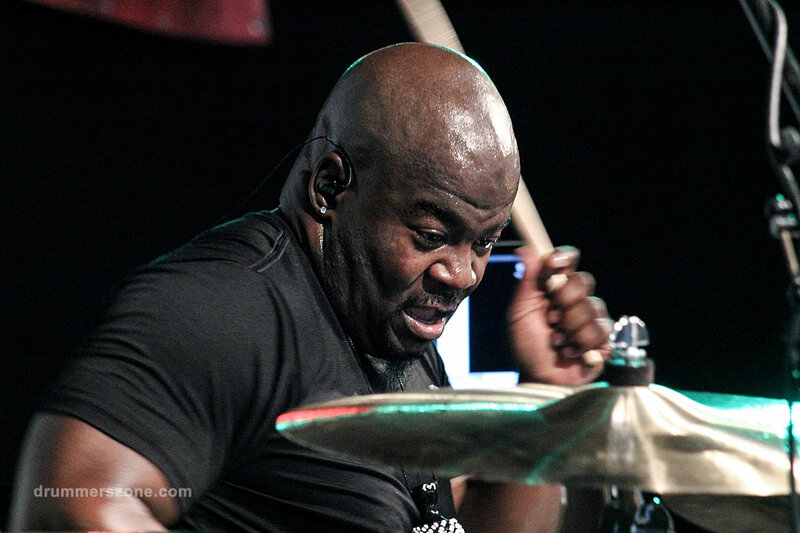 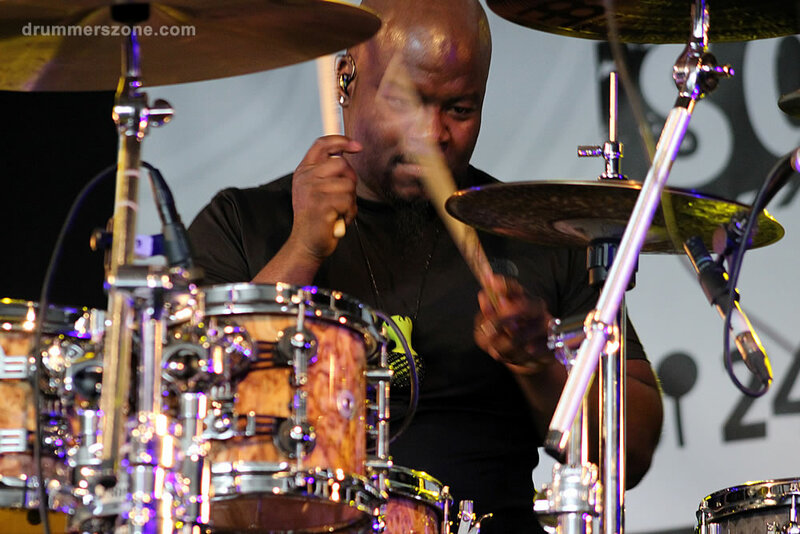 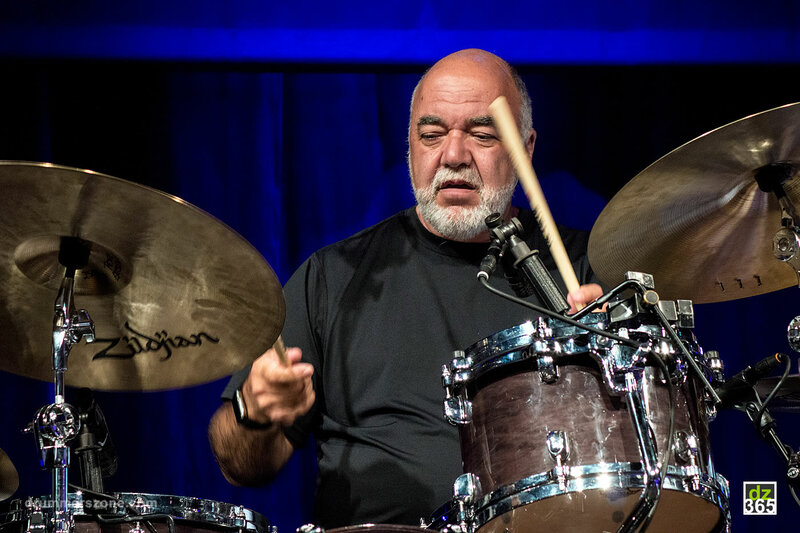 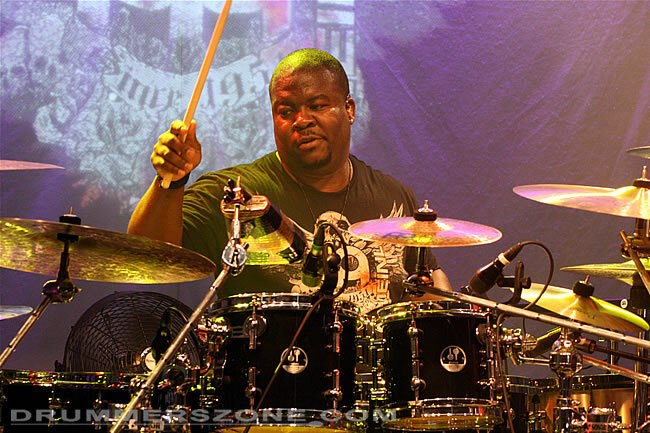 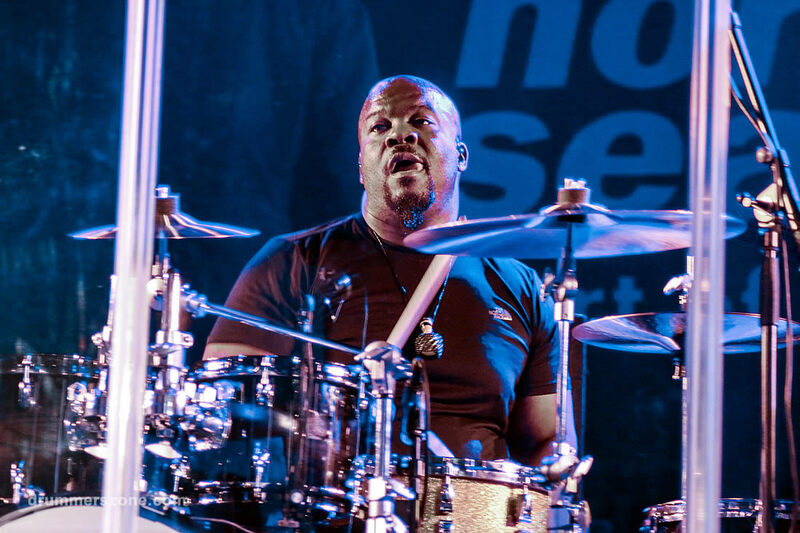 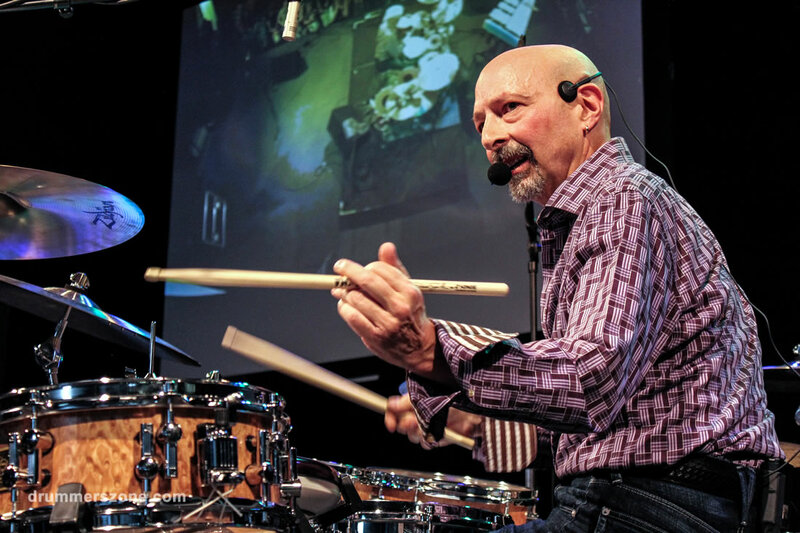 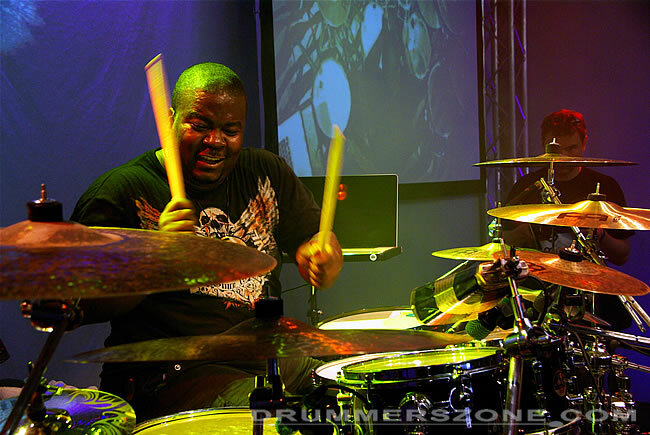 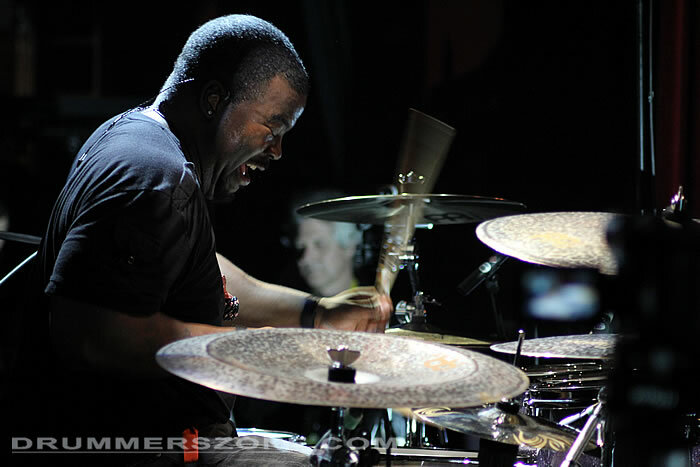 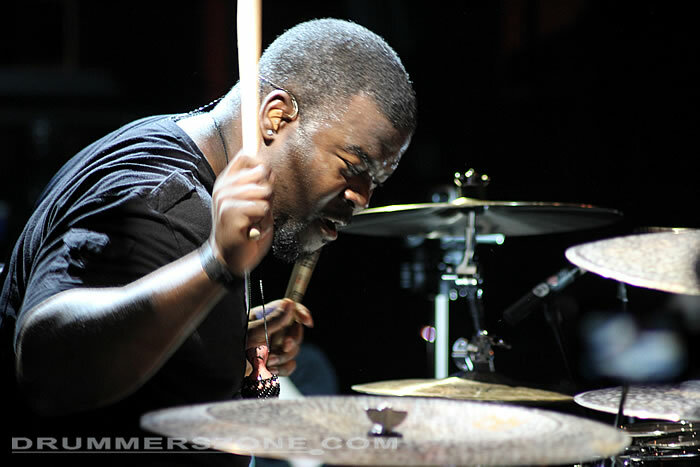 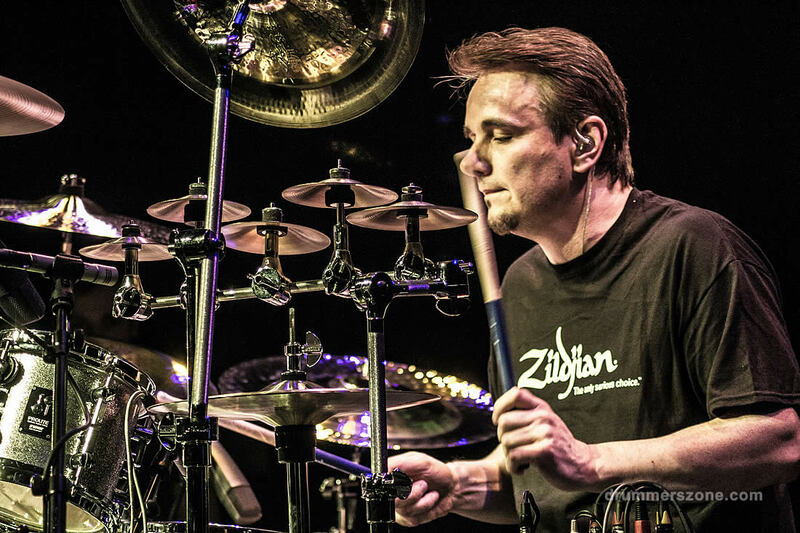 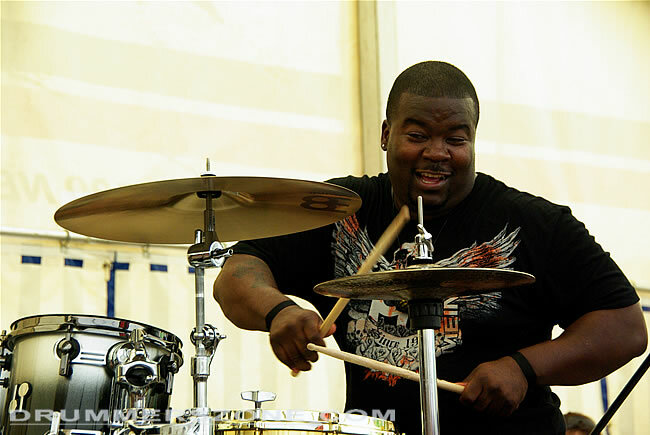 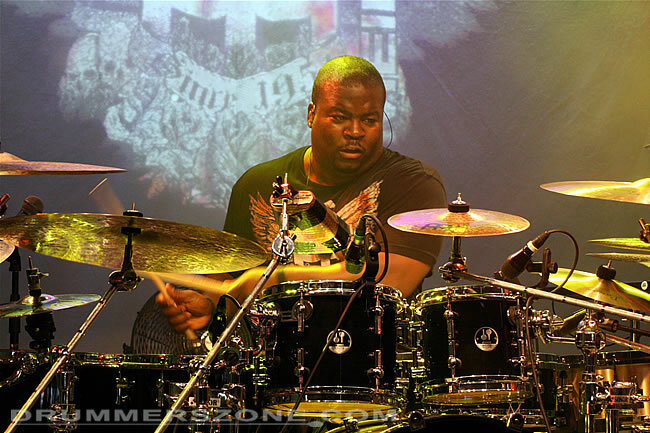 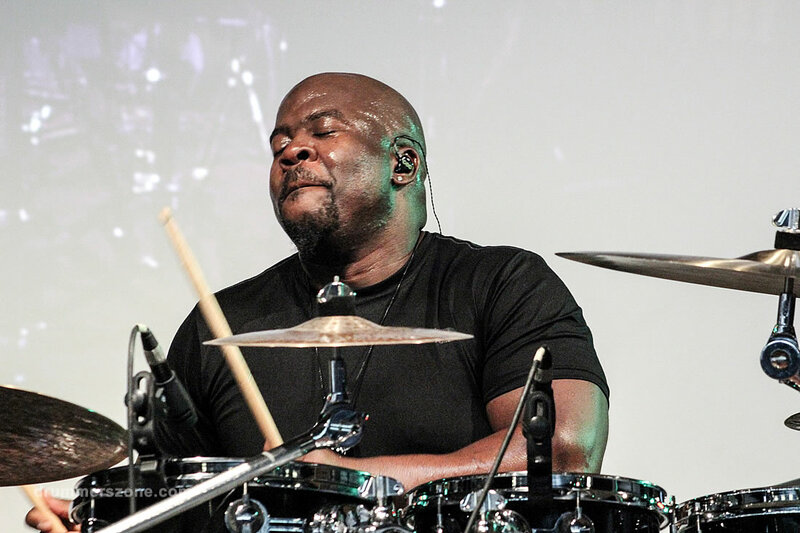 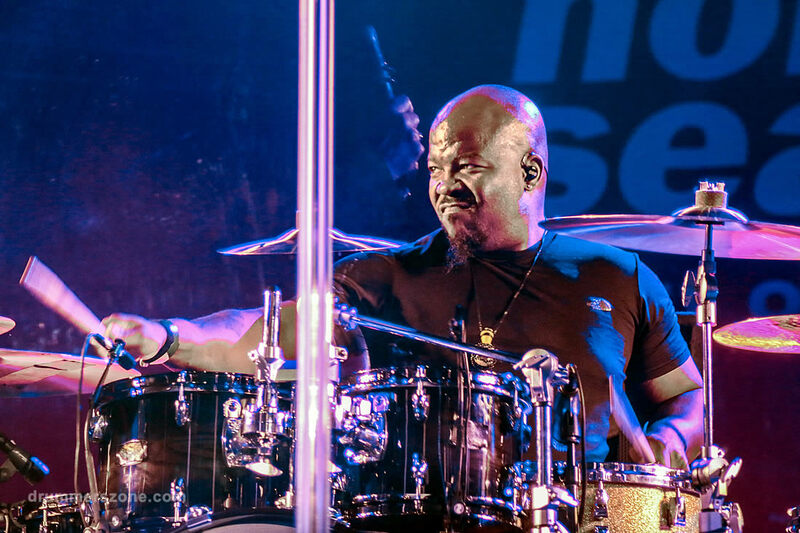 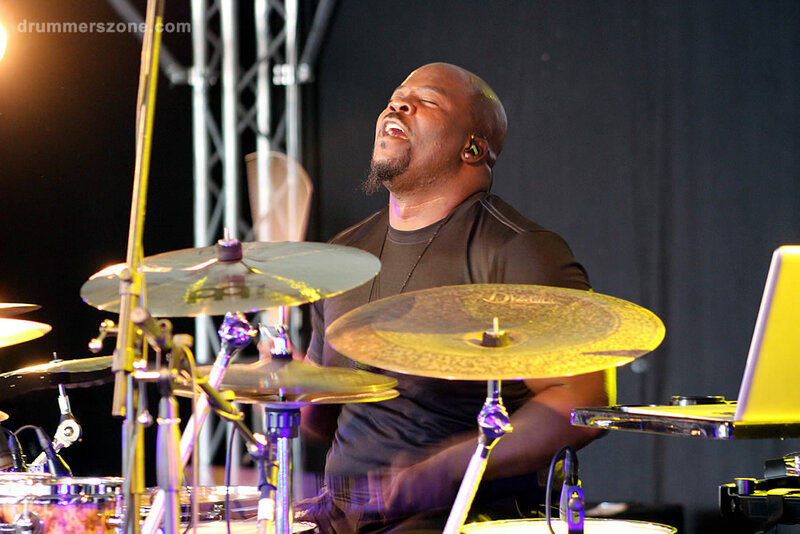 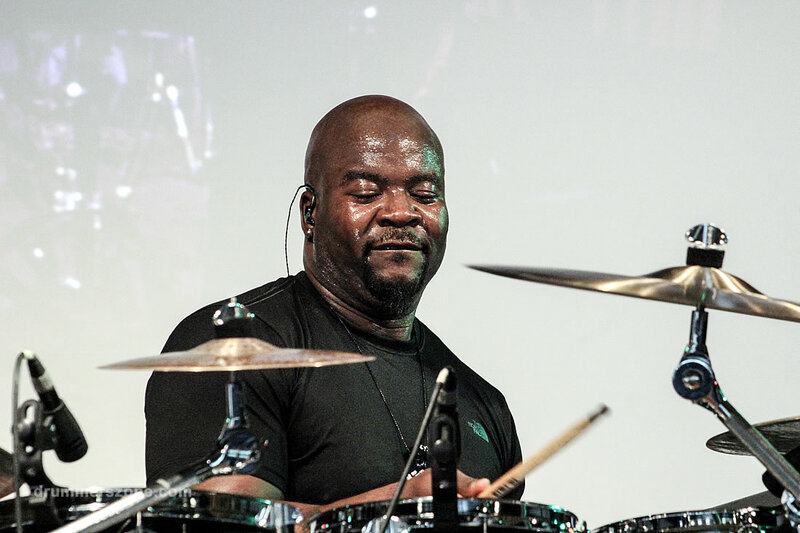 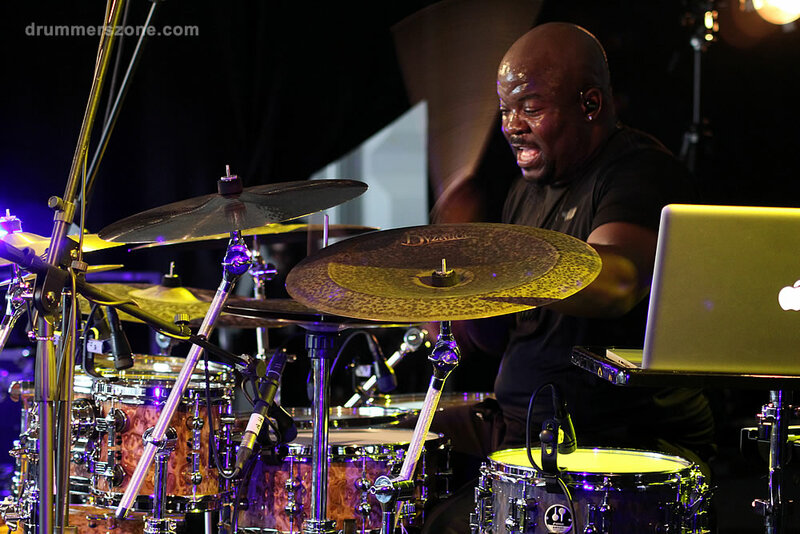 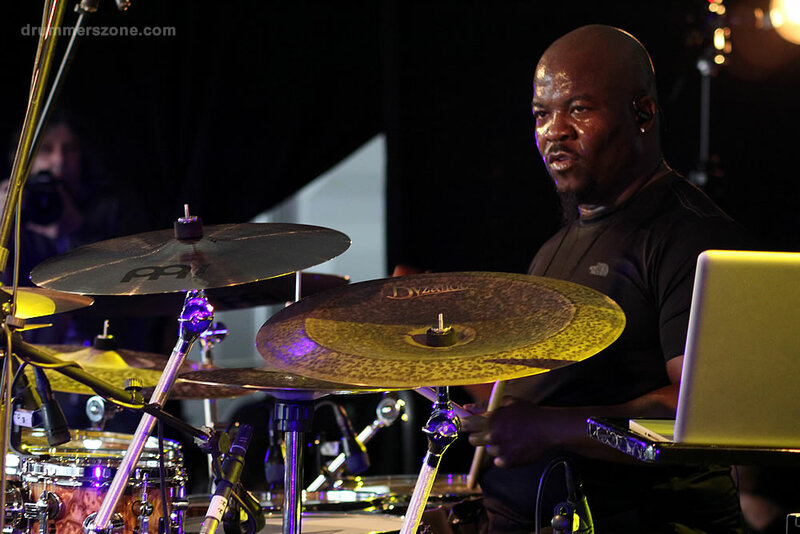 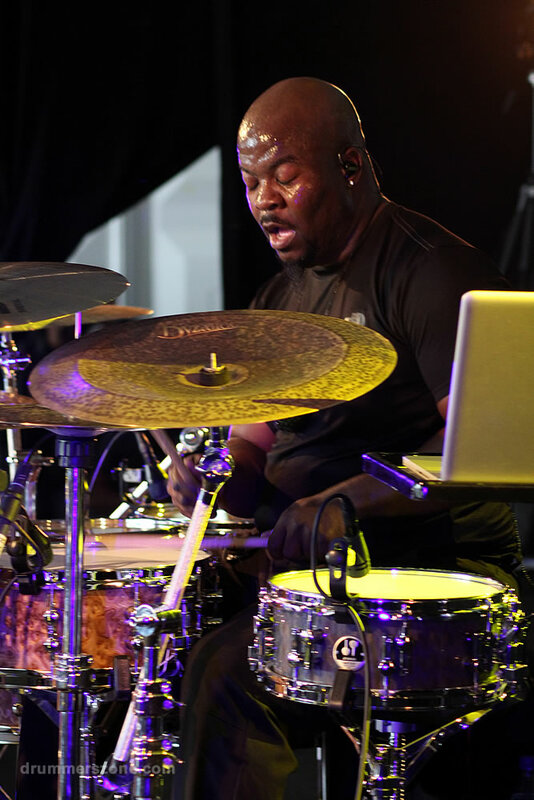 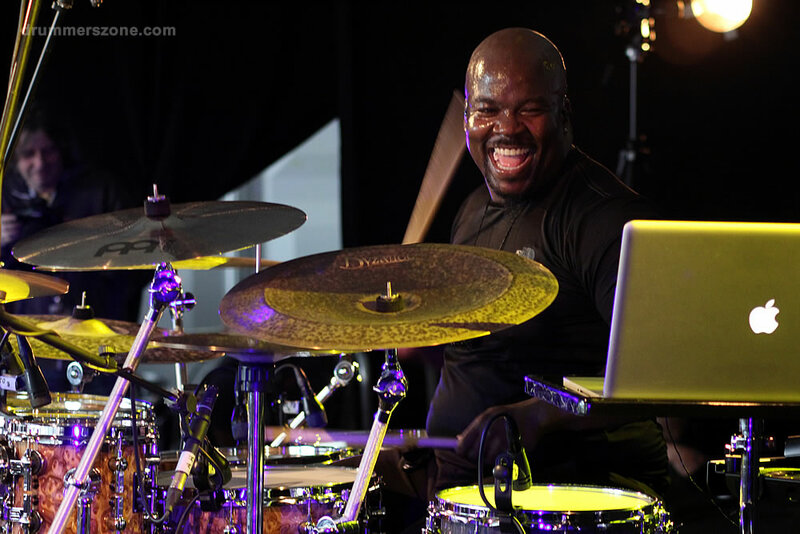 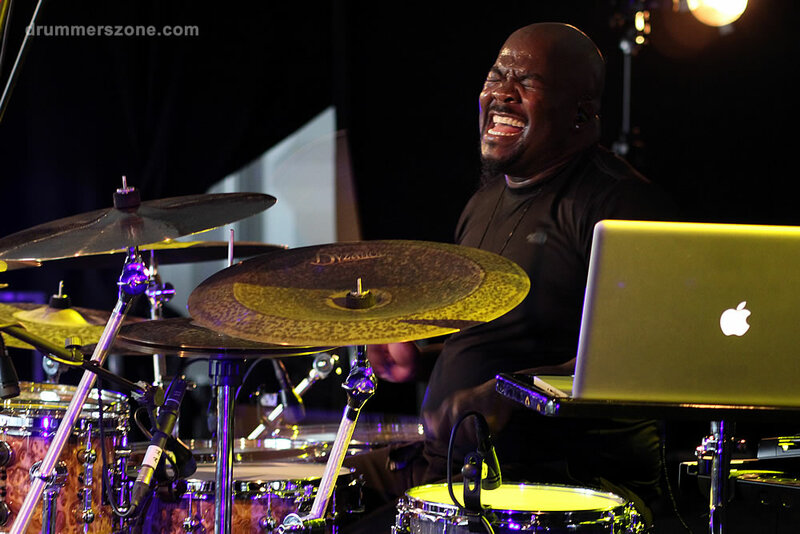 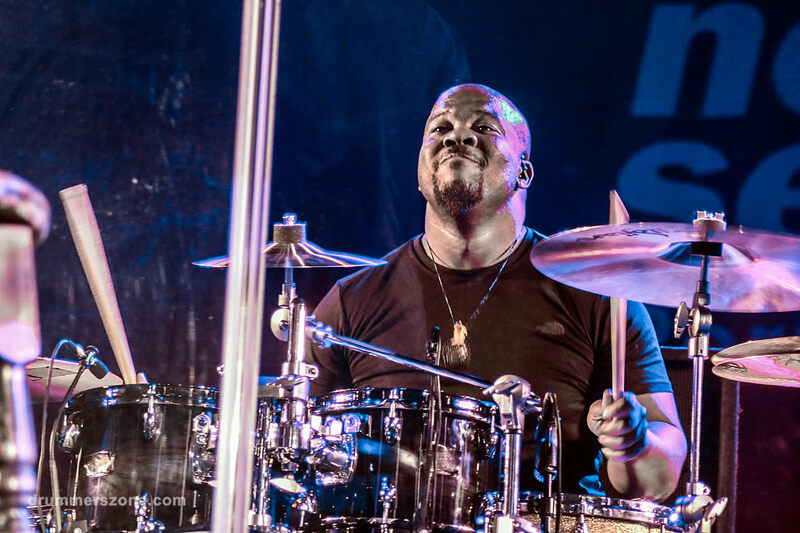 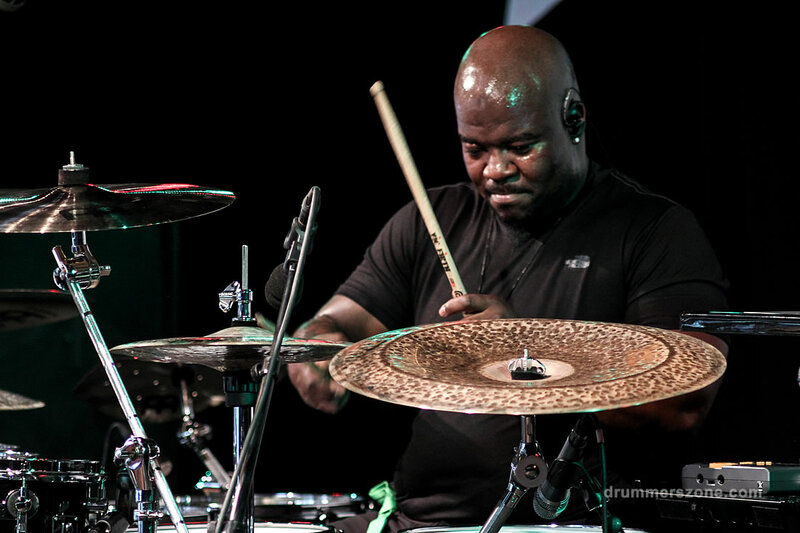 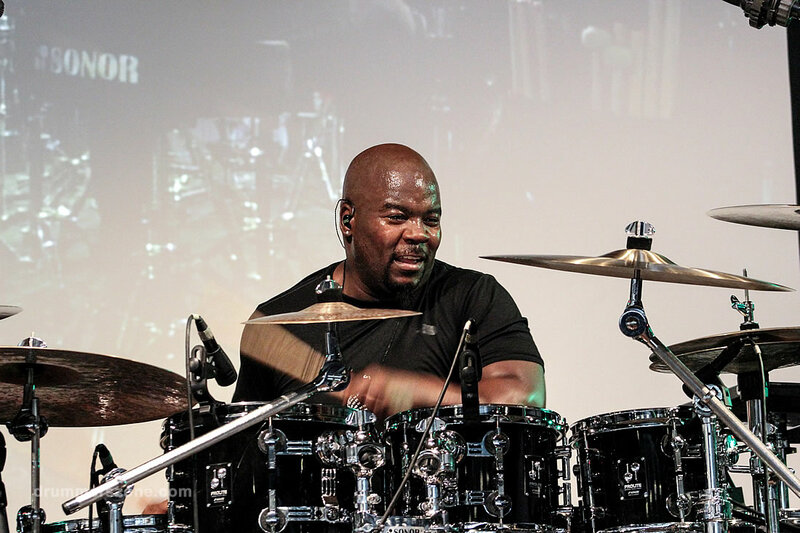 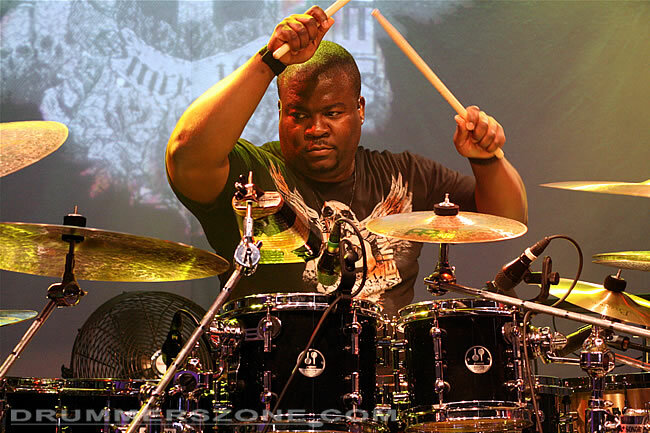 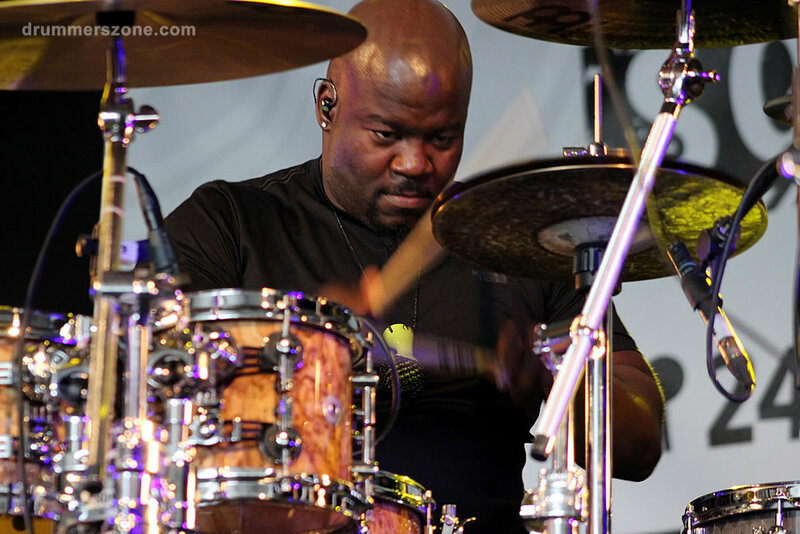 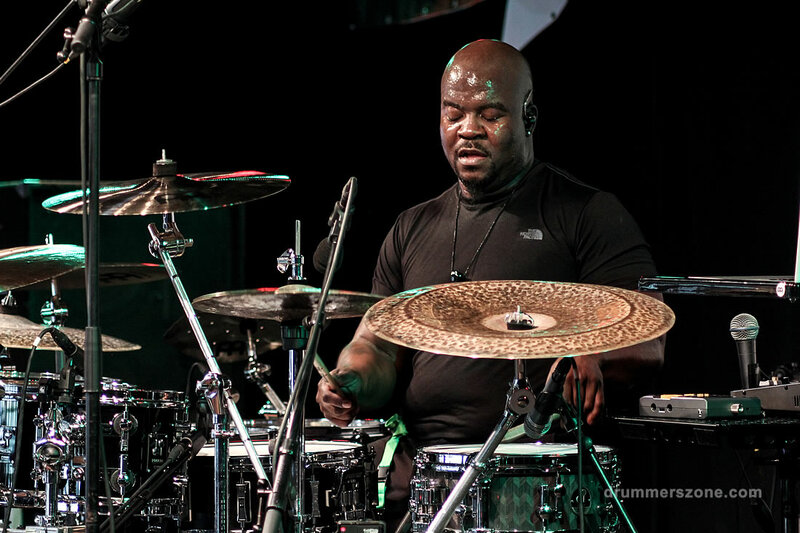 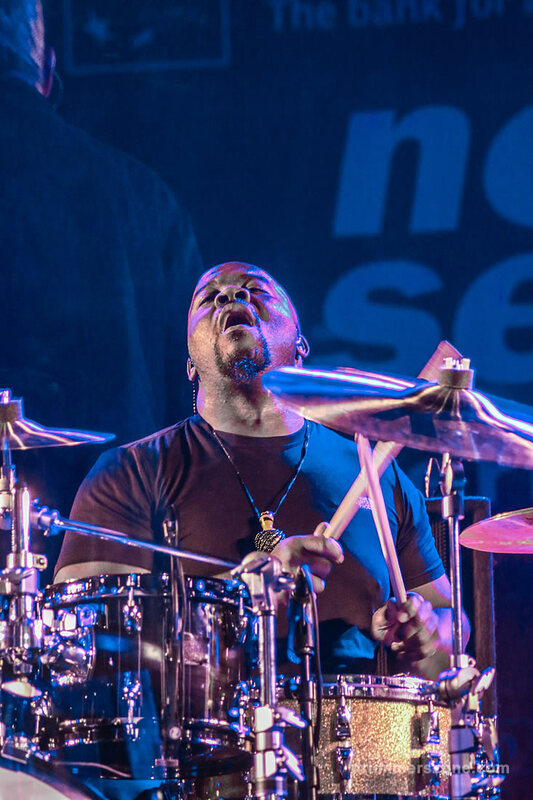 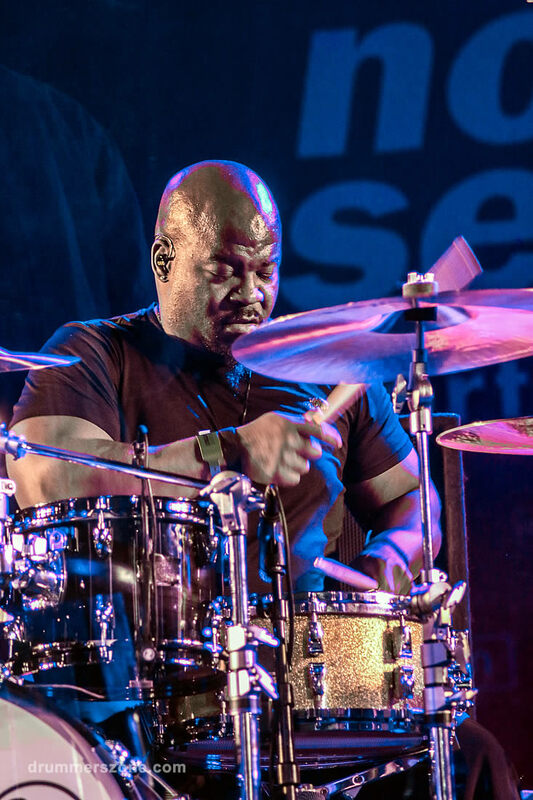 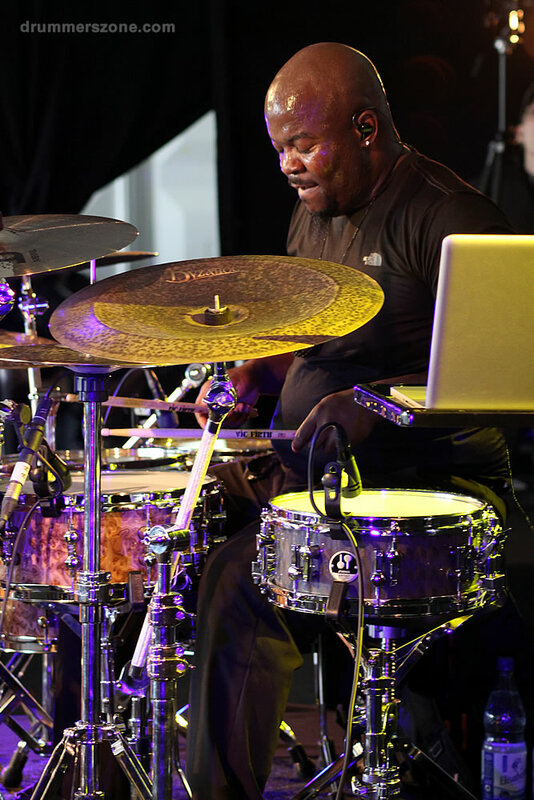 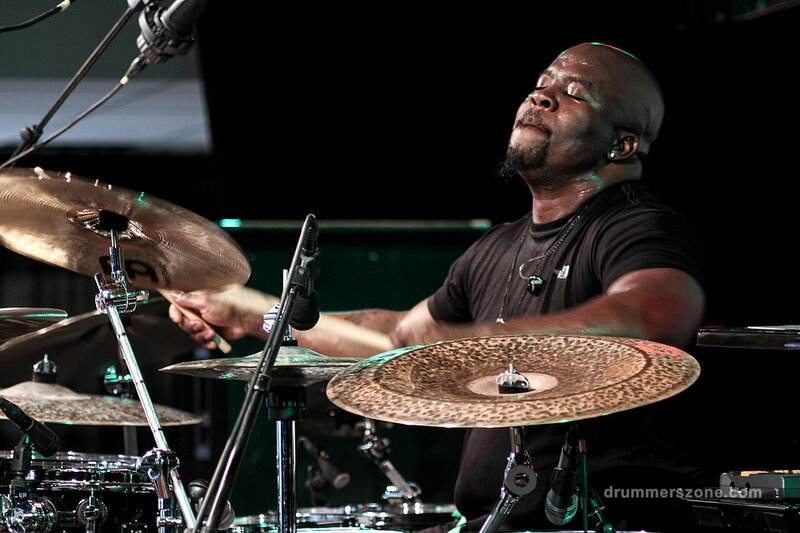 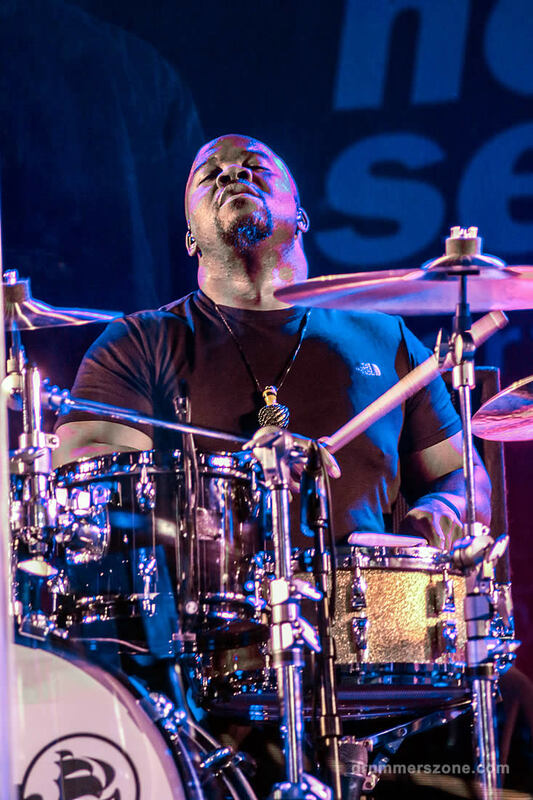 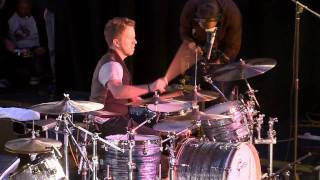 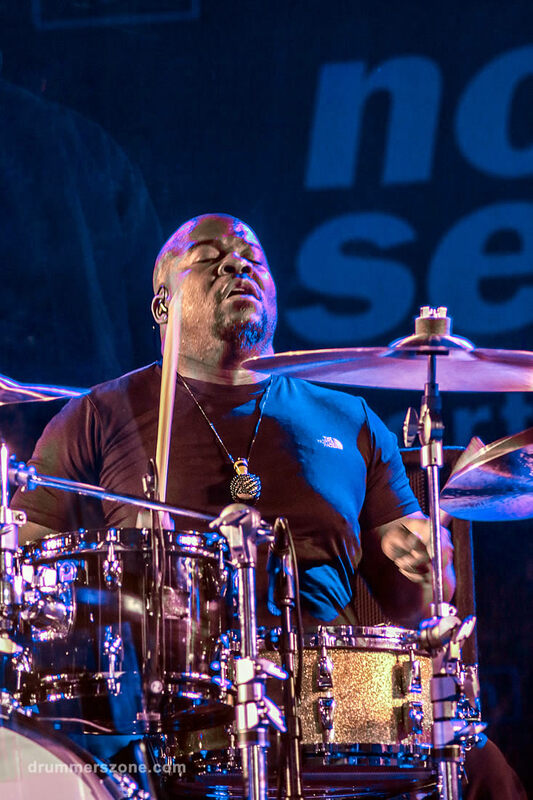 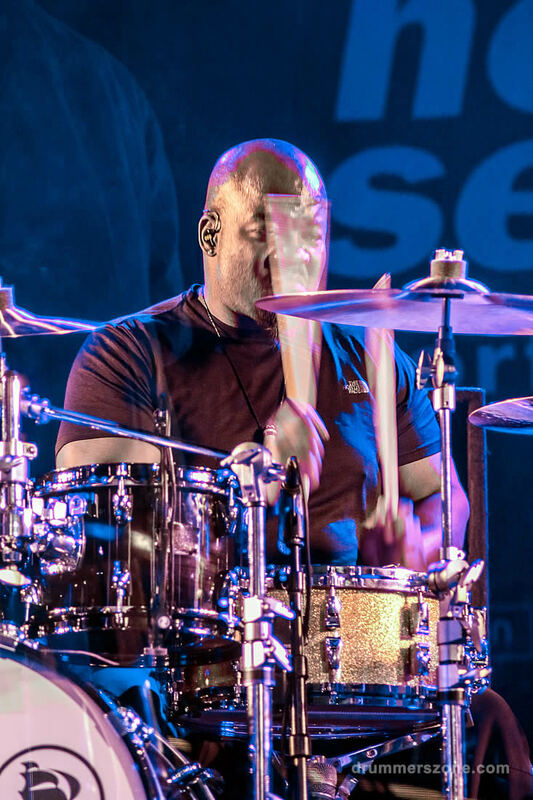 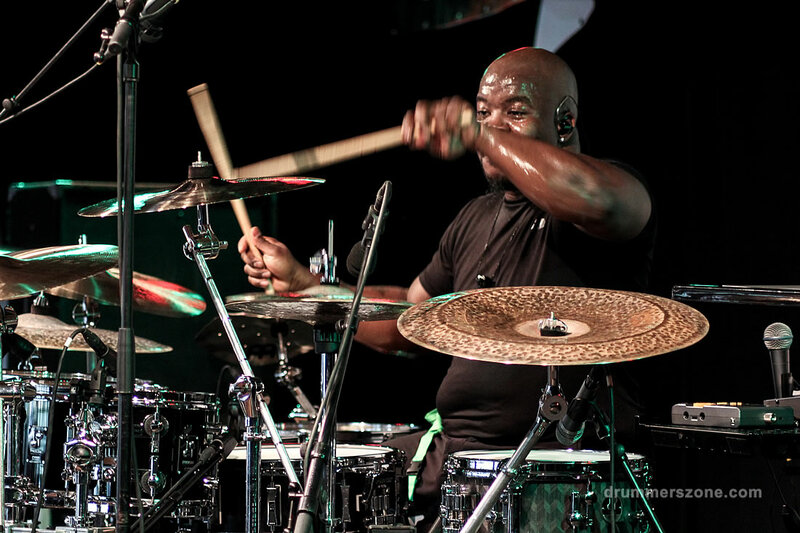 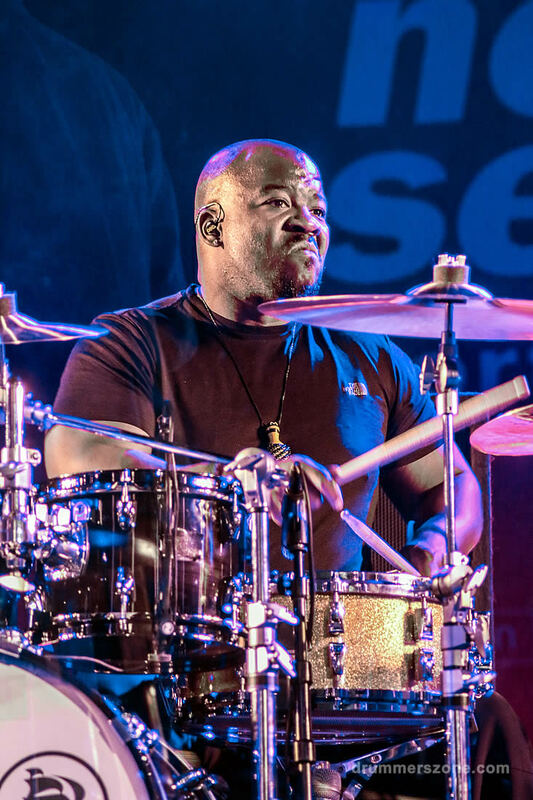 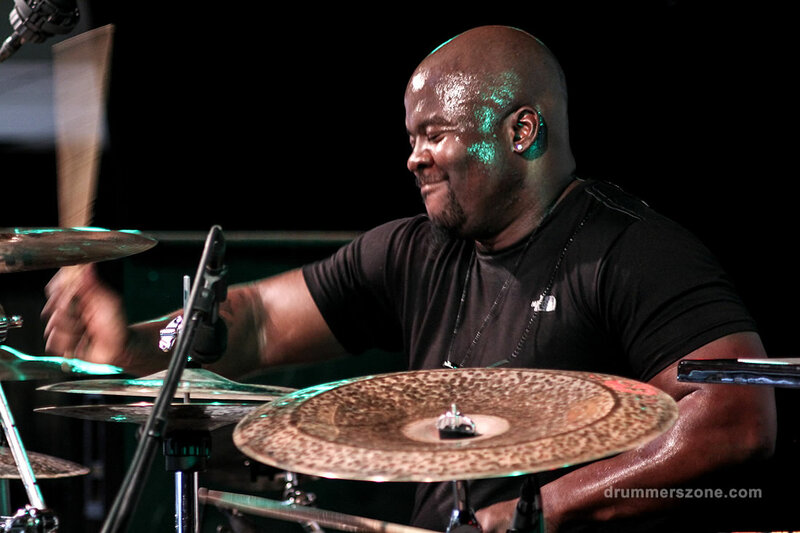 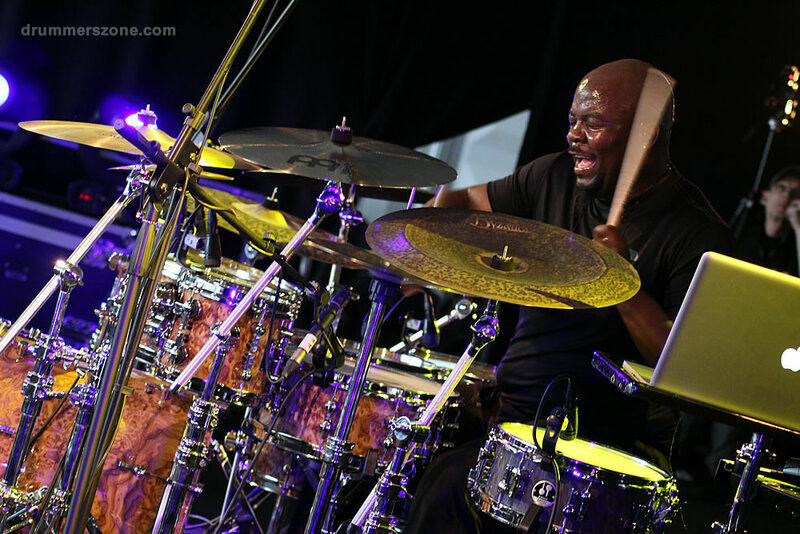 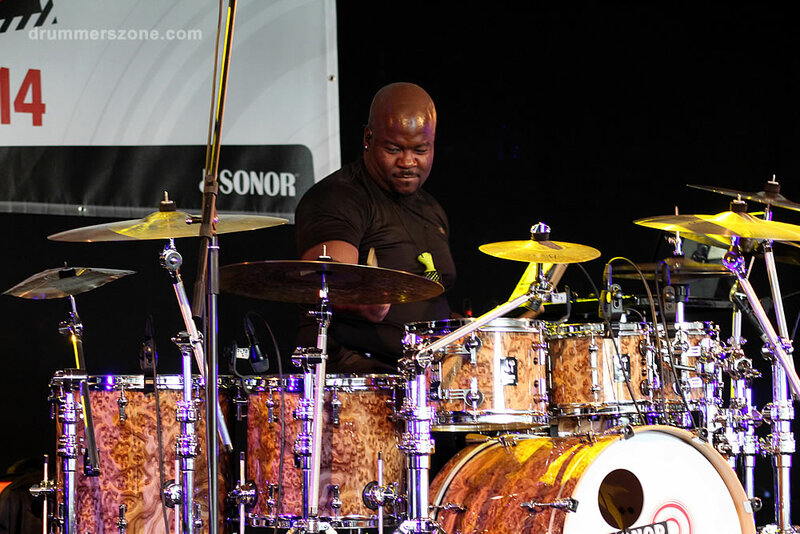 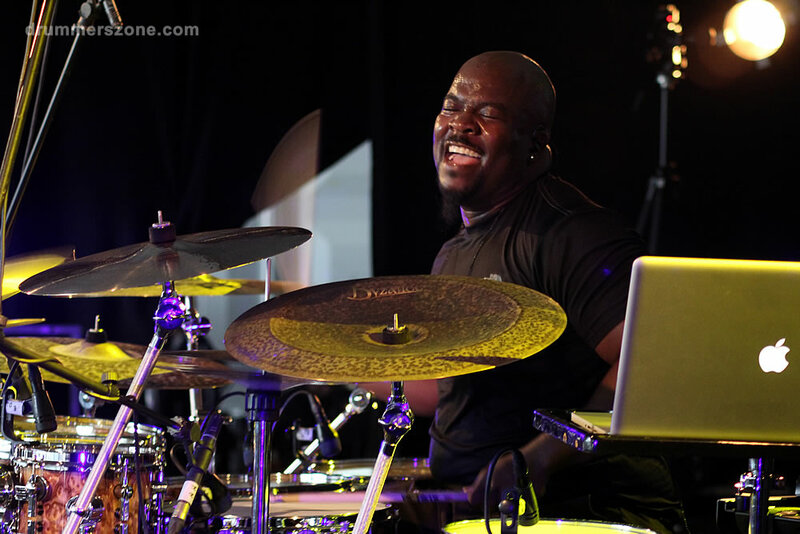 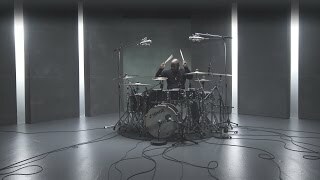 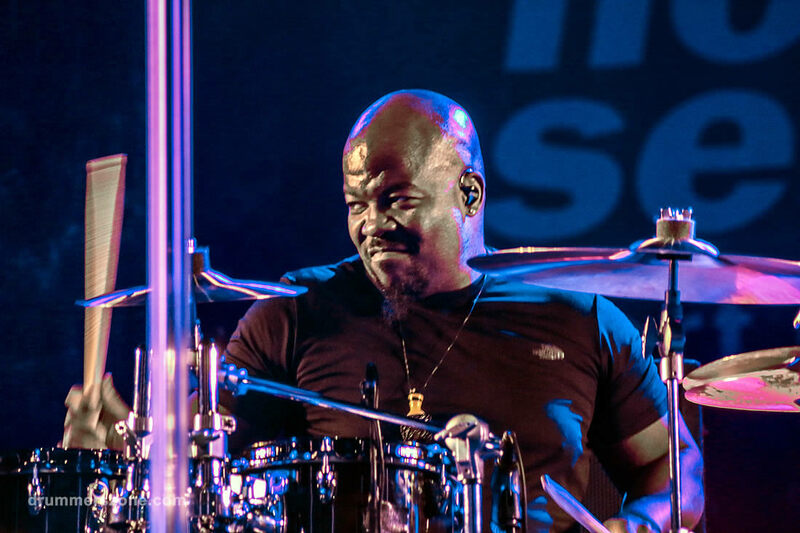 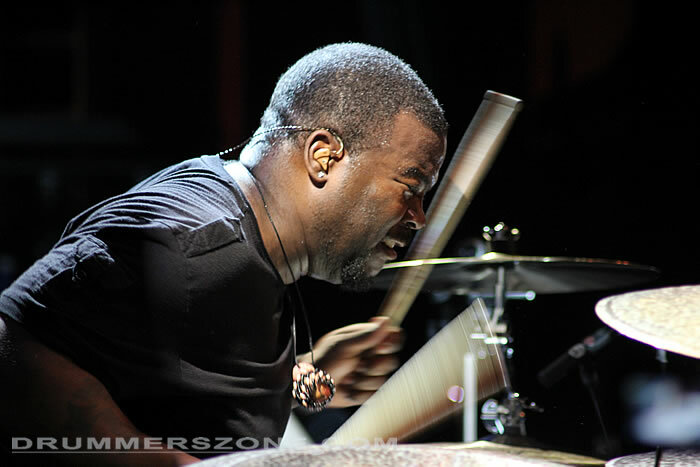 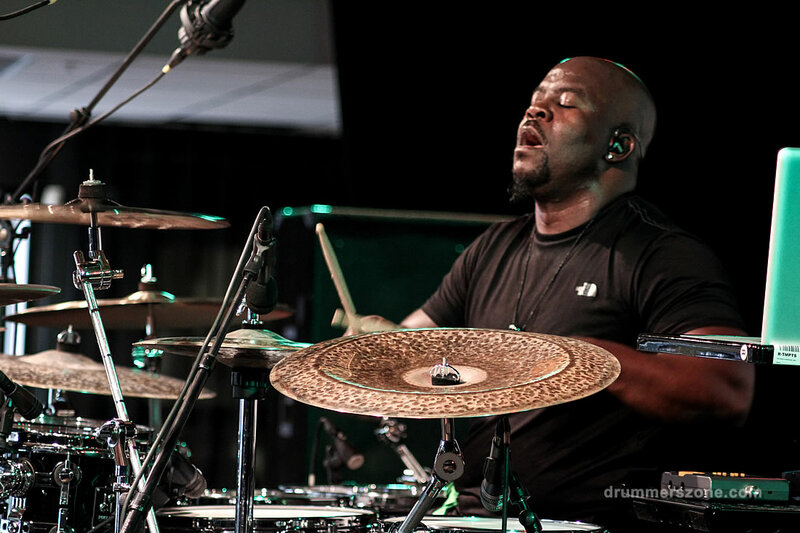 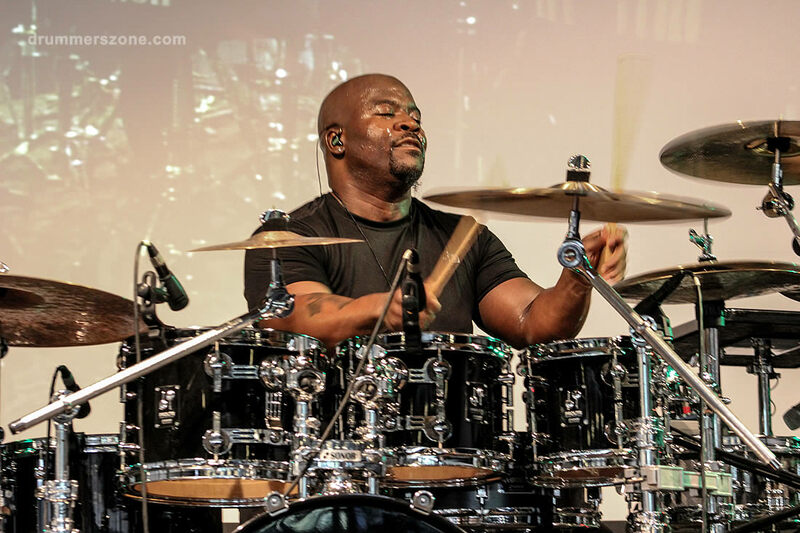 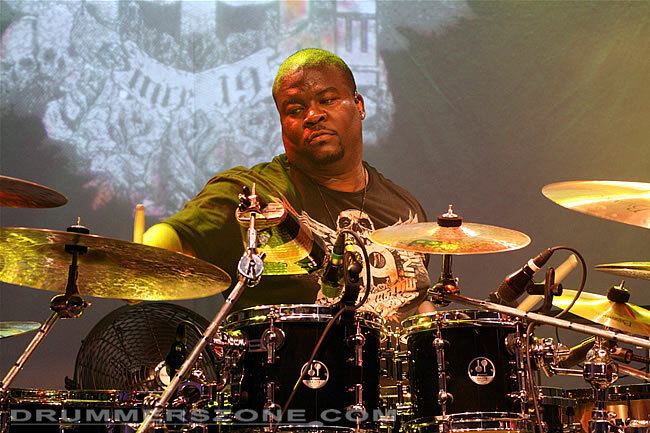 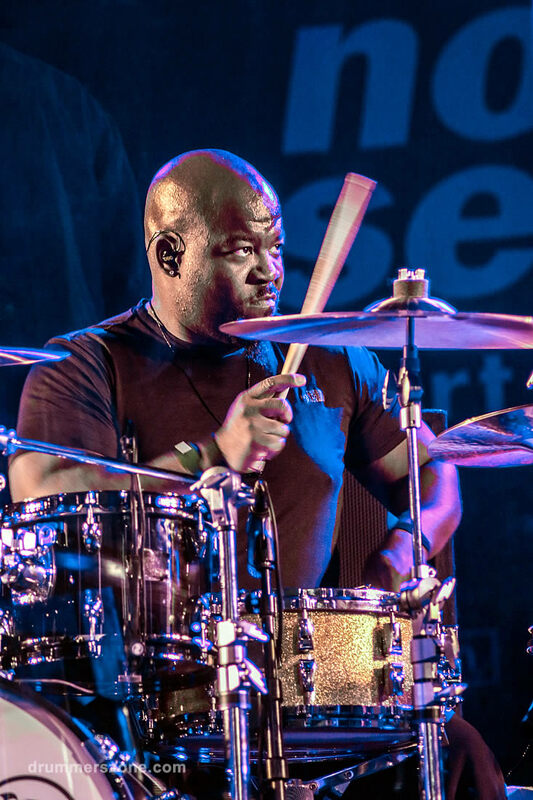 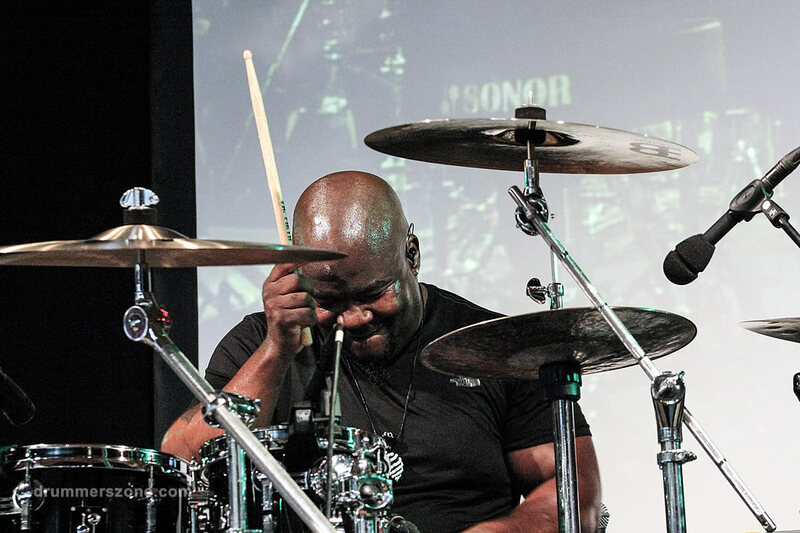 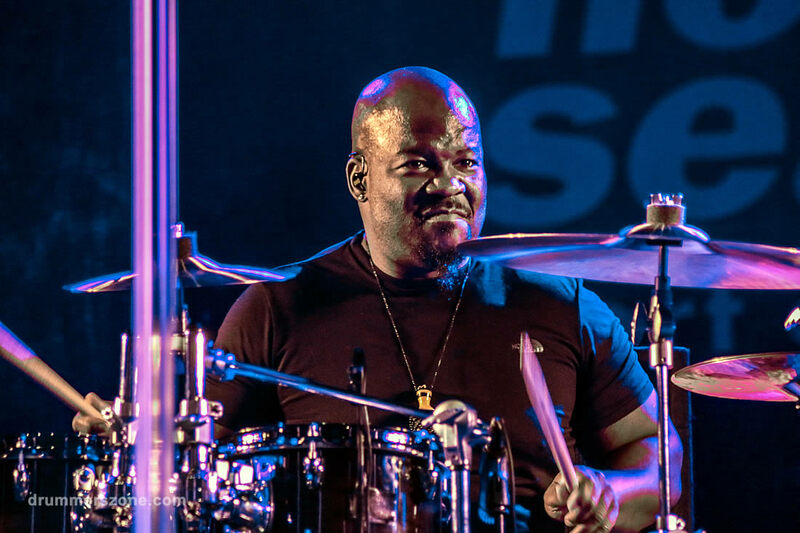 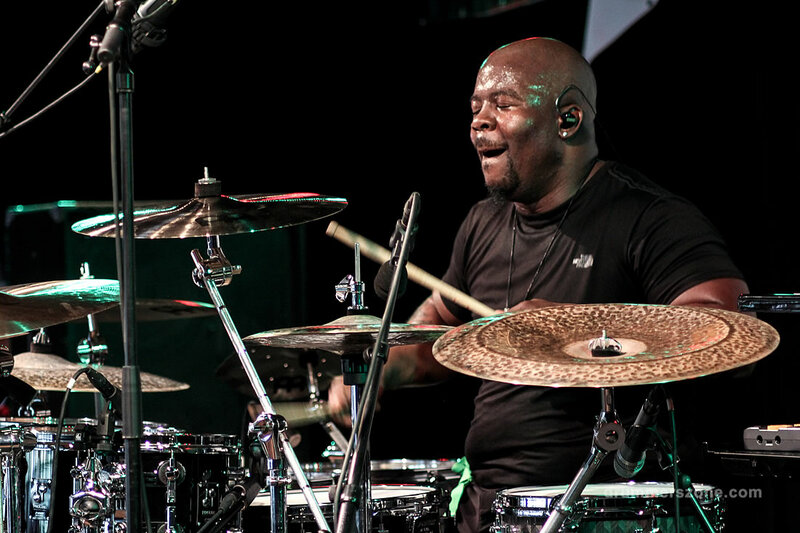 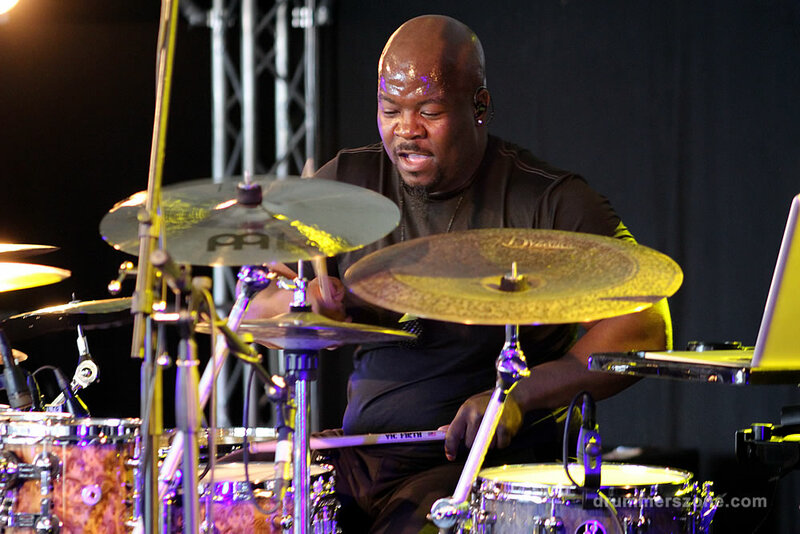 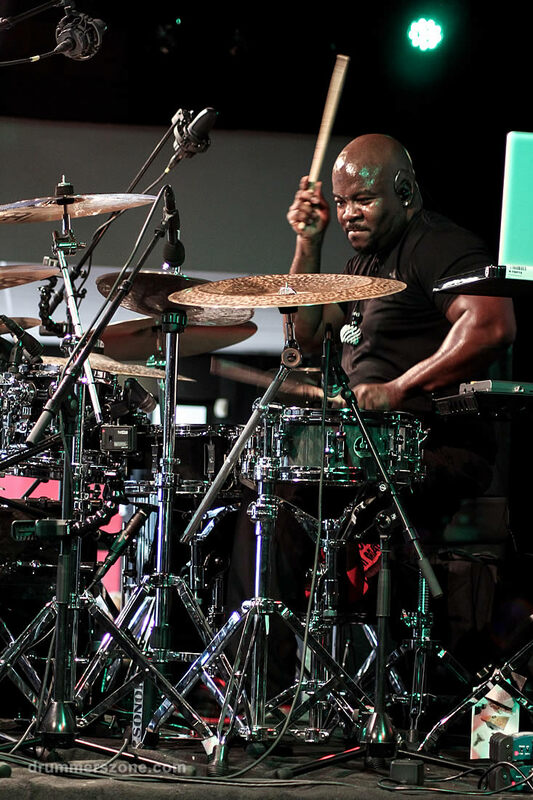 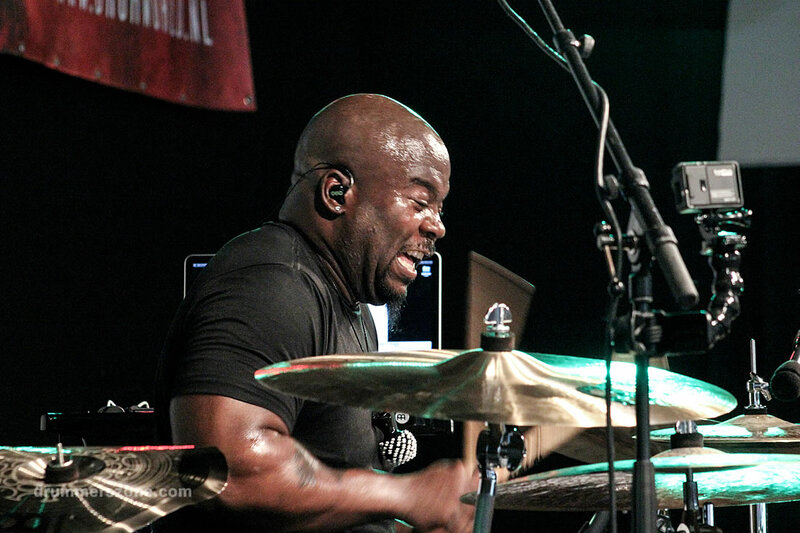 Chris Coleman performing at the Sonor Days 2014 at the Sonor factory in Bad Berleburg, Germany. 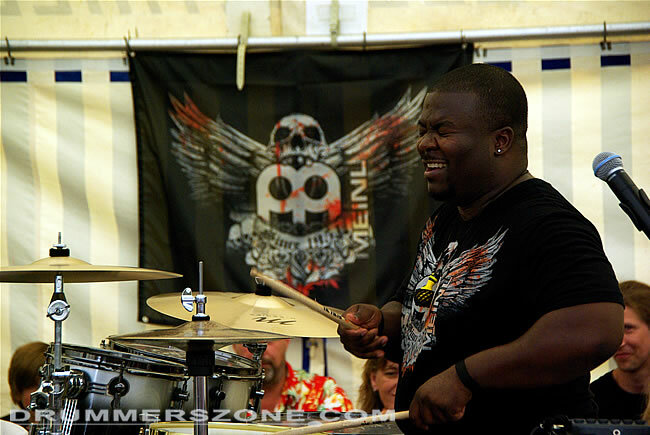 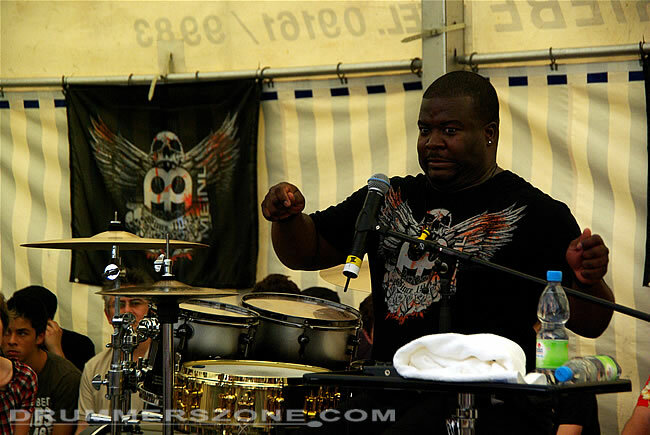 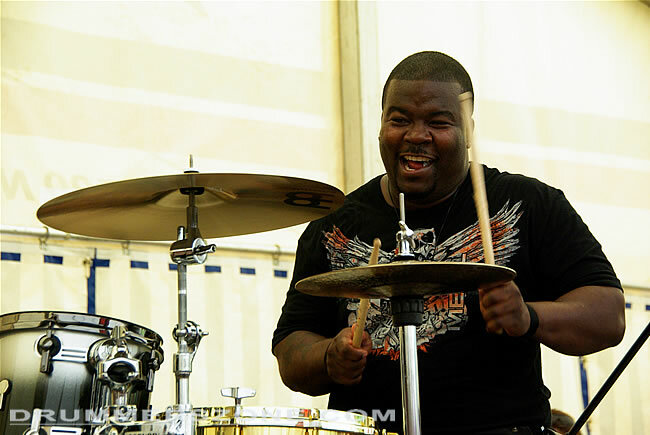 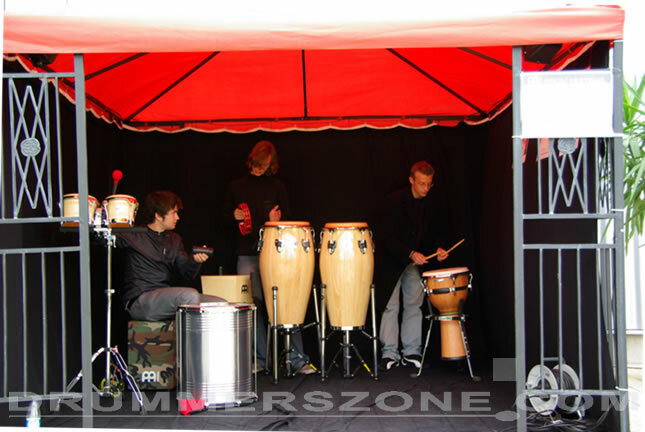 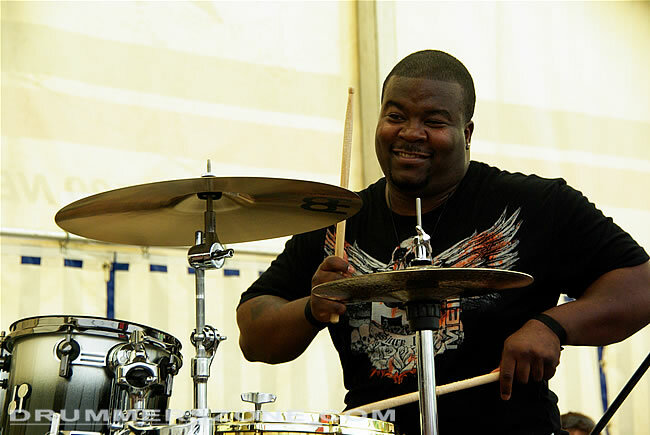 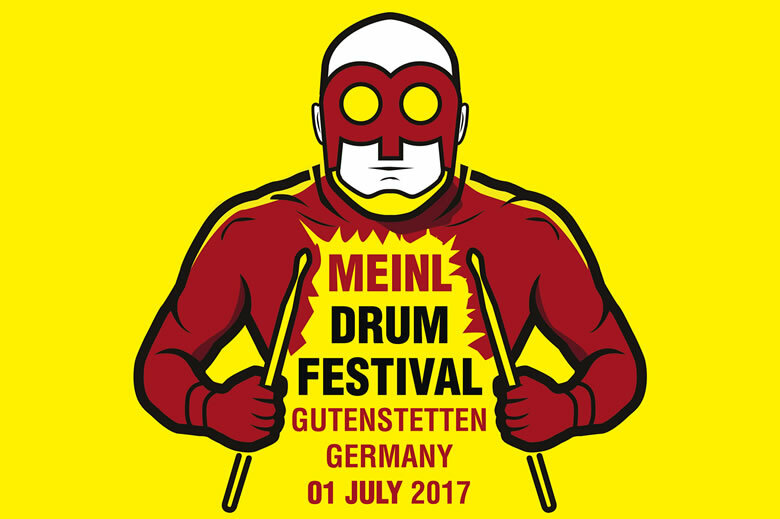 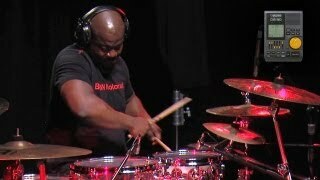 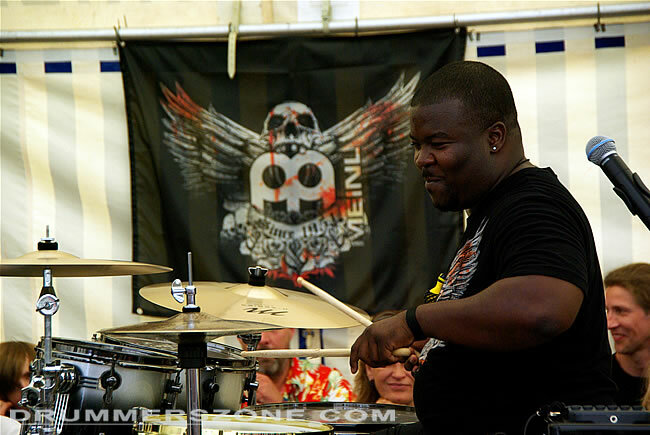 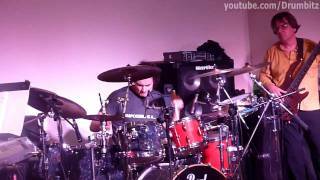 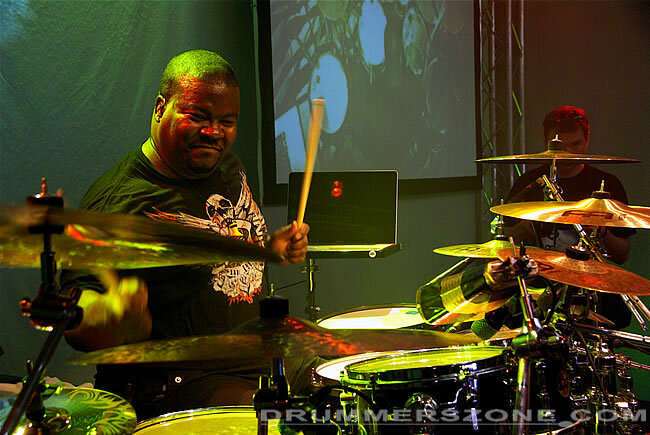 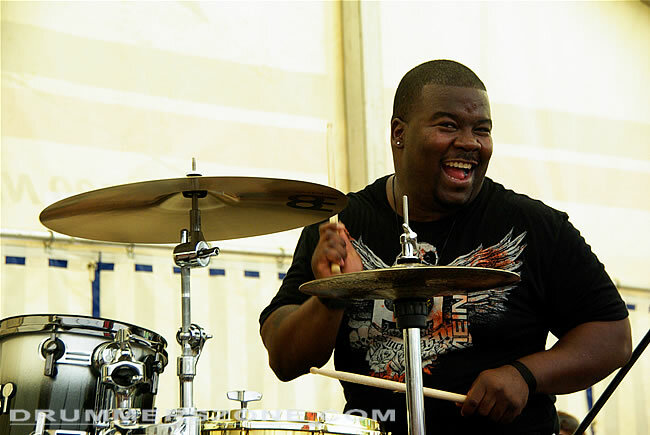 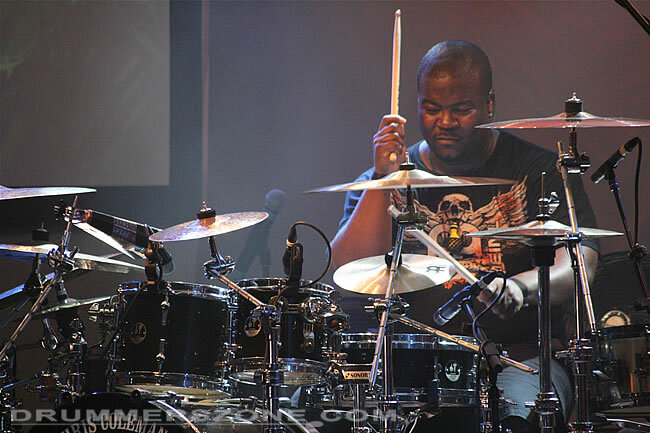 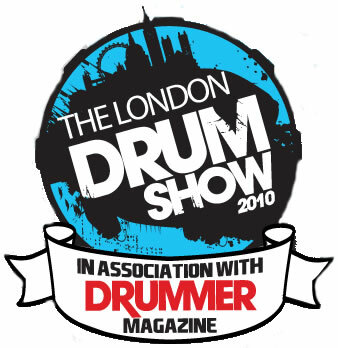 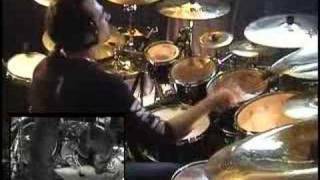 Chris Coleman's clinic at the 2010 edition of the Meinl Drum festival in Gutenstetten, Germany. 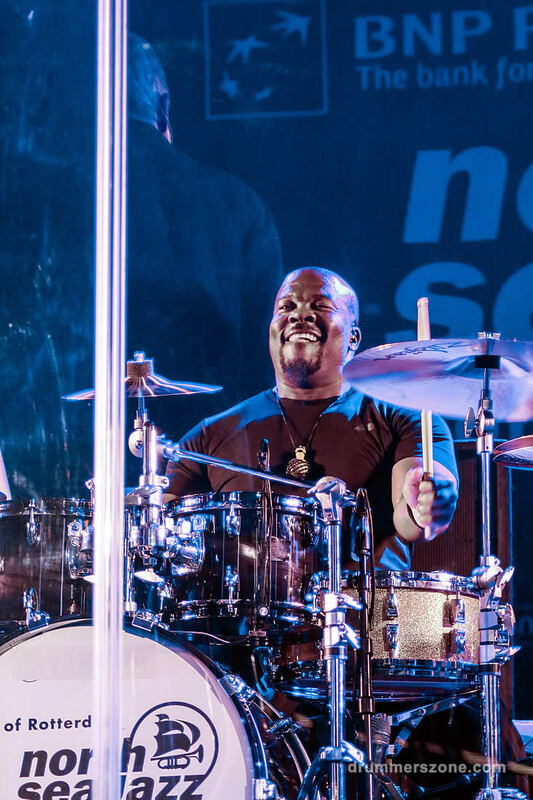 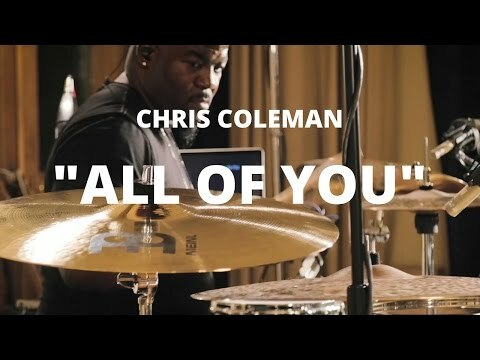 Christopher R. Coleman has been playing drums since the ripe old age of 2, sitting on his uncle's knee in Church. 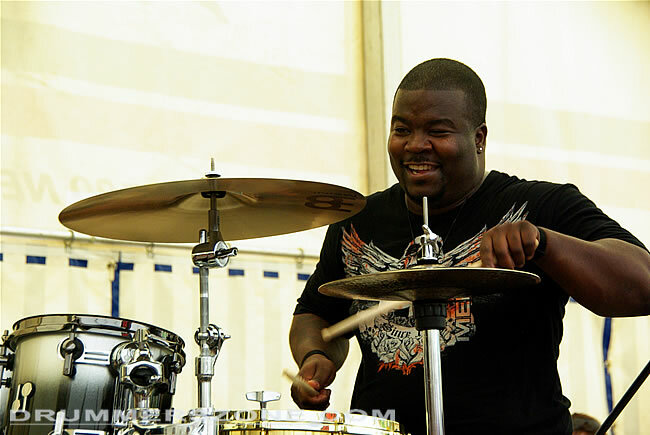 He traveled with his father & uncles who performed together in a gospel ensemble. 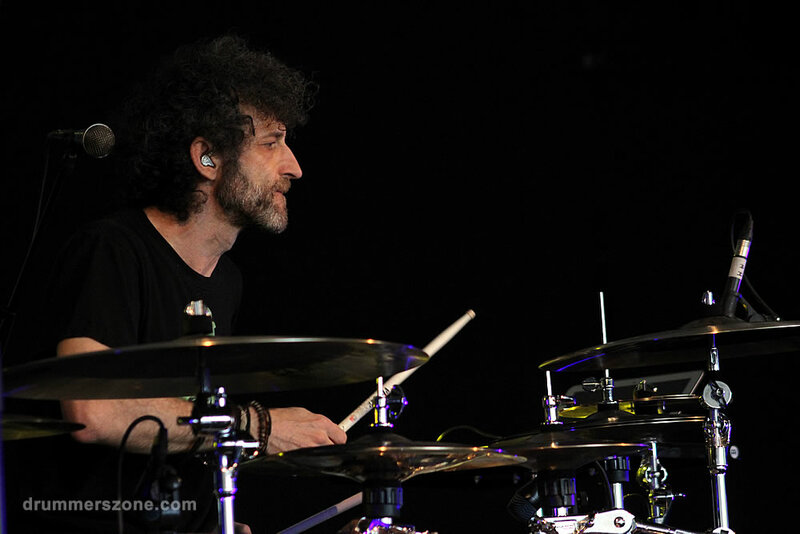 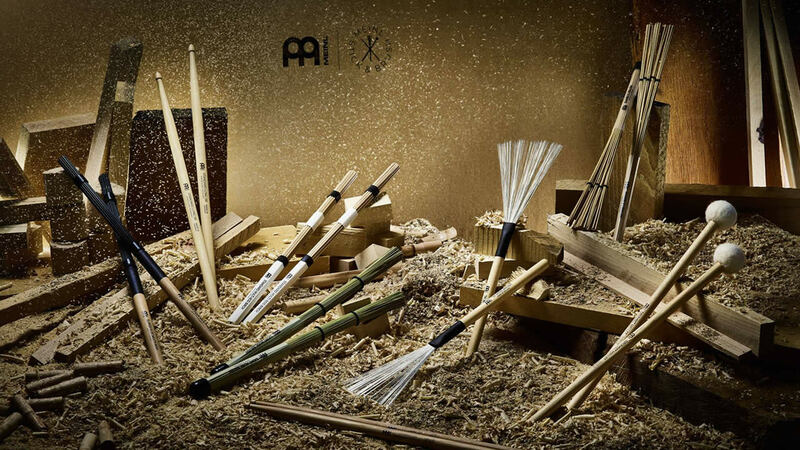 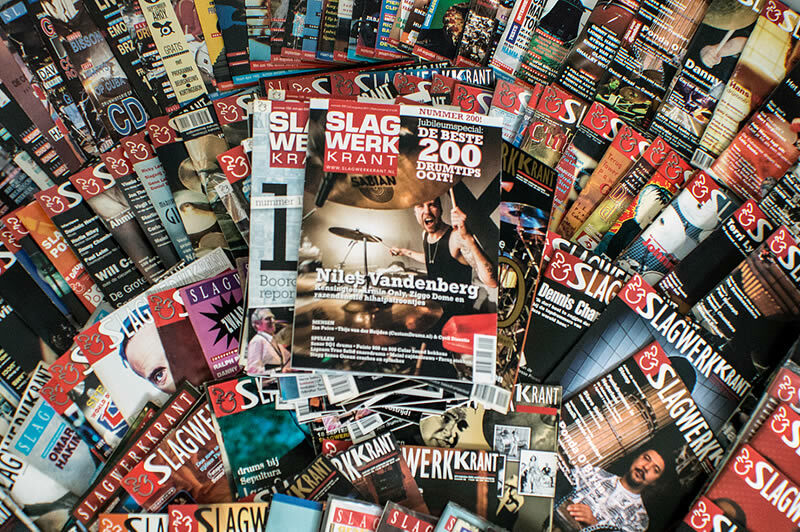 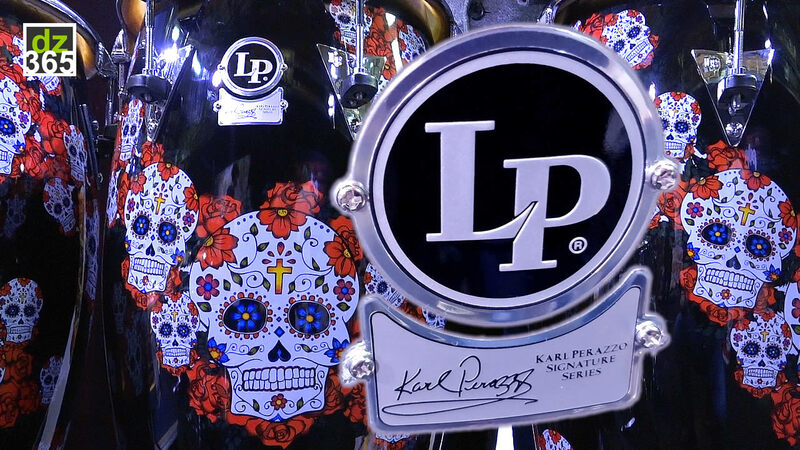 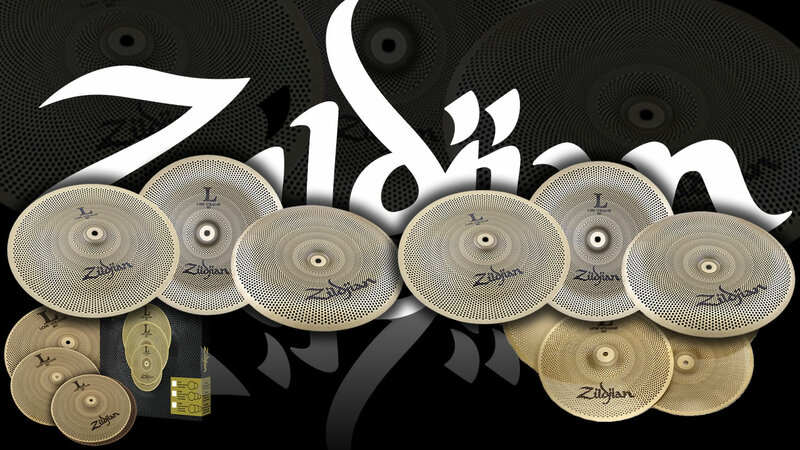 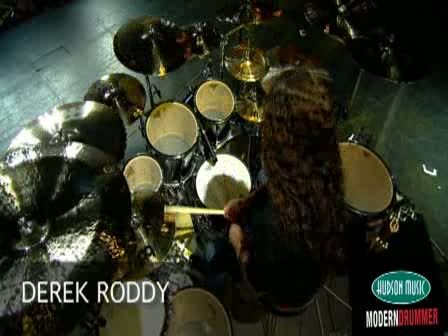 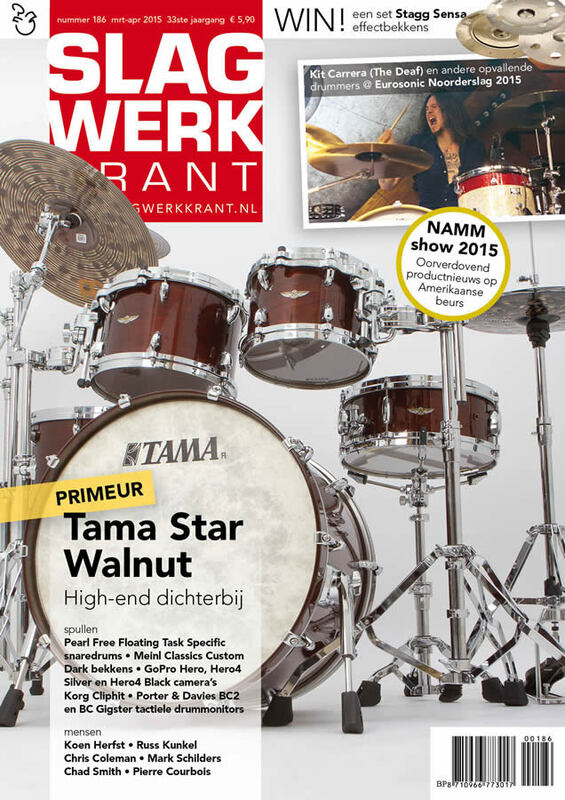 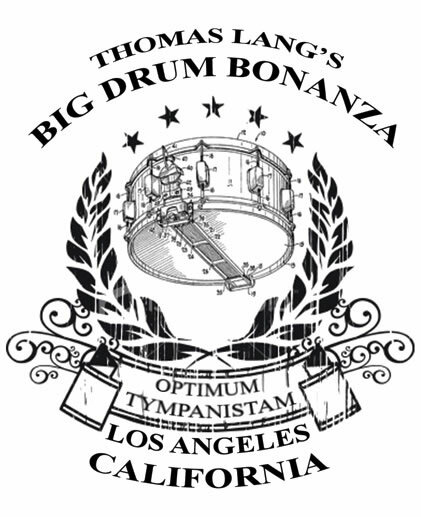 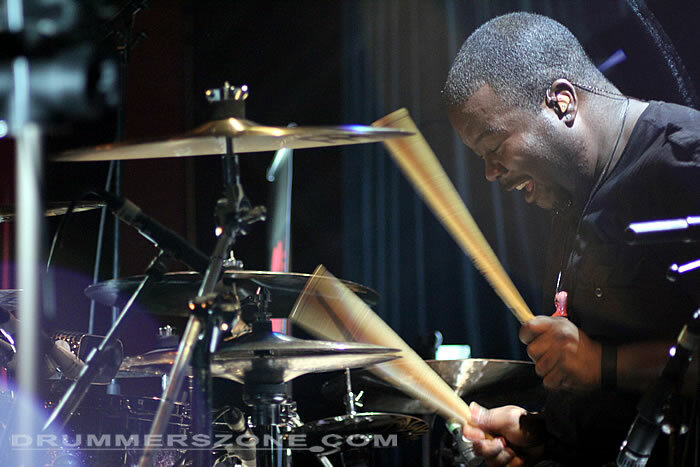 In his youth he practiced relentlessly with the aim of making it big as a drummer. 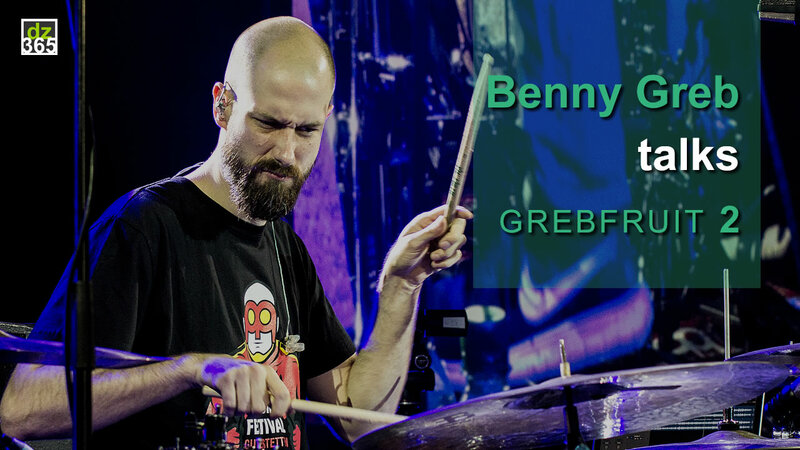 In Junior high school, he earned numerous awards in band competitions, including 1st place for instrumental soloist (3) years running. 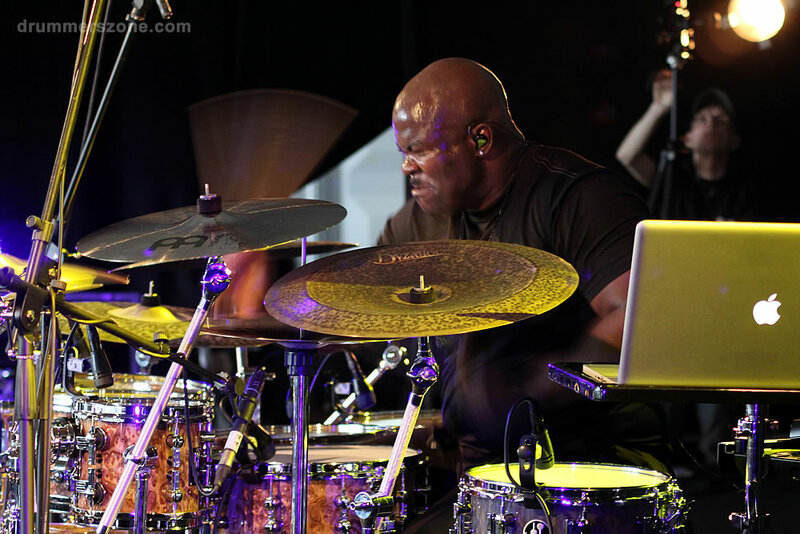 He also took Top honors in his hometown "Music Appreciation Awards" at the age of 14, & began performing with several gospel groups/artist including (Marvin Winans, Edwin Hawkins, & Vanessa Bell Armstrong) as well as traveling with (5) jazz/variety/show bands. 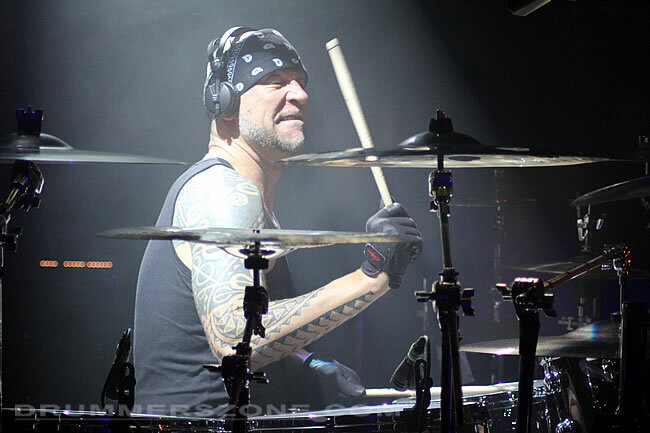 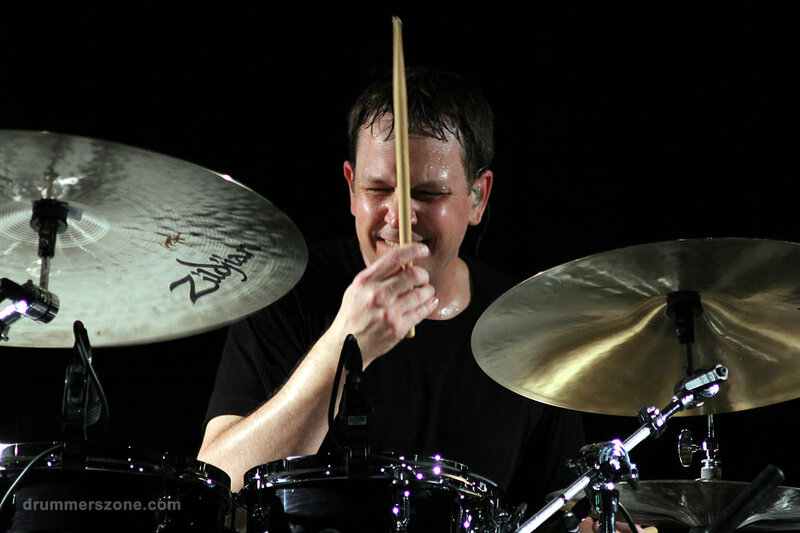 In 1999, Chris graduated with honors from the Drummer's Collective. 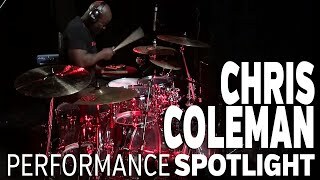 He was offered a scholarship to Berklee School of Music, was accepted into Manhattan School of Music, & received a recommendation from Ed Soph to attend North Texas State. 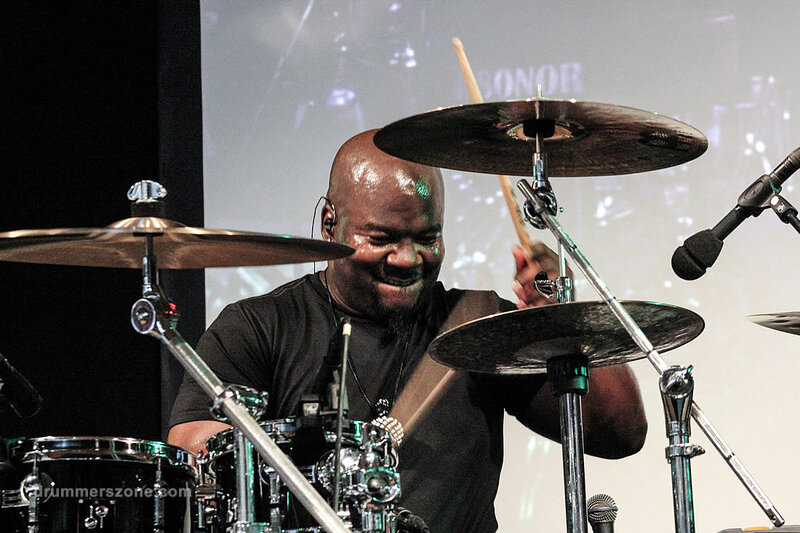 He opted instead to return to his hometown of Saginaw MI, to start full-time ministry & CrC Global LLC. 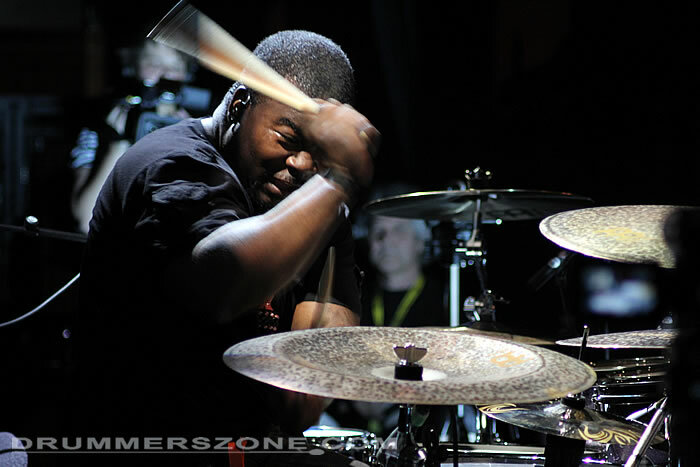 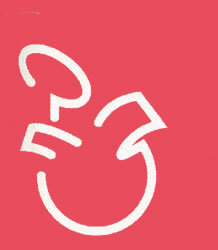 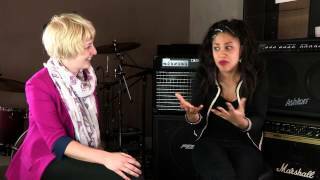 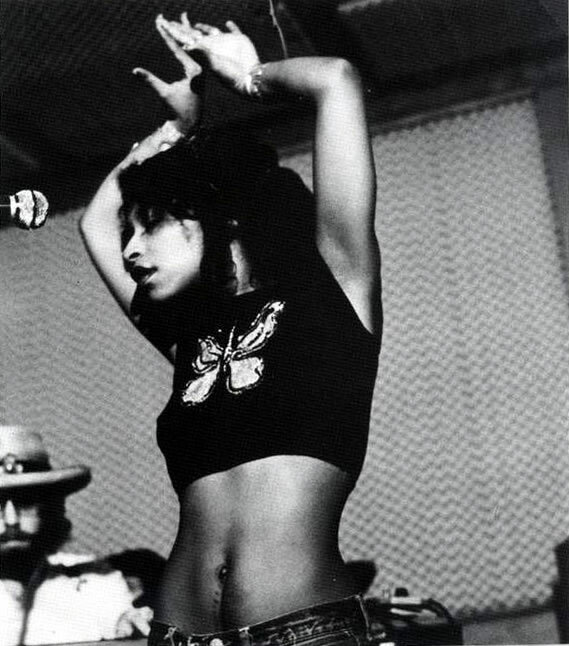 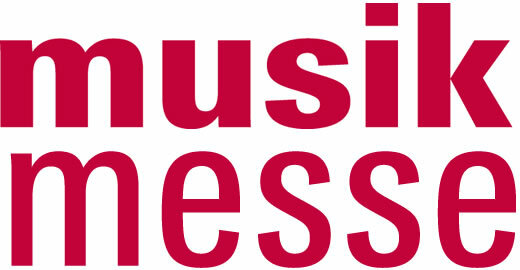 He moved briefly to Cleveland Ohio, to join the instructional staff at Christian Music Academy. 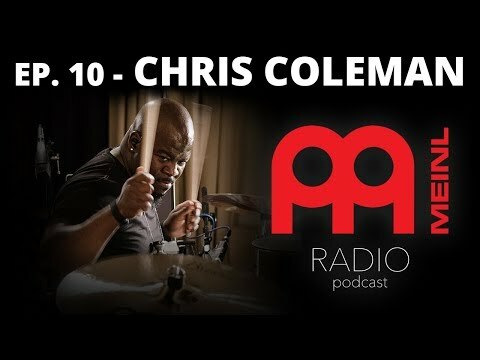 December 8, 2001, Chris was honored to win 1st place in the National Drum Competition sponsored by Guitar Center, which hosted 30,000+ drummers, Nation-wide. 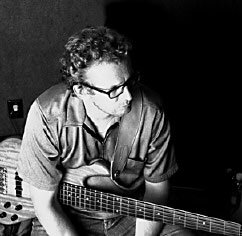 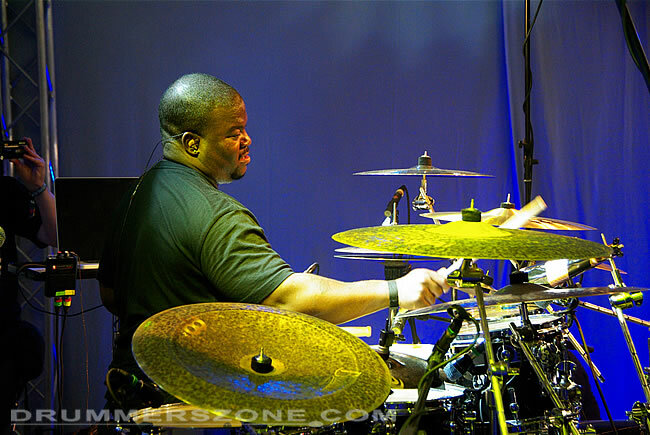 In 2002, he then moved to Atlanta GA, to study Bass guitar at A.I.M. 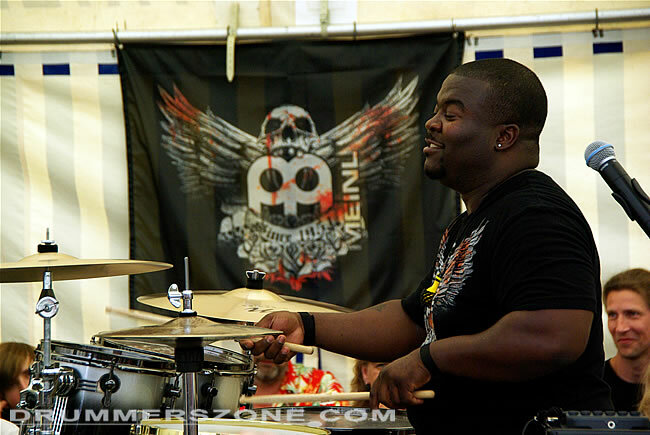 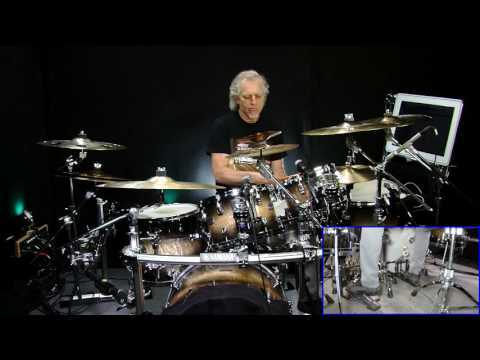 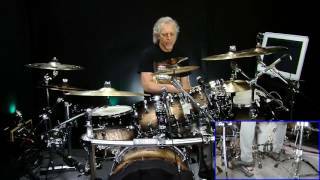 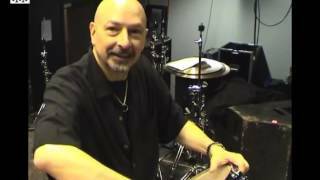 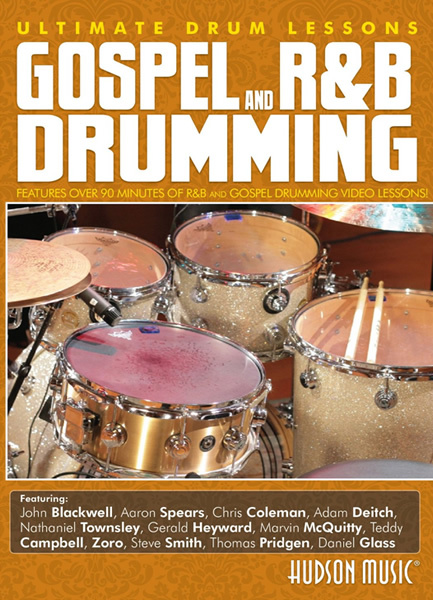 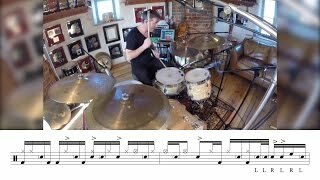 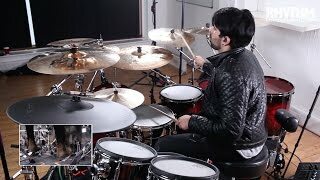 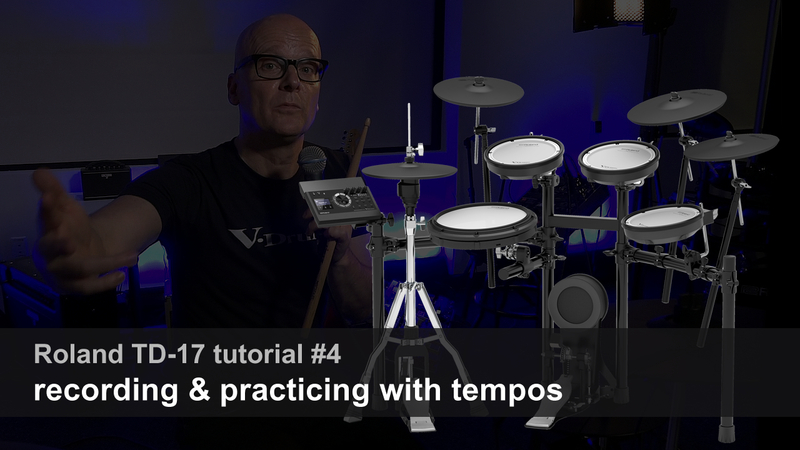 where he was pleased to accept a position teaching drums. 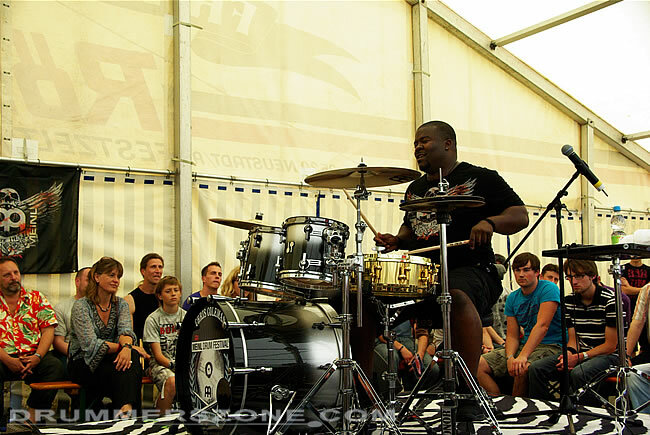 In addition to his teaching, Chris kept a busy schedule touring. 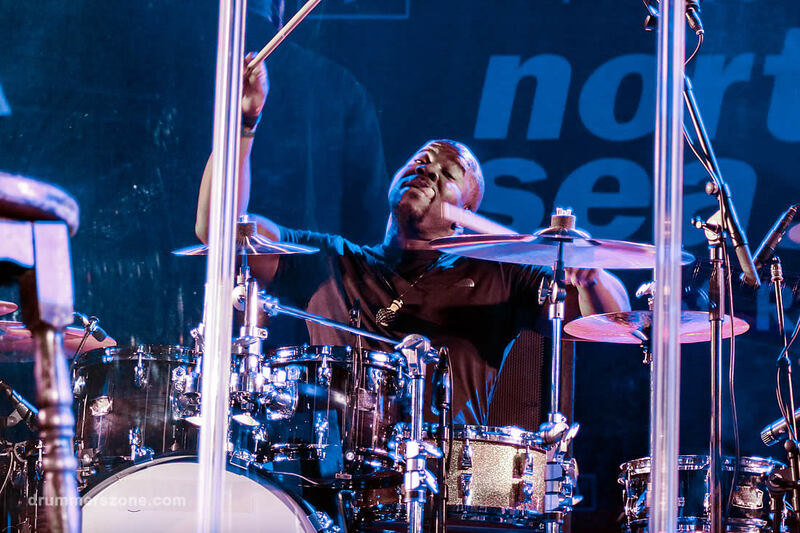 He toured with "Pastor Creflo A. 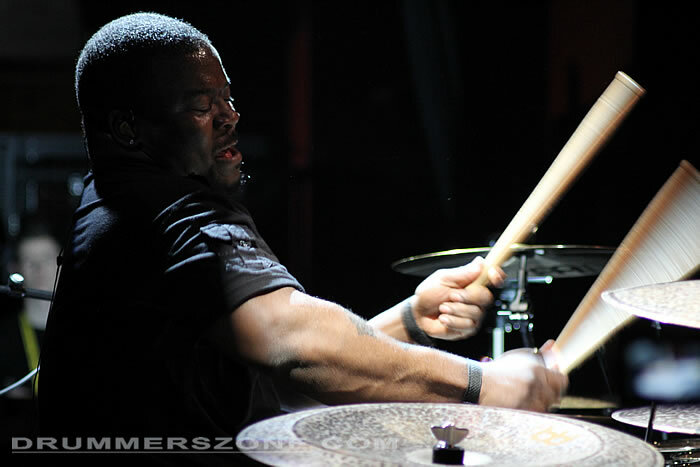 Dollar" & Phil Driscol. 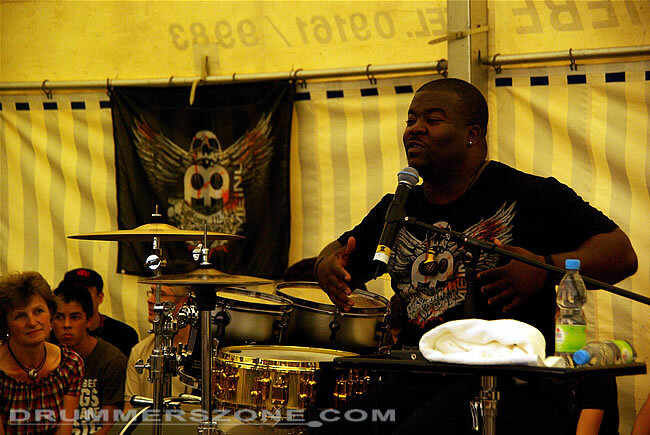 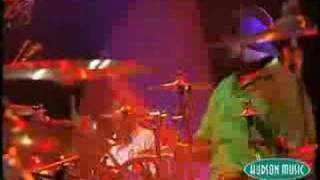 September 2003-04, Chris toured with Praise & Worship band "Israel and New Breed. 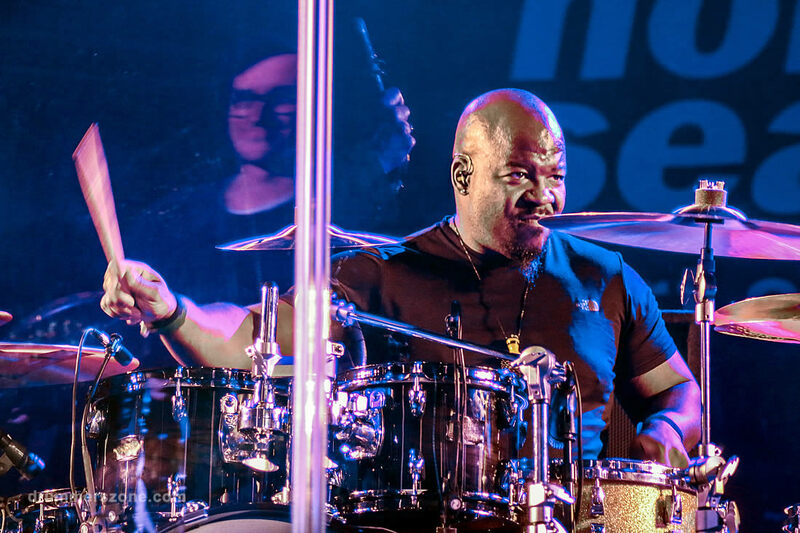 Ever on the move, Israel & New Breed had a #1 Billboard hits with "Again I Say Rejoice" & "I am a Friend of God"... 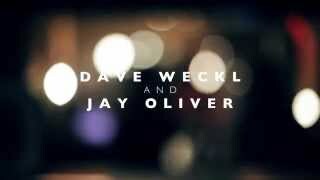 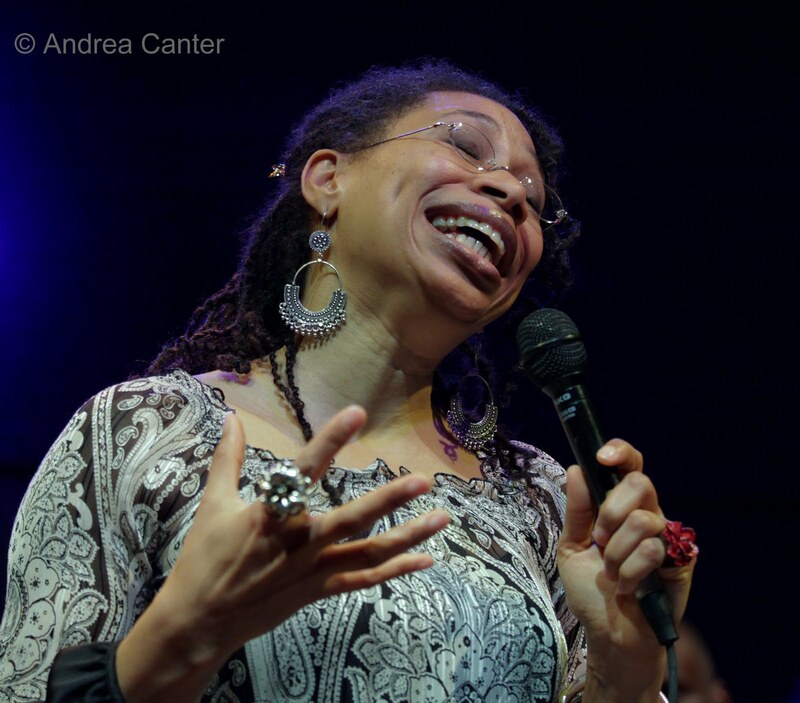 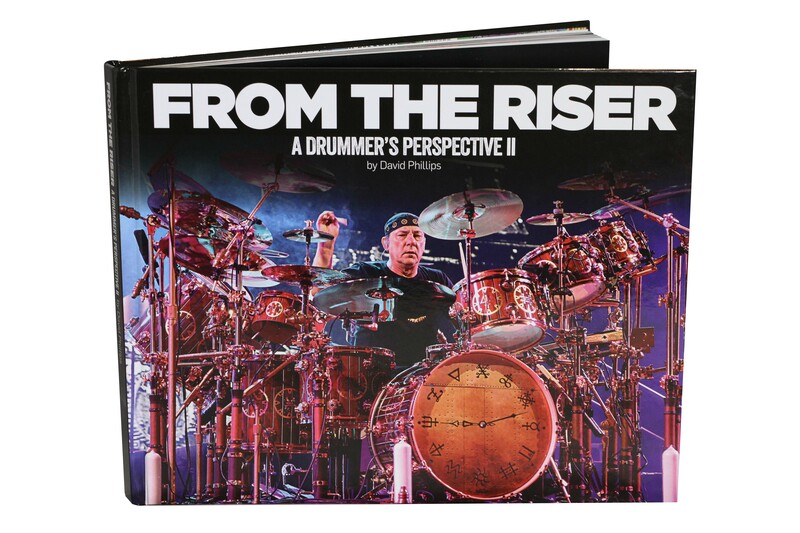 The Live DVD from that recording was a HUGE success also. 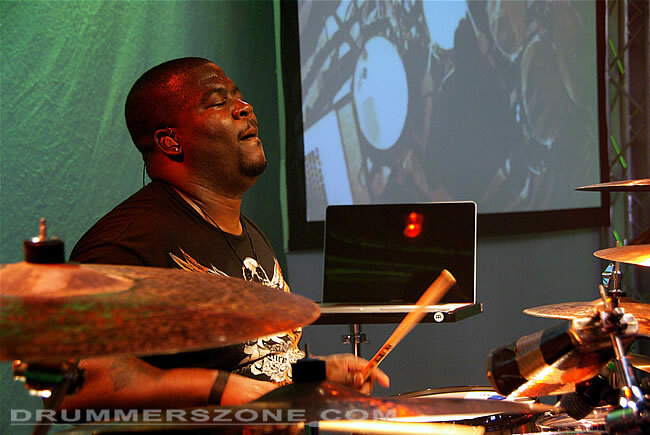 Christopher R. Coleman has been playing drums since the ripe old age of 2, sitting on his Uncle's knee in church. 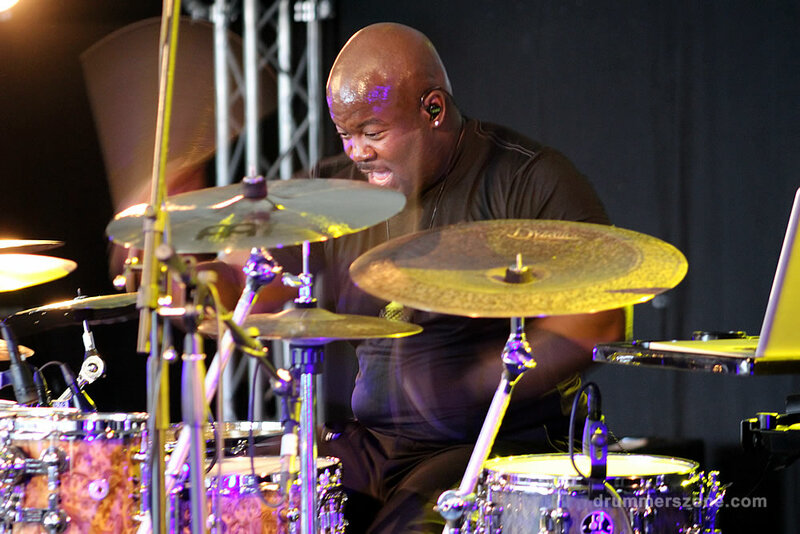 He traveled with his father and uncles who performed together in a gospel ensemble. 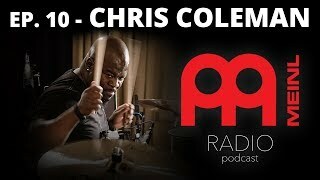 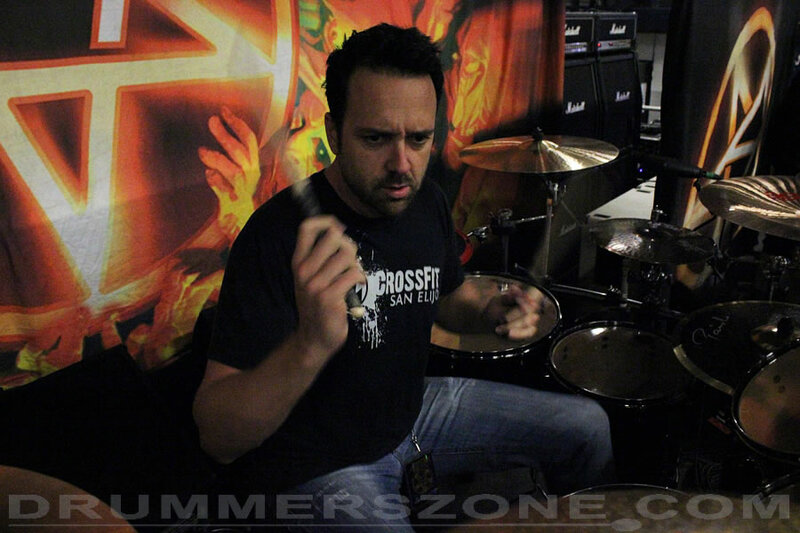 In his youth Chris Coleman practiced relentlessly with the aim of making it big as a drummer. 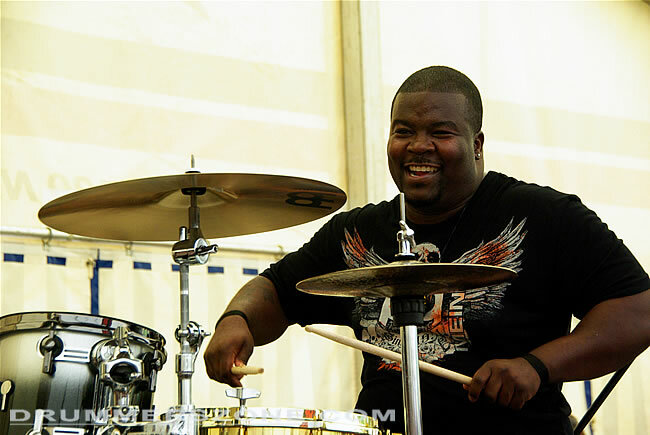 In Junior high school he earned numerous awards in band competitions, including 1st place for instrumental soloist three years running. 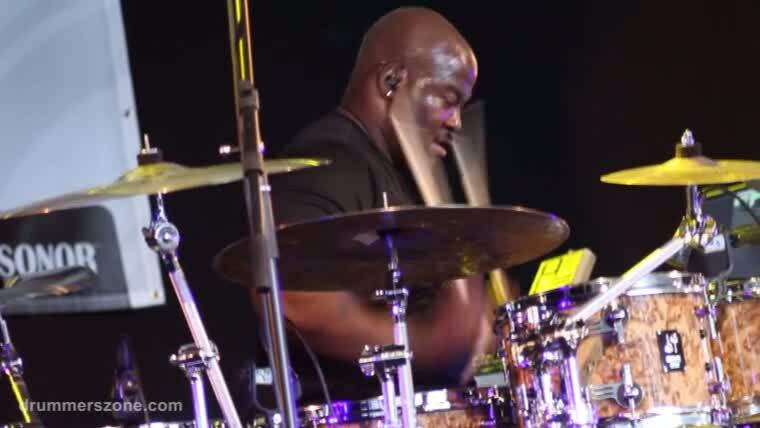 He also took top honors in his hometown "Music Appreciation Awards" at the age of 14, and began traveling throughout the country with several gospel groups (including Marvin Winans, Edwin Hawkins, Vanessa Bell Armstrong) and performing with three variety/show bands. 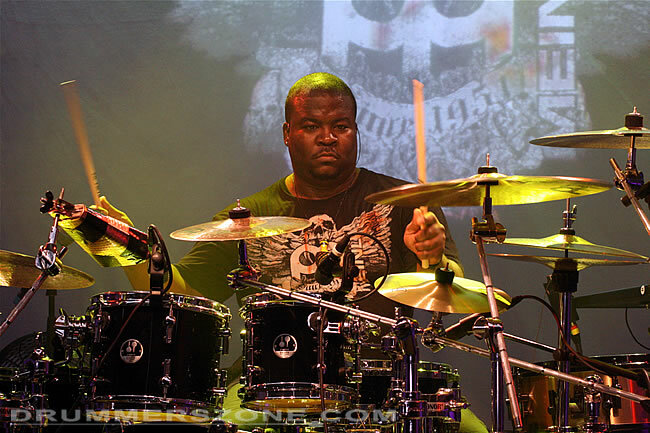 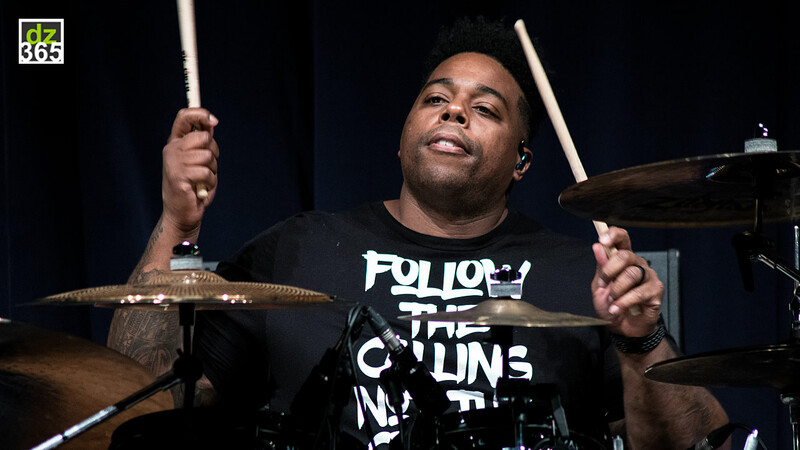 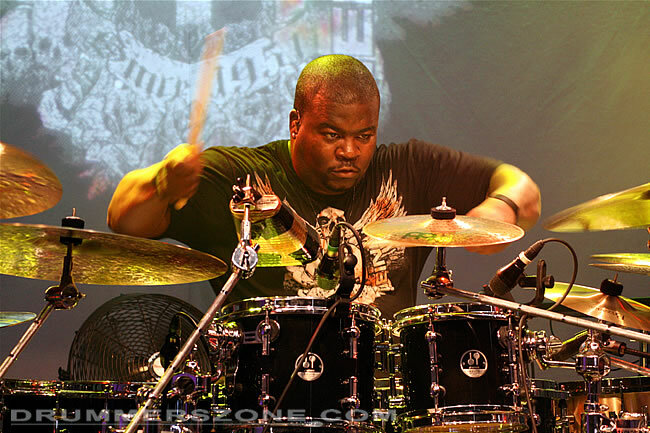 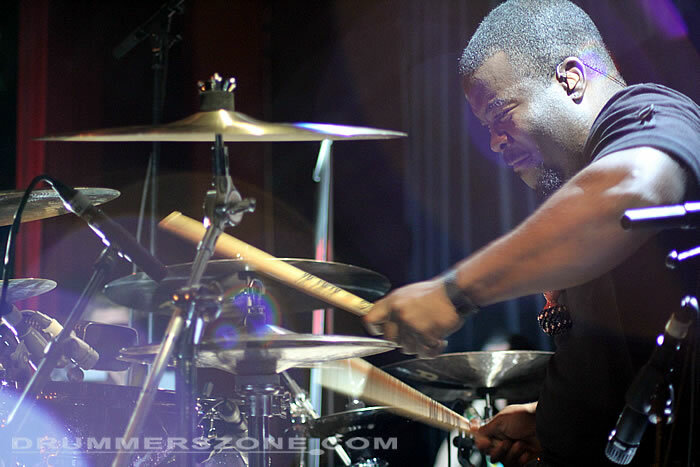 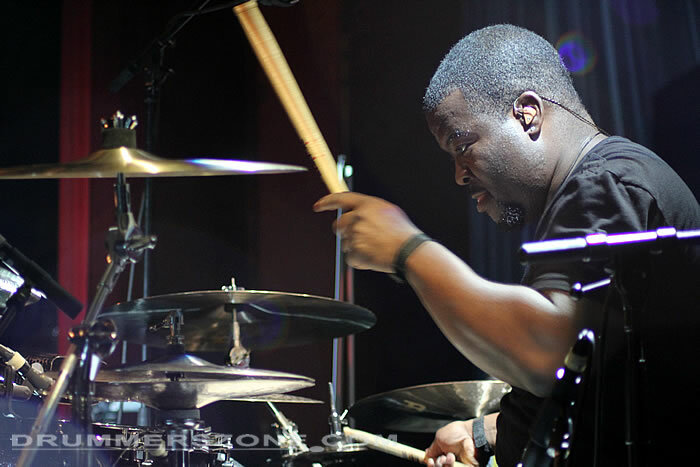 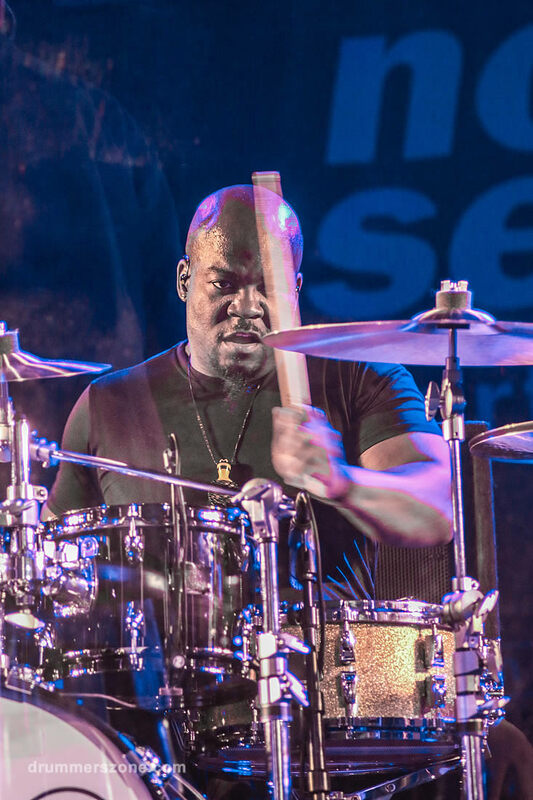 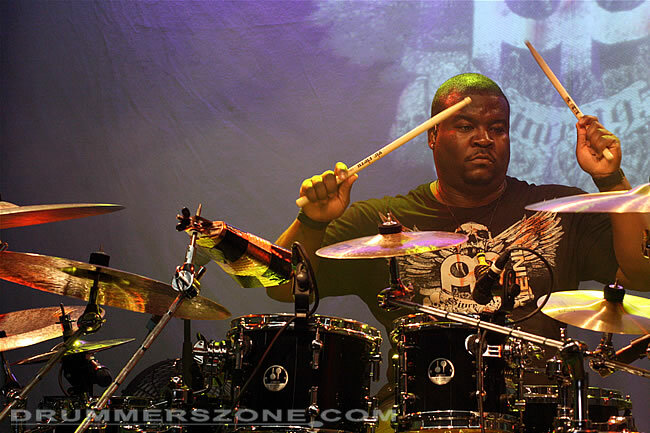 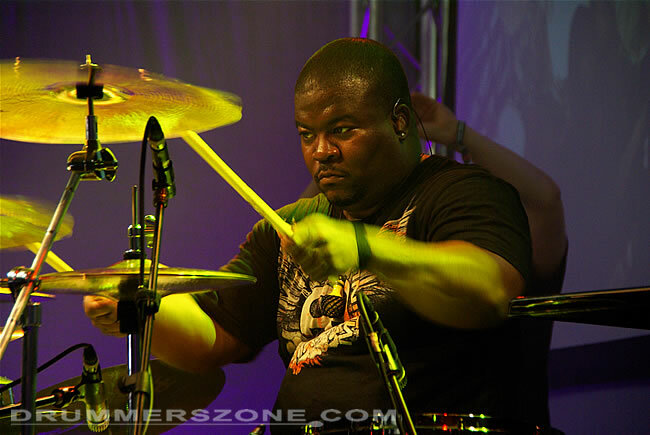 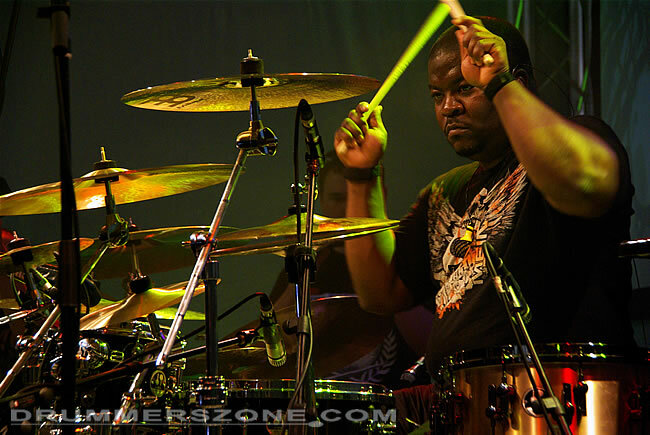 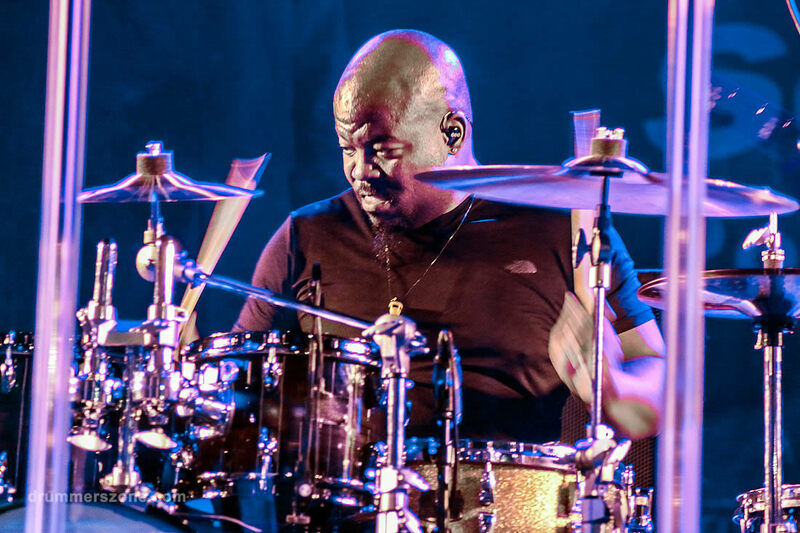 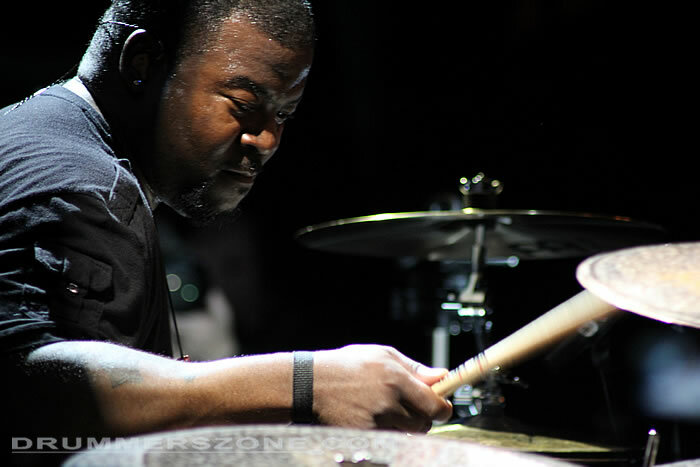 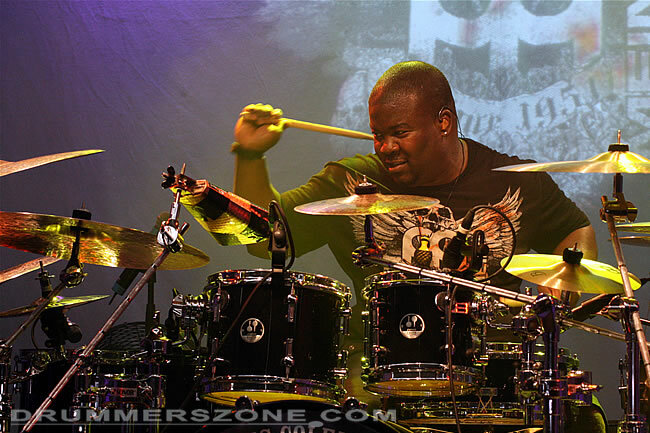 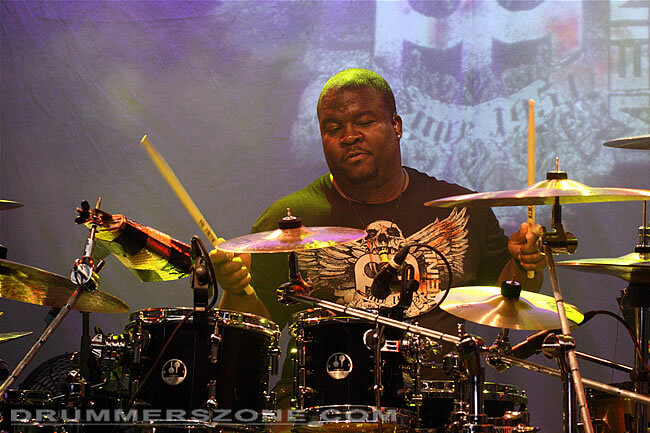 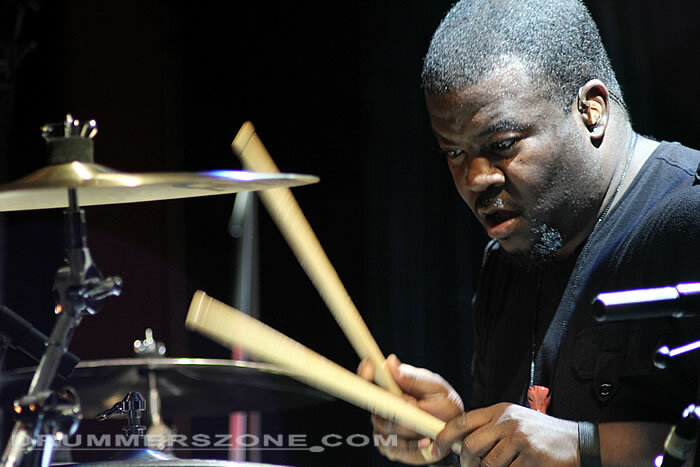 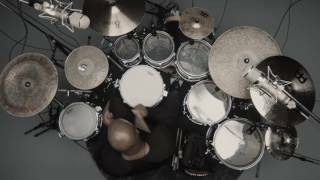 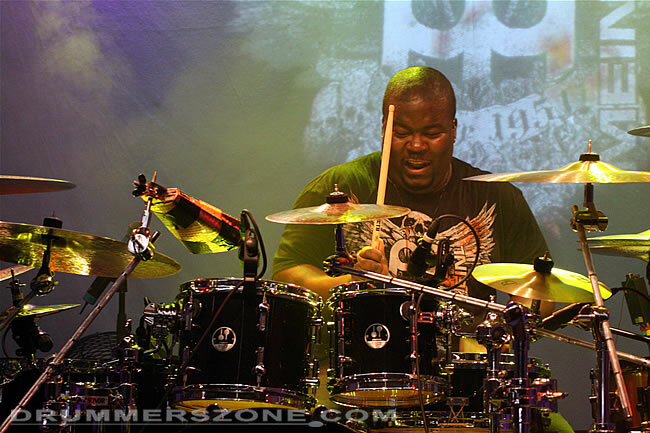 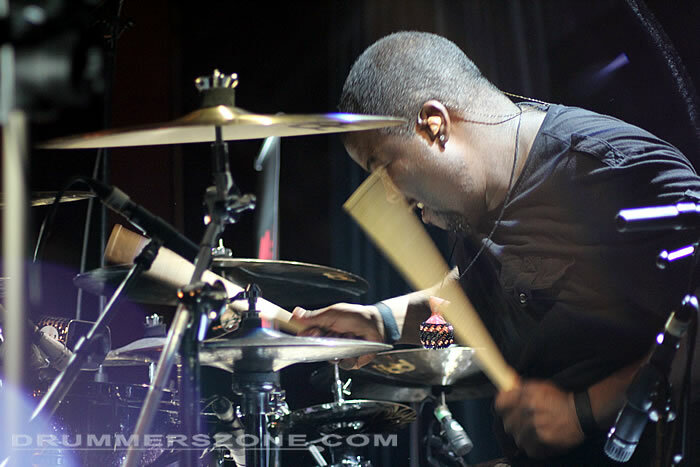 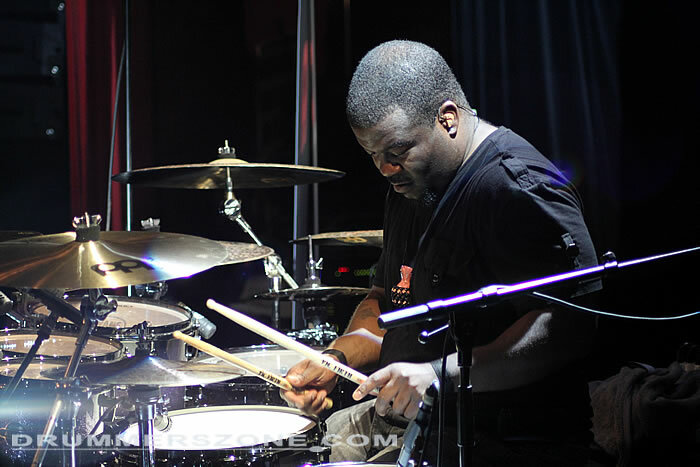 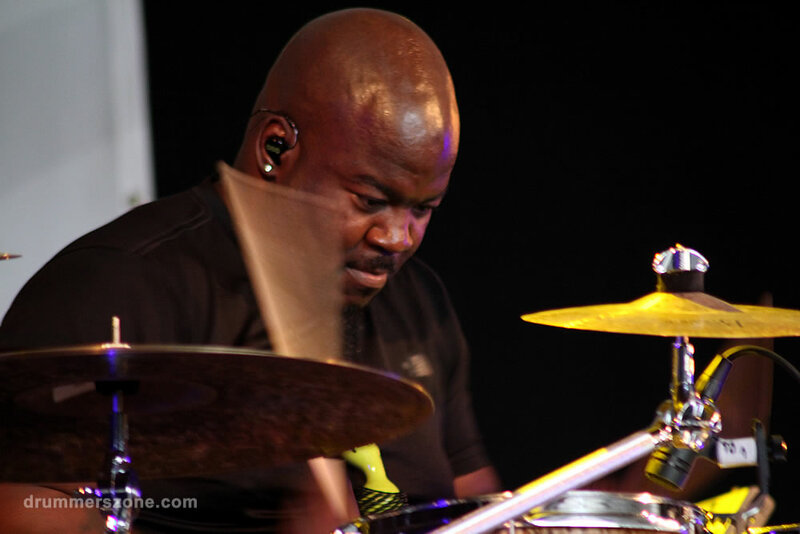 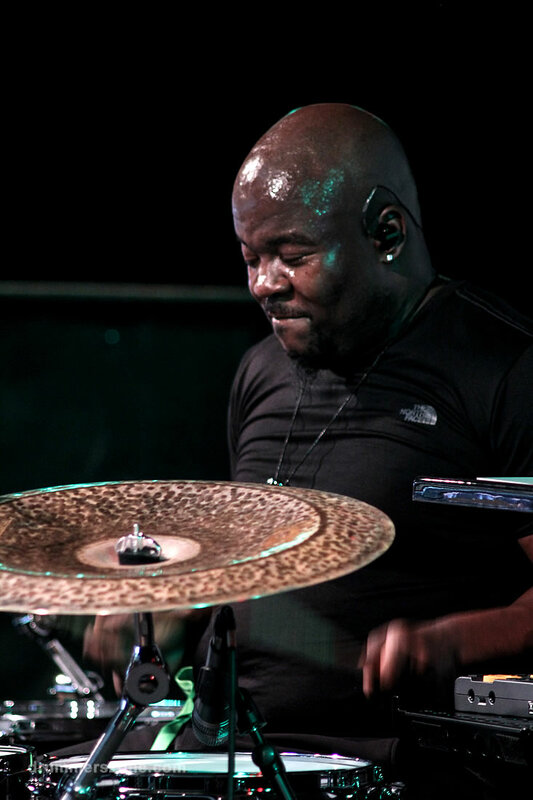 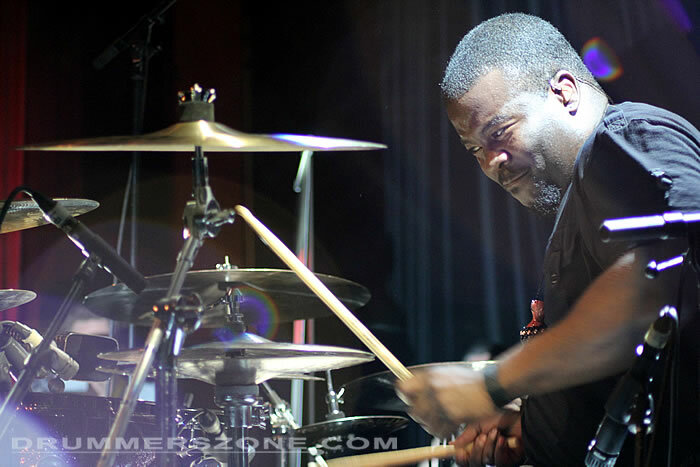 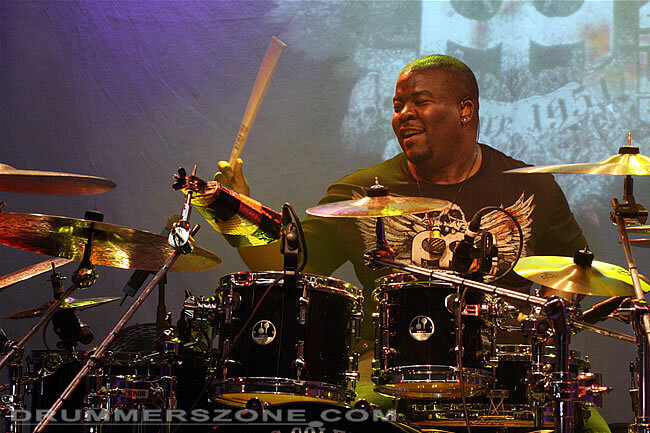 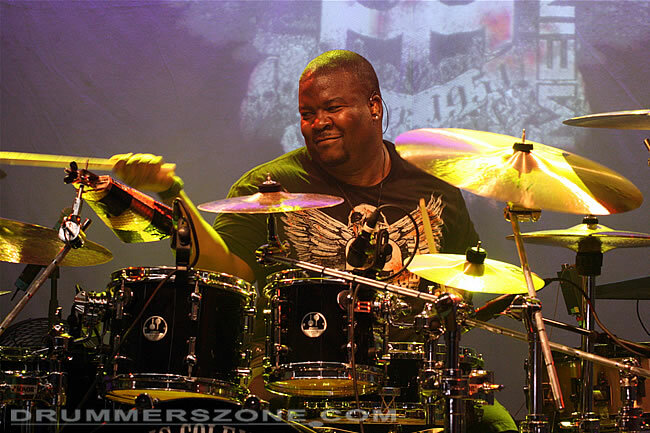 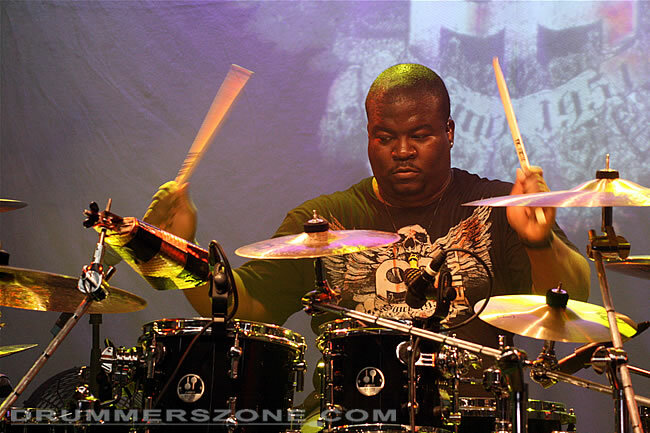 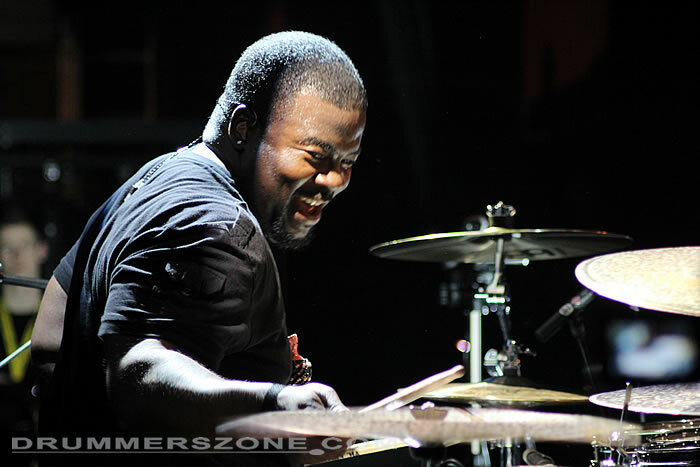 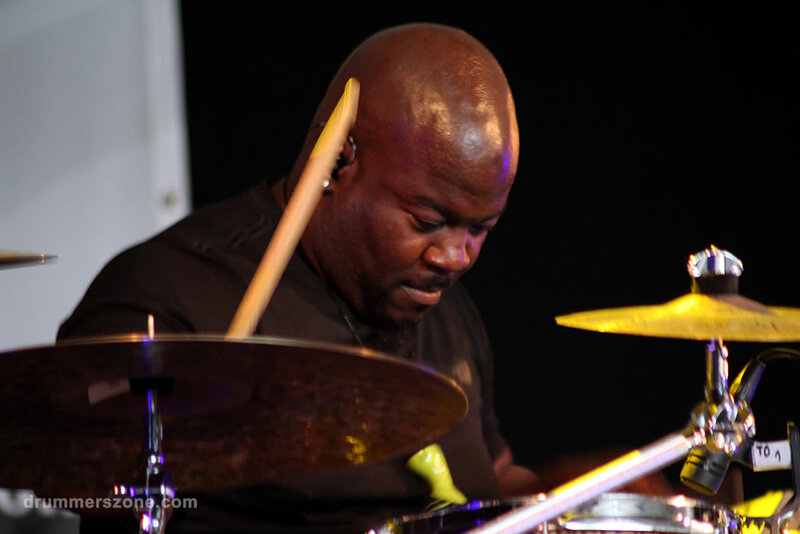 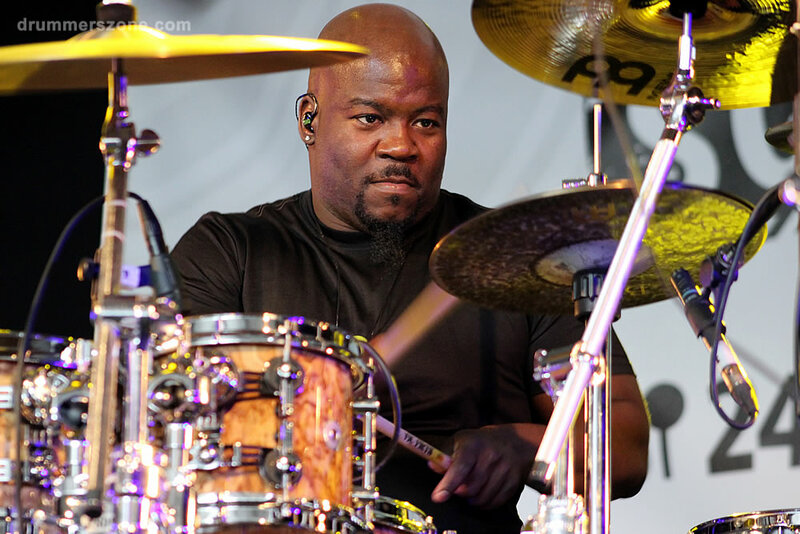 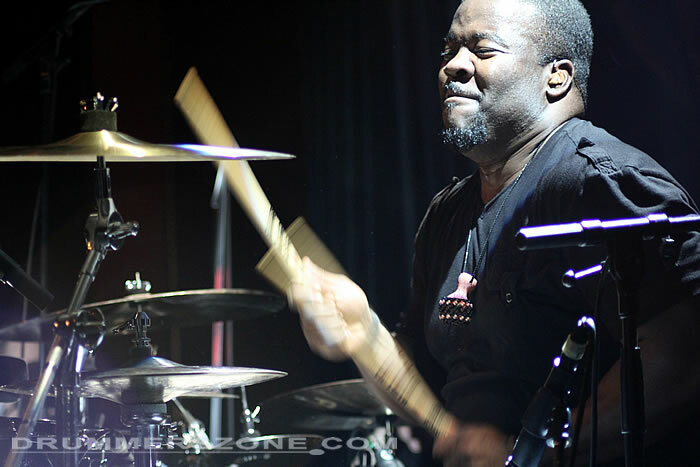 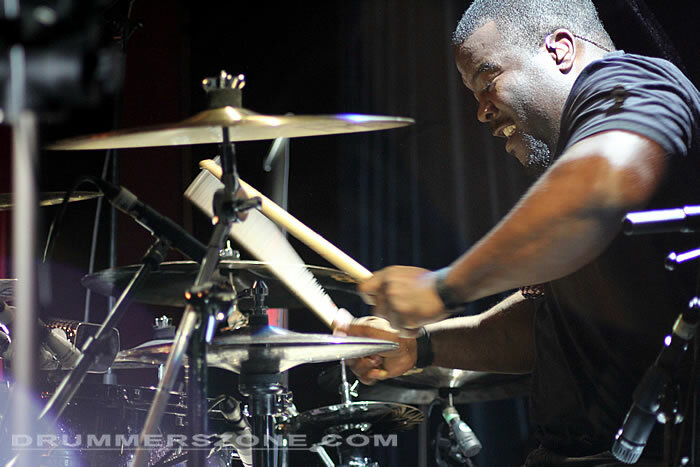 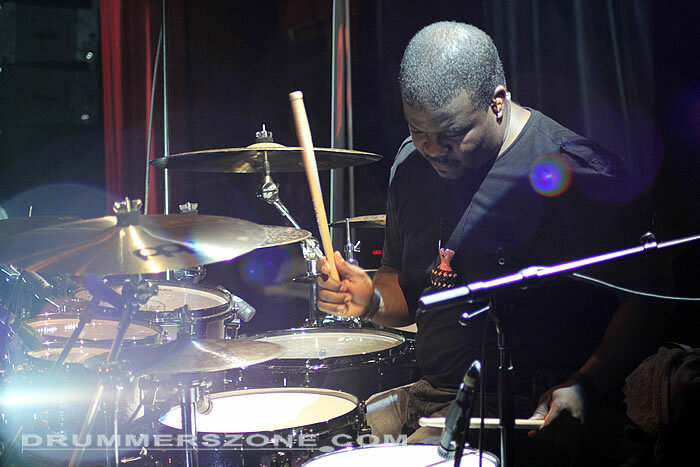 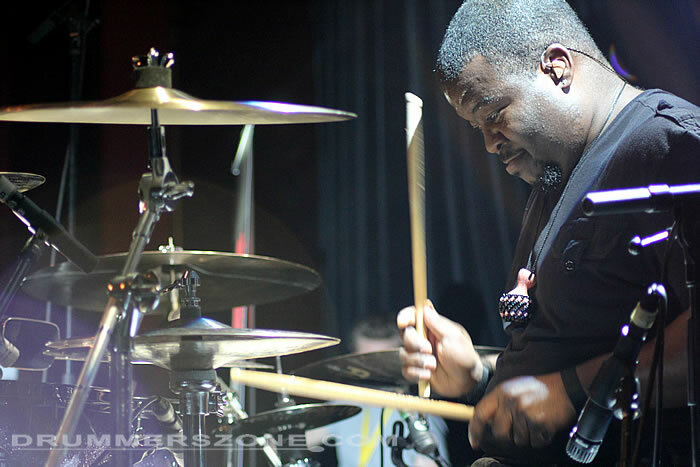 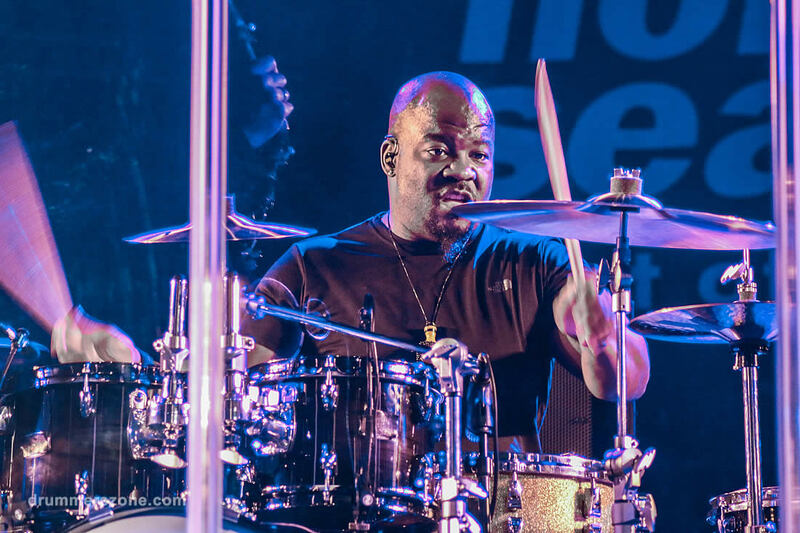 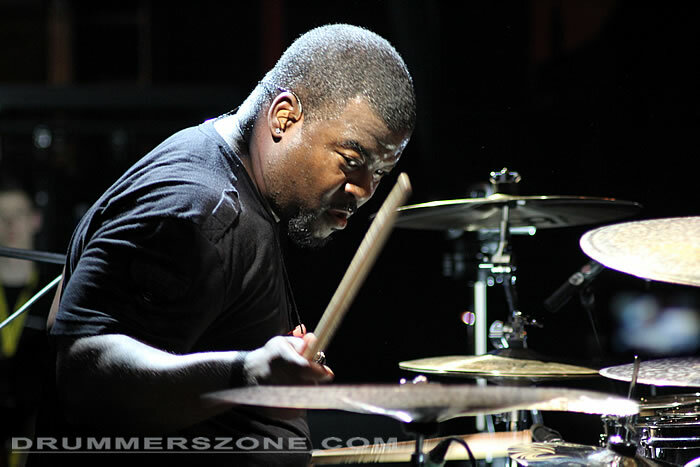 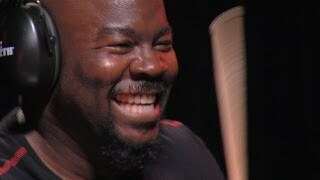 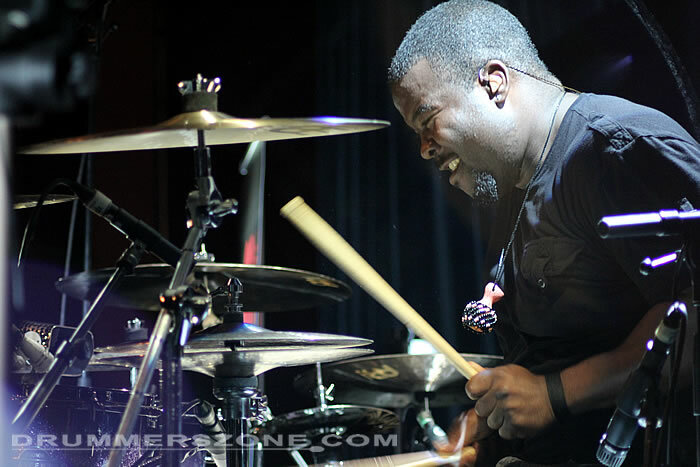 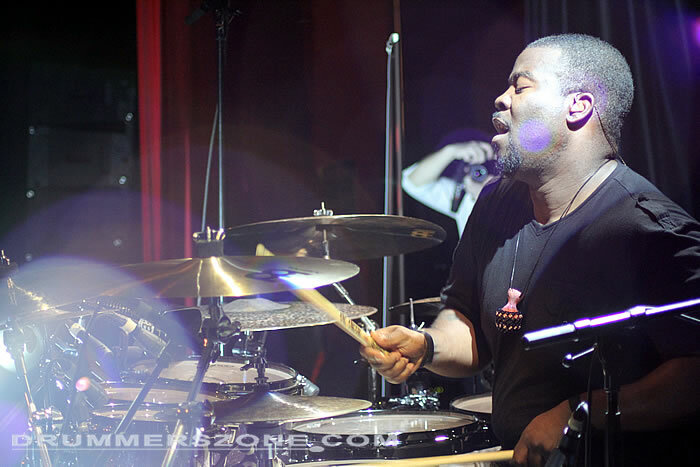 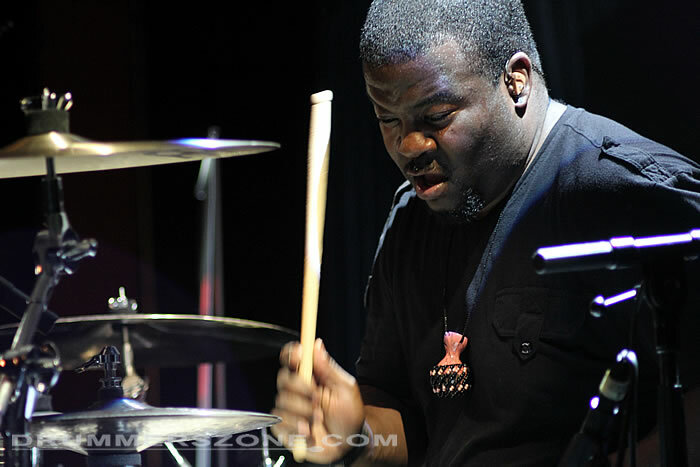 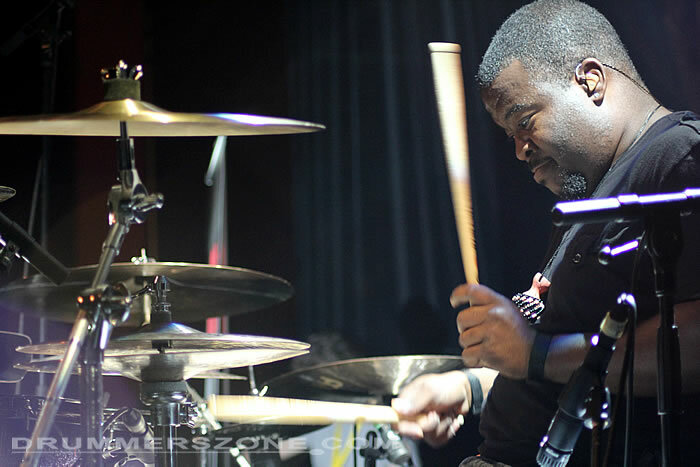 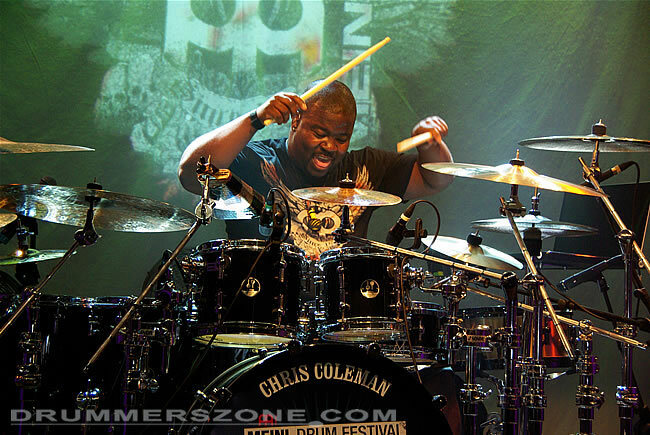 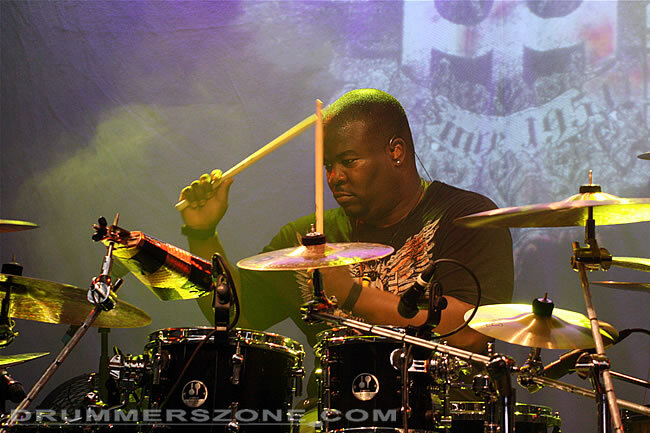 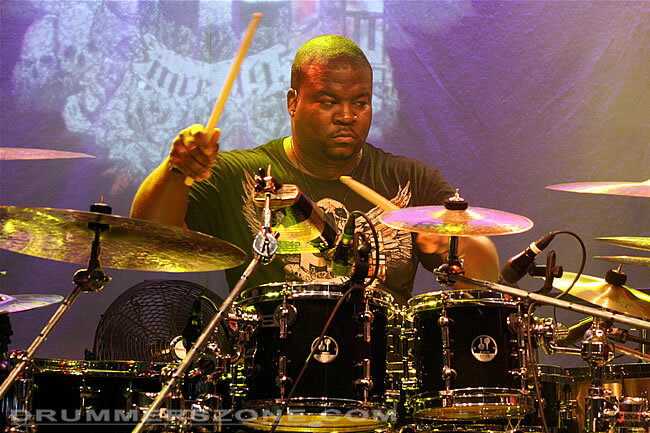 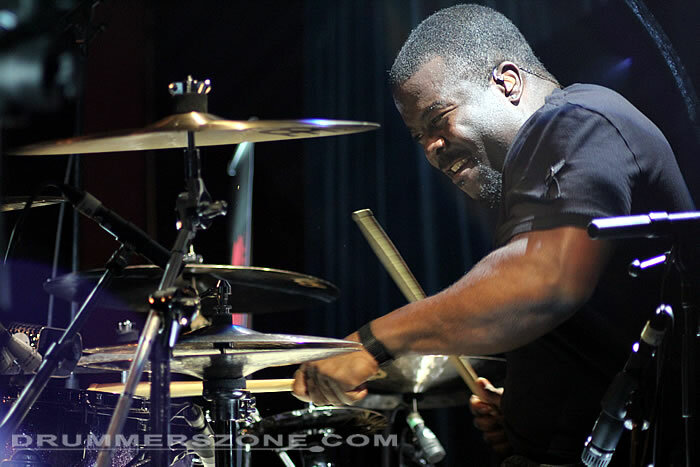 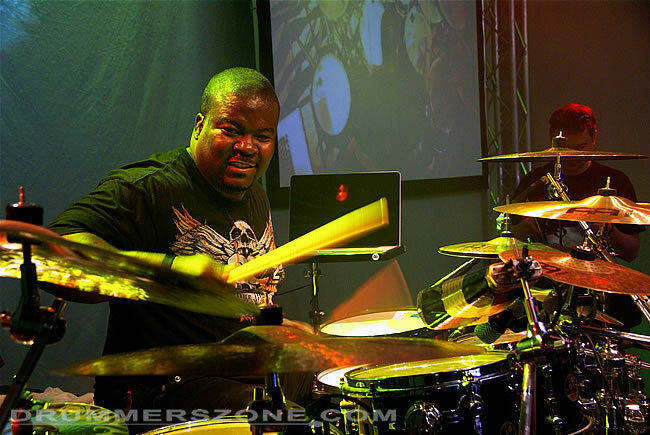 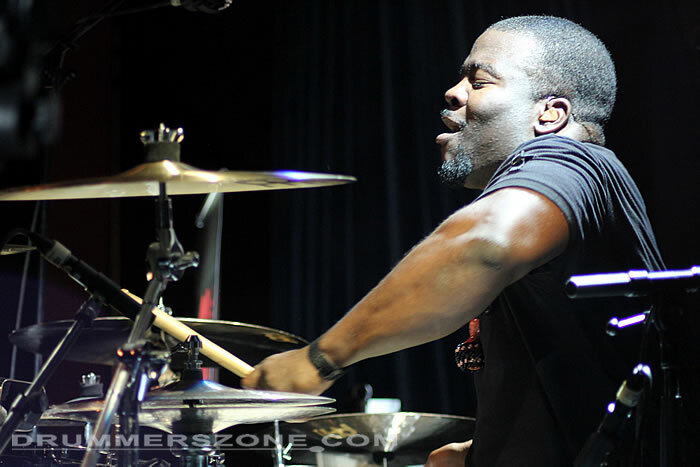 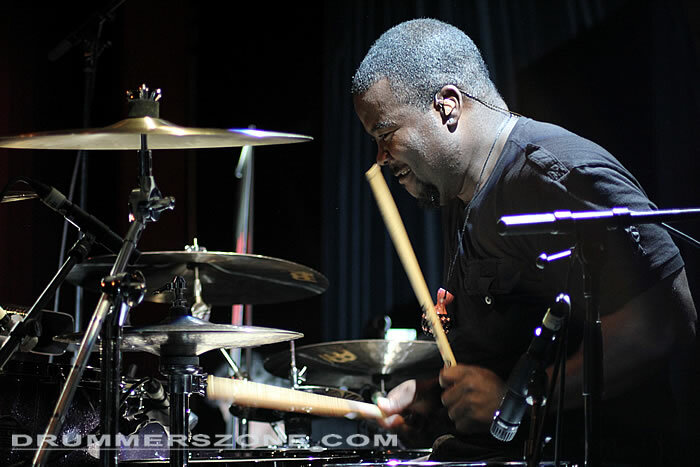 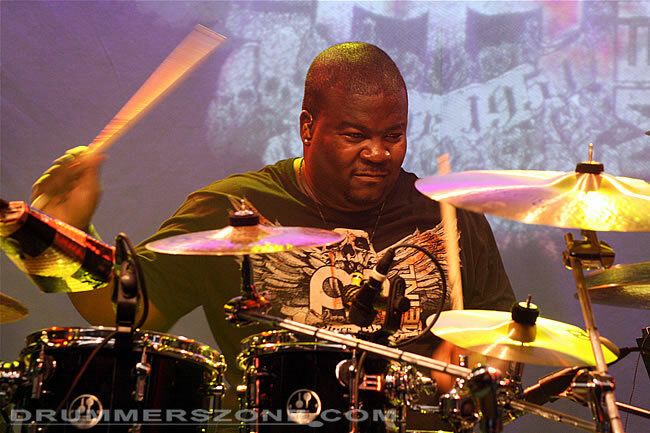 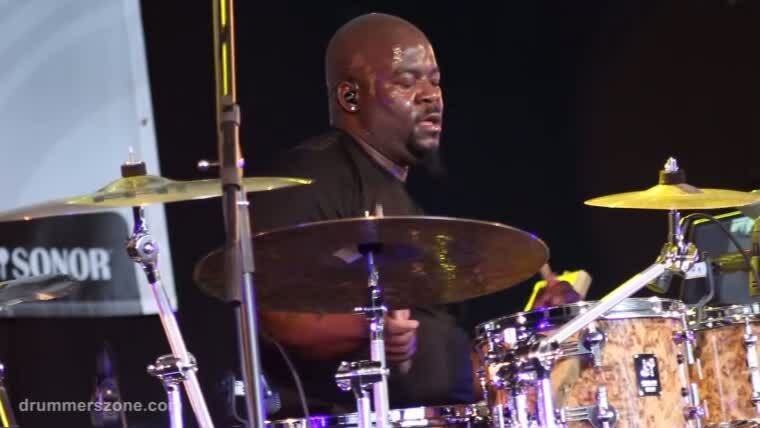 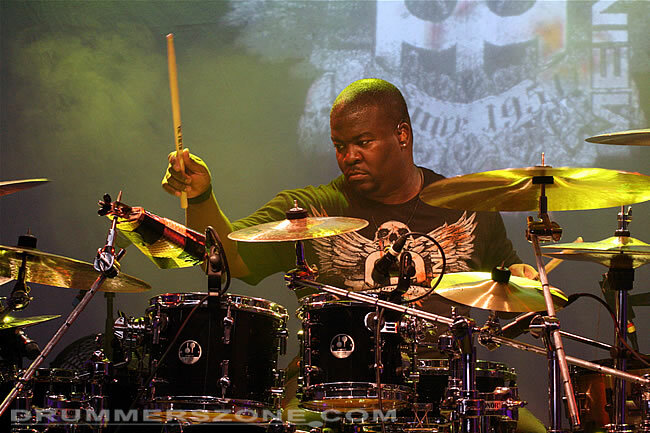 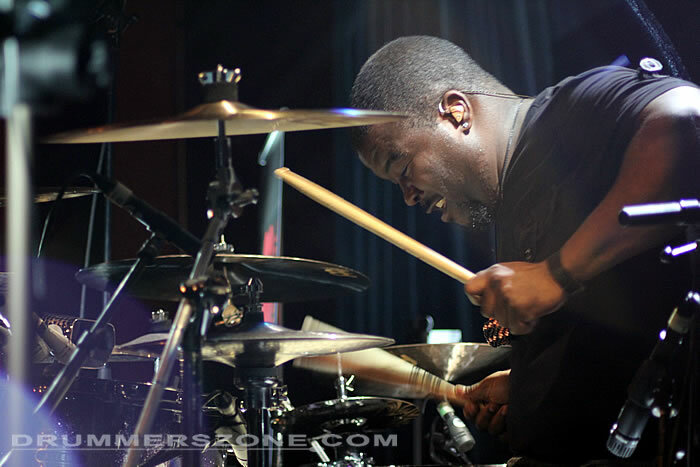 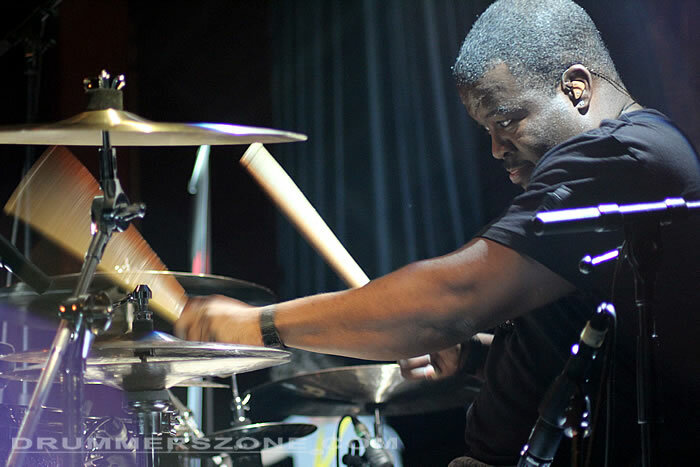 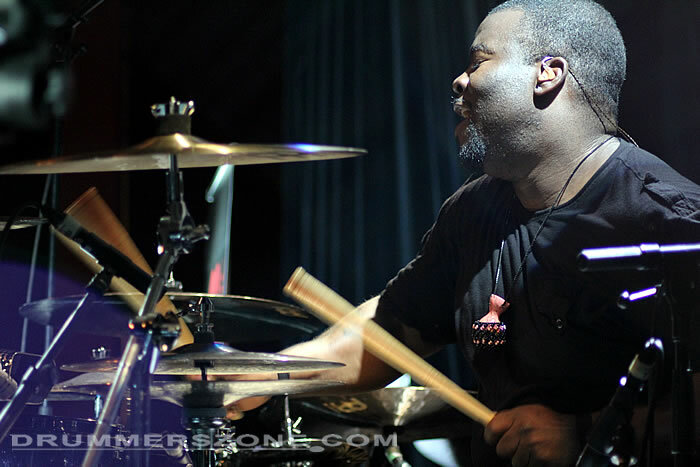 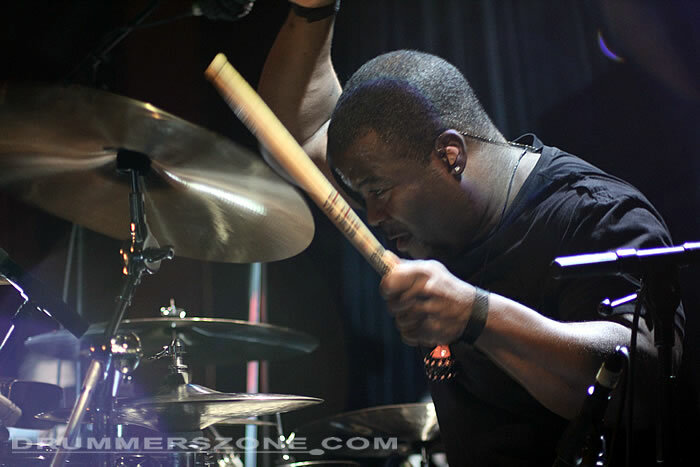 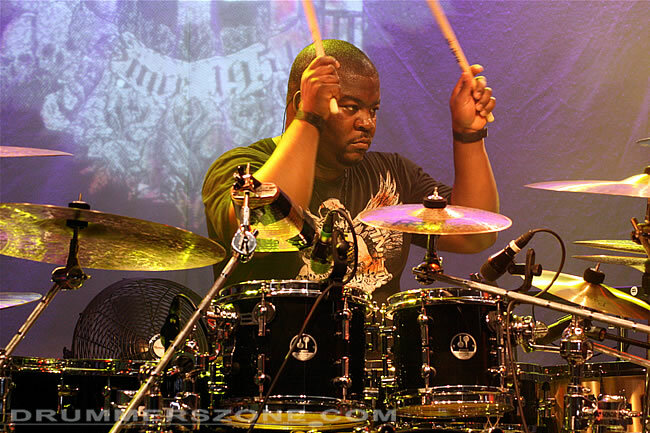 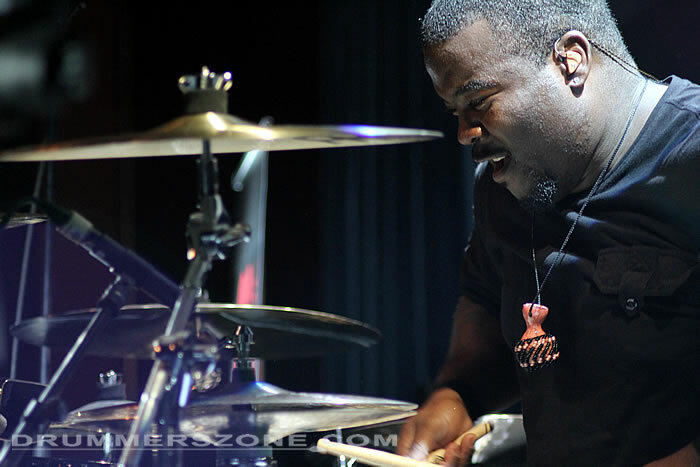 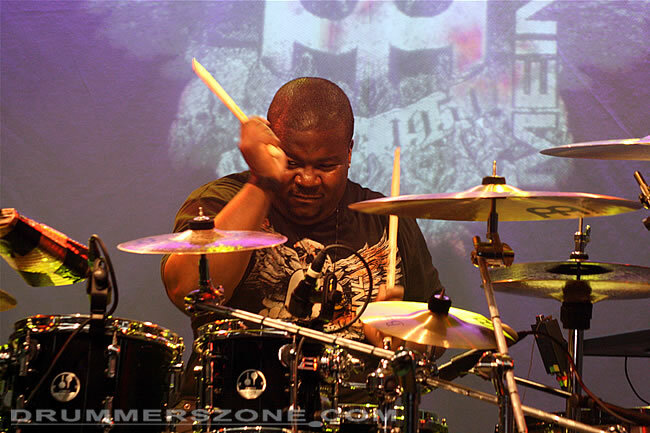 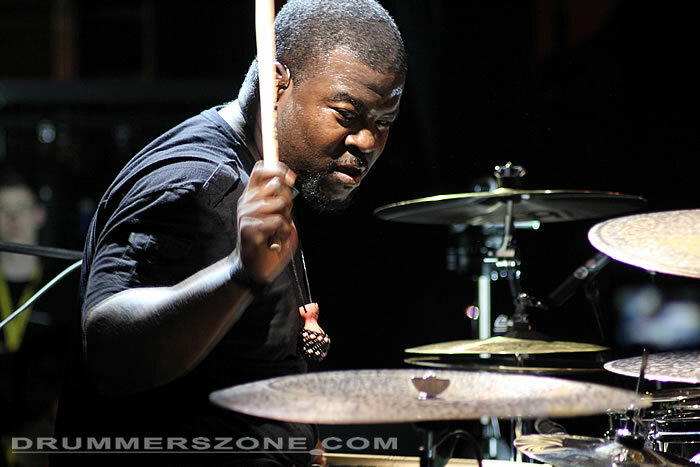 In 1999, Chris Coleman graduated with honors from the Drummer's Collective. 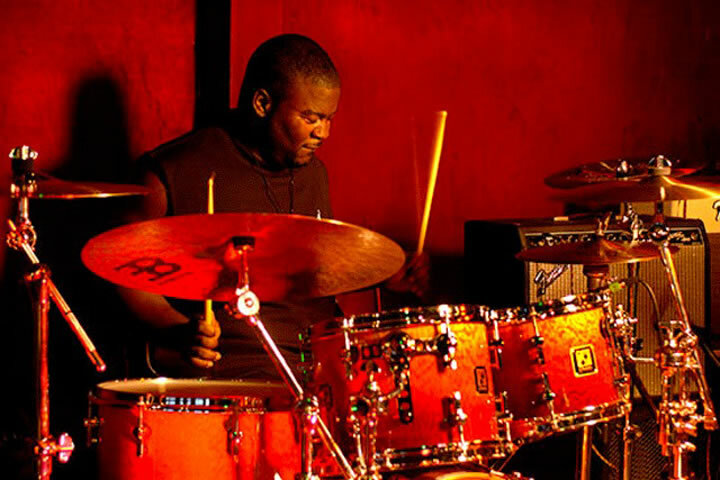 He was offered a scholarship to Berklee School of Music, was accepted into Manhattan School of Music, and received a recommendation from Ed Soph to attend North Texas State. 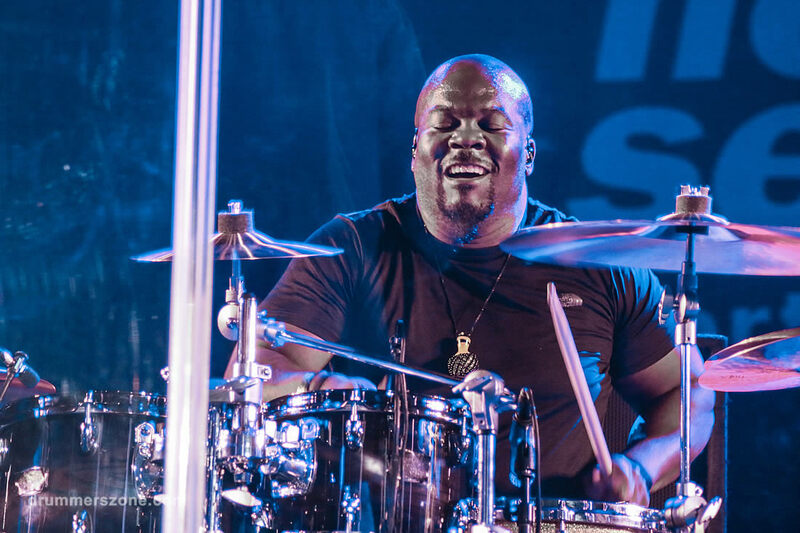 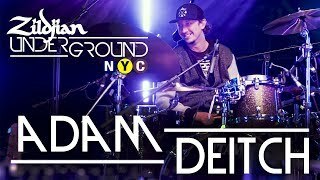 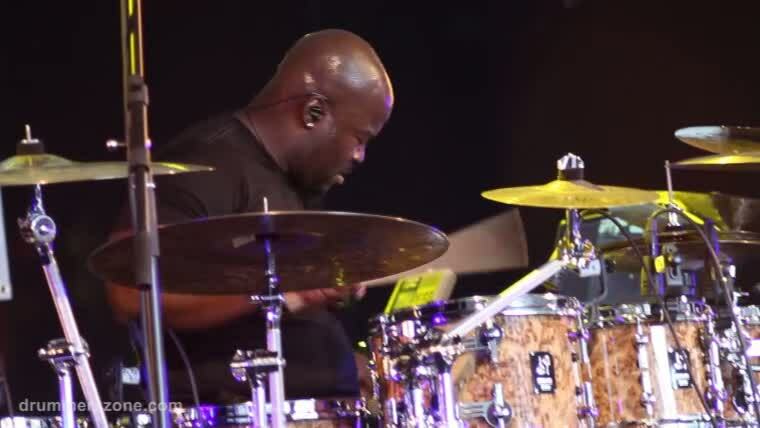 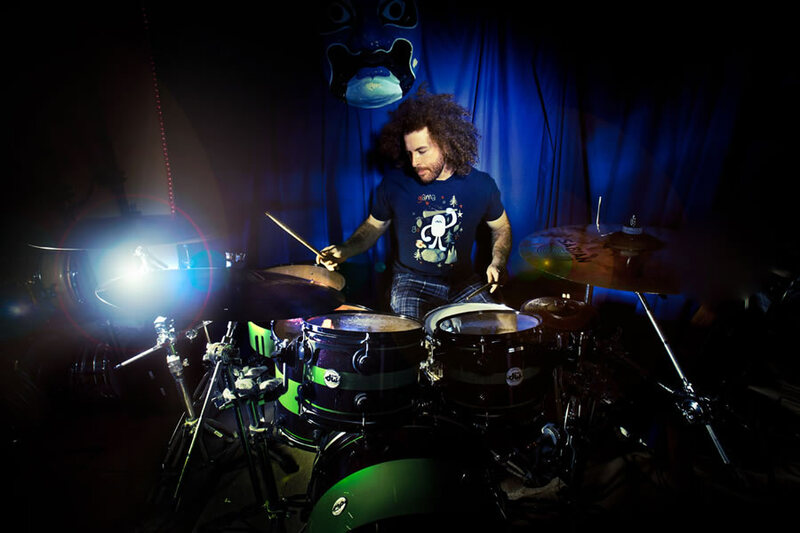 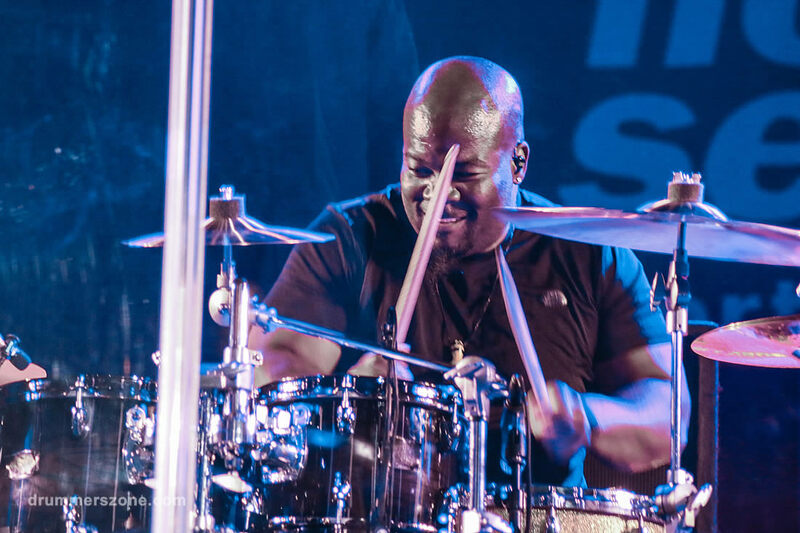 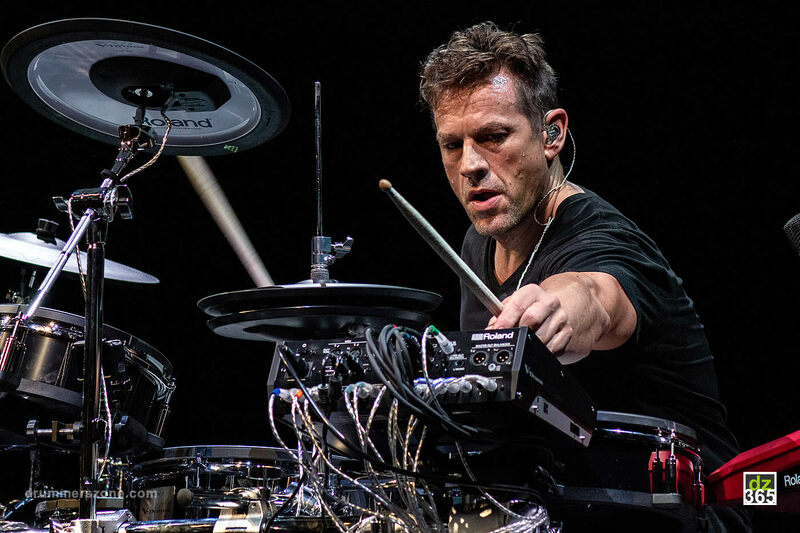 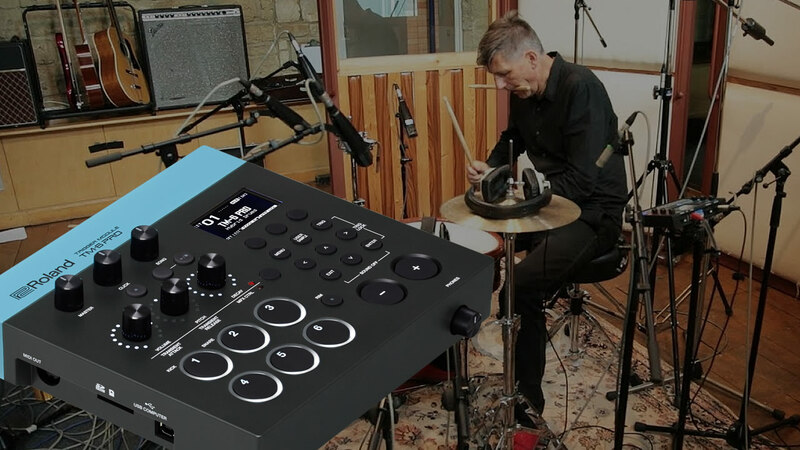 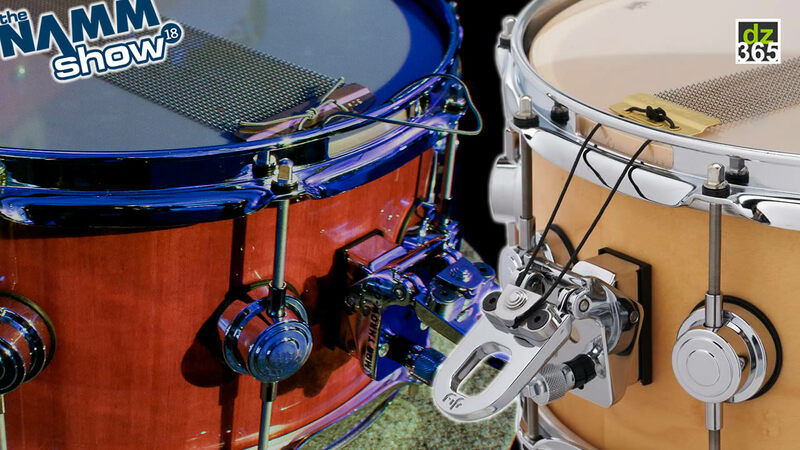 He opted instead to return to his home town of Saginaw, Michigan to start full-time ministry and the CRC Drum and Bass Institute. 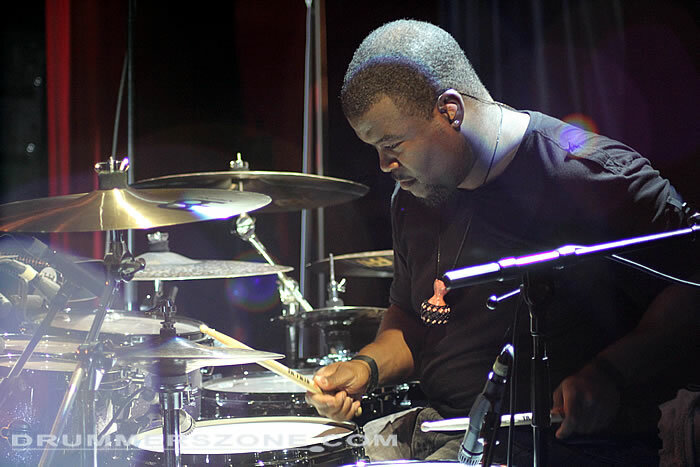 He moved briefly to Cleveland to join the instructional staff at Christian Music Academy. 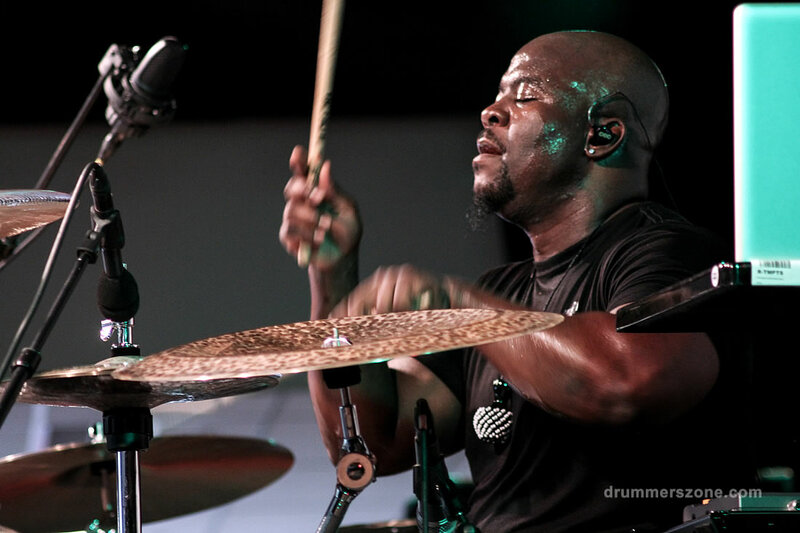 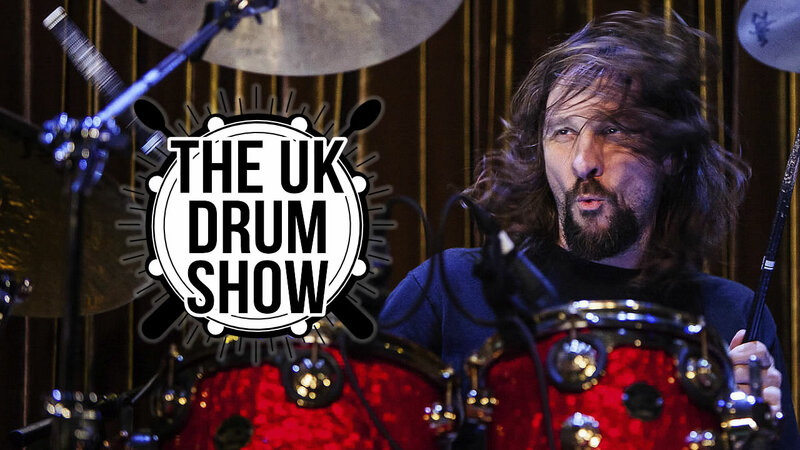 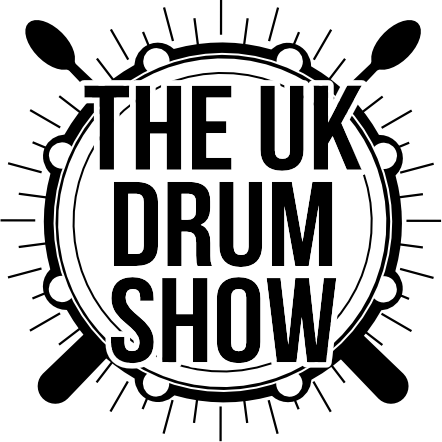 December 8, 2001, Chris Coleman was honored to win 1st place in the National Drum Competition sponsored by Guitar Center, which hosted 30,000 drummers. 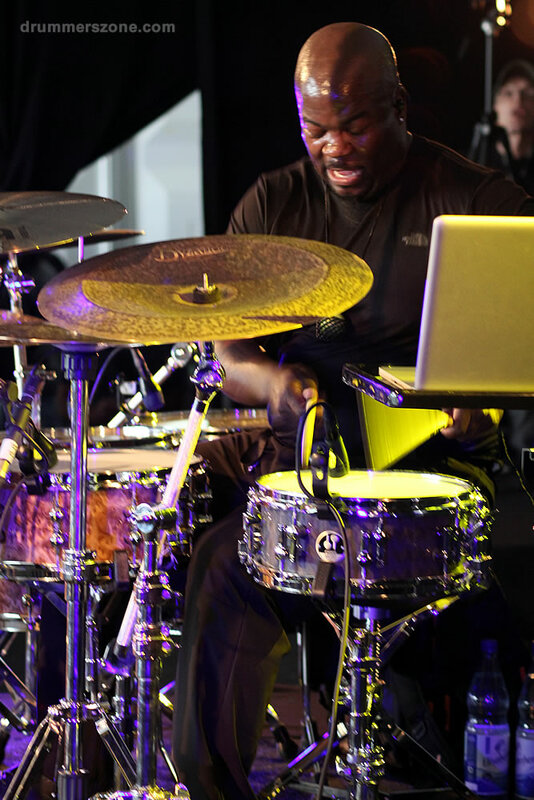 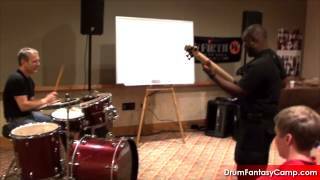 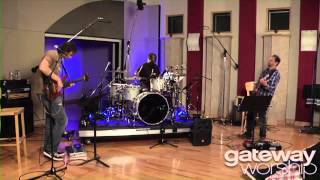 He then came to Atlanta to study Bass at AIM, where he was pleased to accept a position teaching drums. 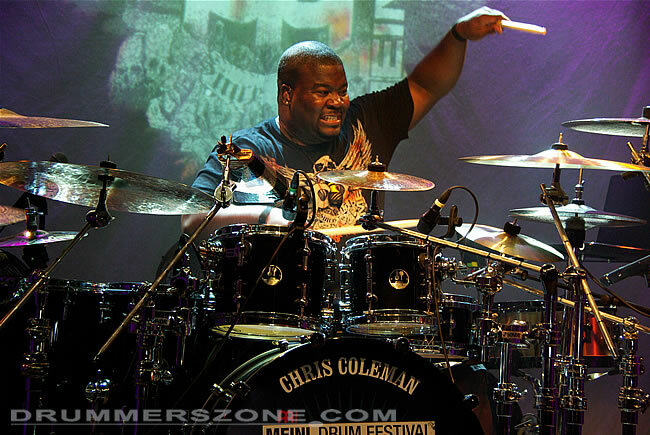 In addition to his teaching, Chris Coleman keeps a busy schedule touring. 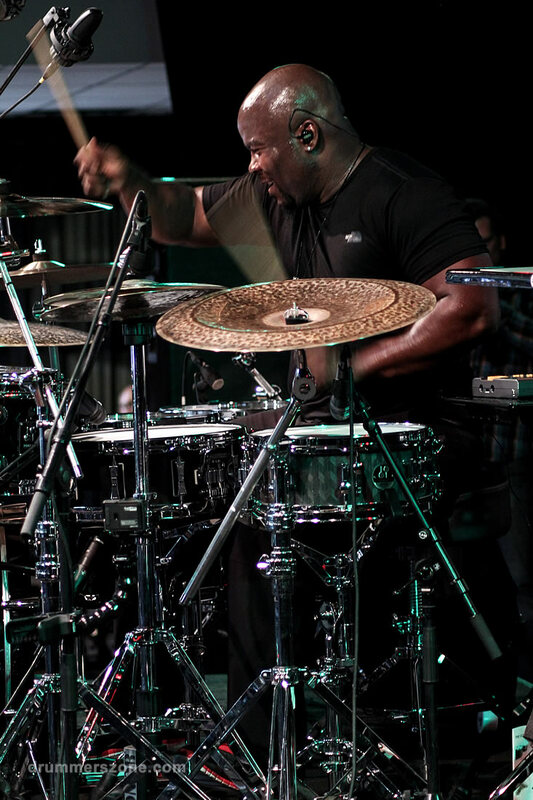 He has toured with Pastor Creflo A. 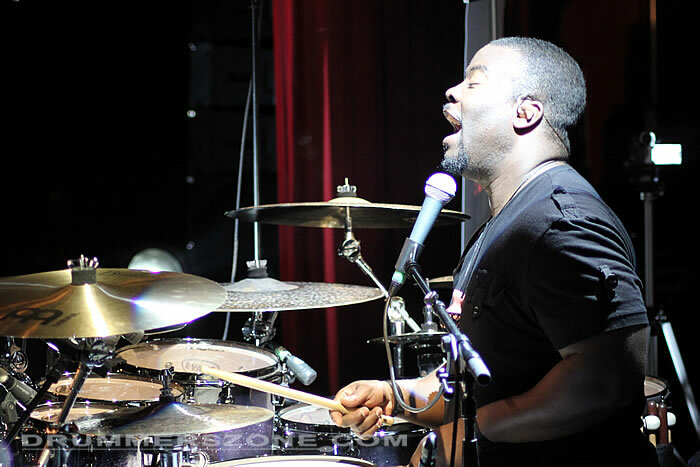 Dollar Ministries throughout the world since June 2002, and has traveled to over 40 cities in 3 countries with praise and worship band Israel and New Breed, since September 2003. 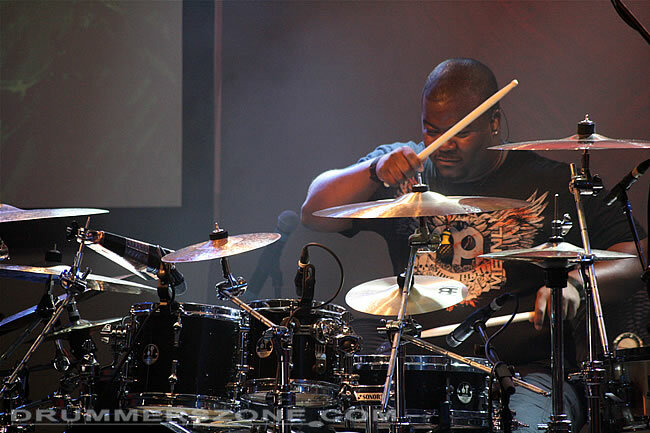 Ever on the move, Israel and New Breed has a 12 country tour planned for 2005, and has had a #1 Billboard hit with "Again I Say Rejoice." 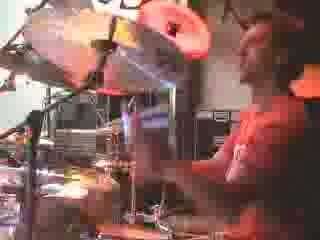 The DVD from that recording will be available at the beginning of 2005. 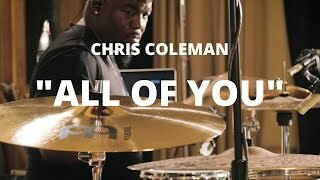 Chris Coleman has participated in recording 4 major gospel recordings this year, including Bishop Eddie Long, William Murphy Ministries and others. 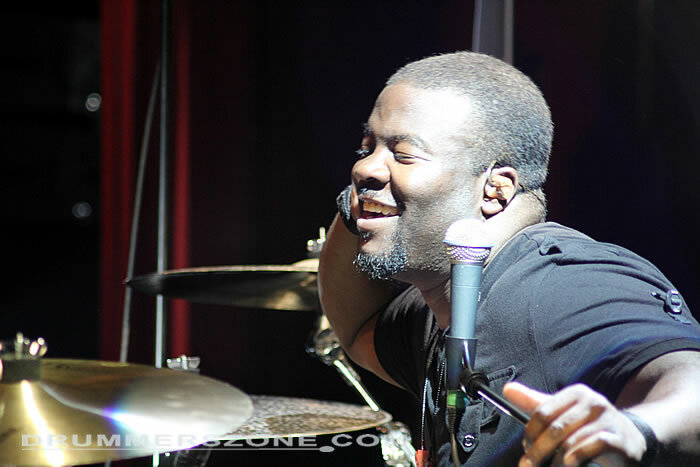 He plans to record with his band, ATW Ministries in the very near future. 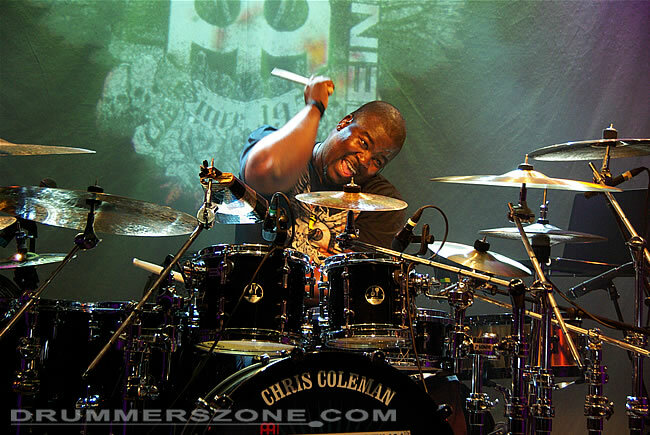 2008 saw Chris Coleman hit the road with reunited New Kids on The Block. 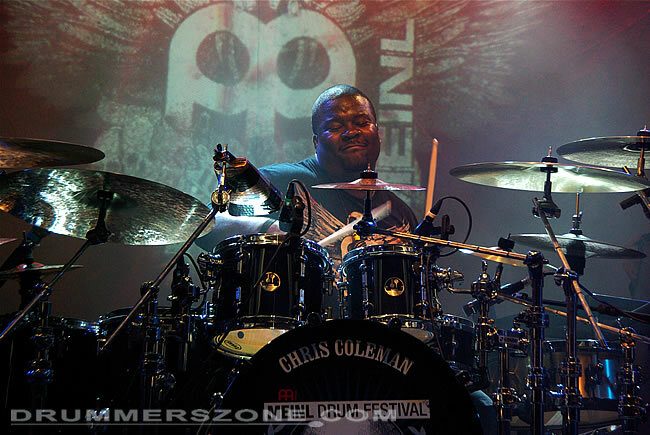 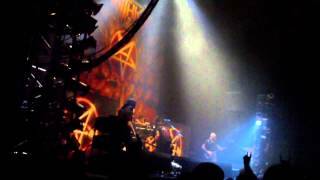 The OFFICIAL & ONLY Chris Coleman page, managed by ��� himself.